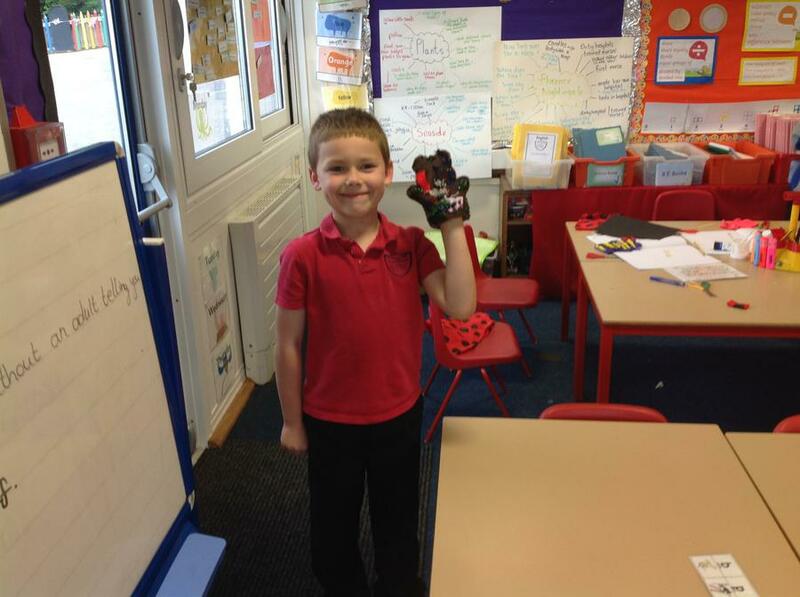 We are all superheroes in Class 6! 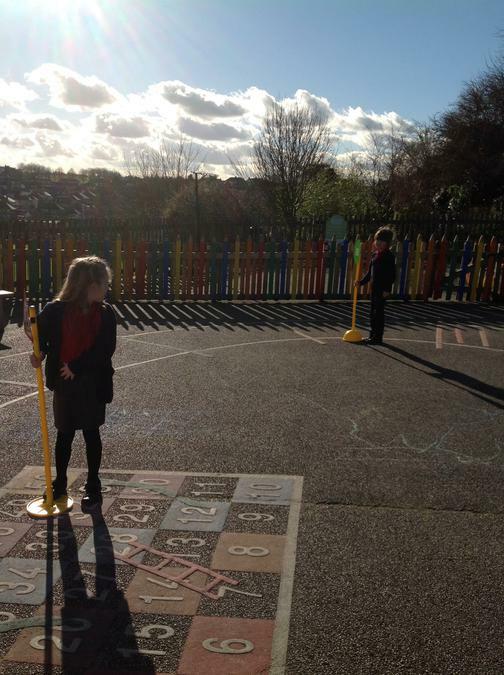 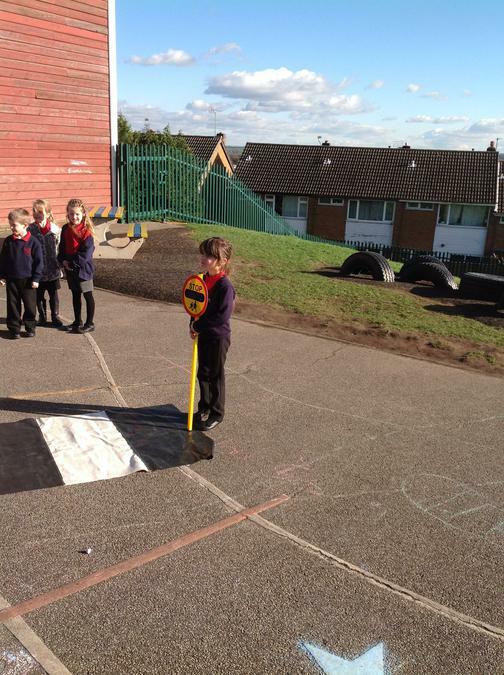 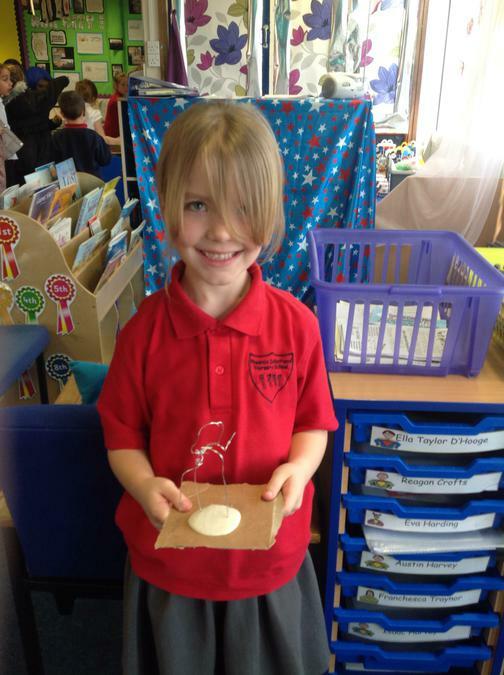 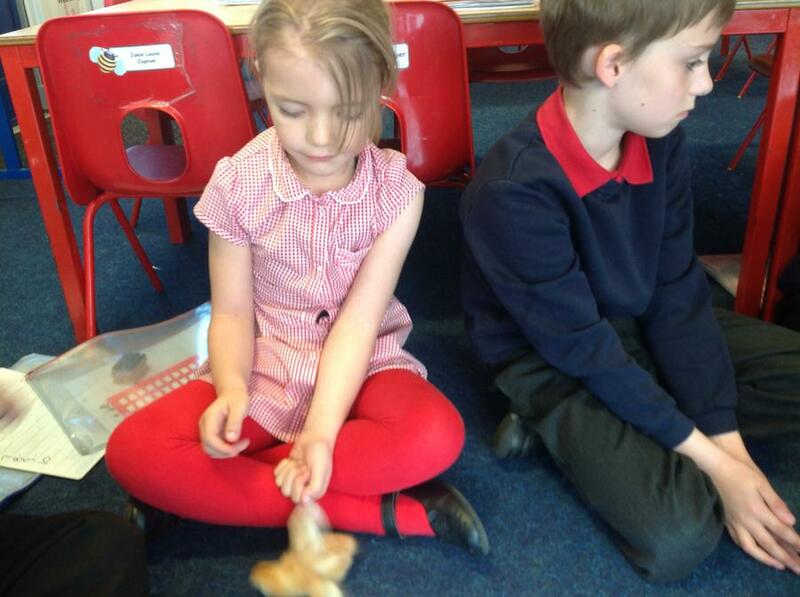 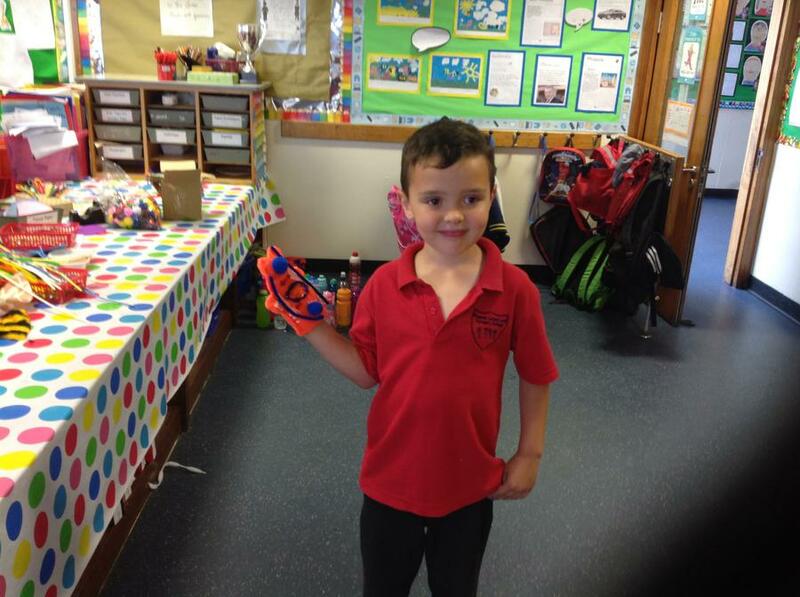 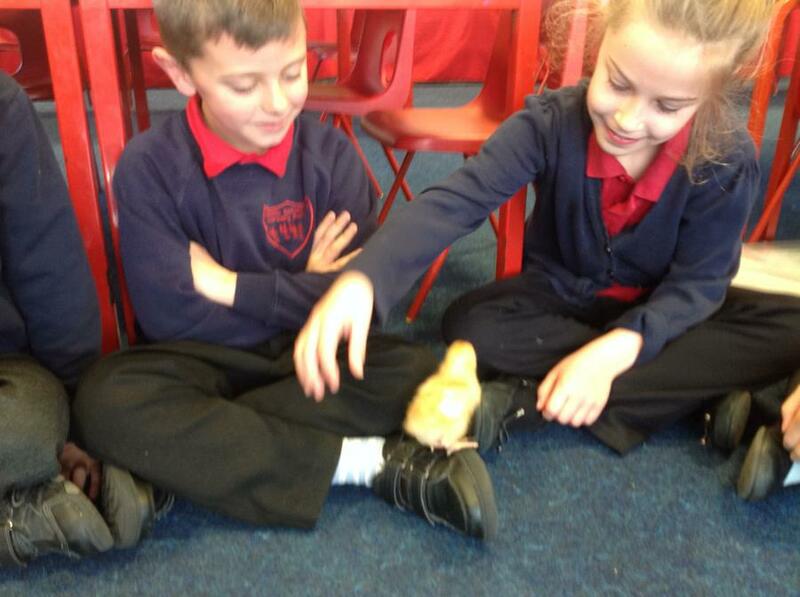 We have lots of fun learning exciting things in Year 2. 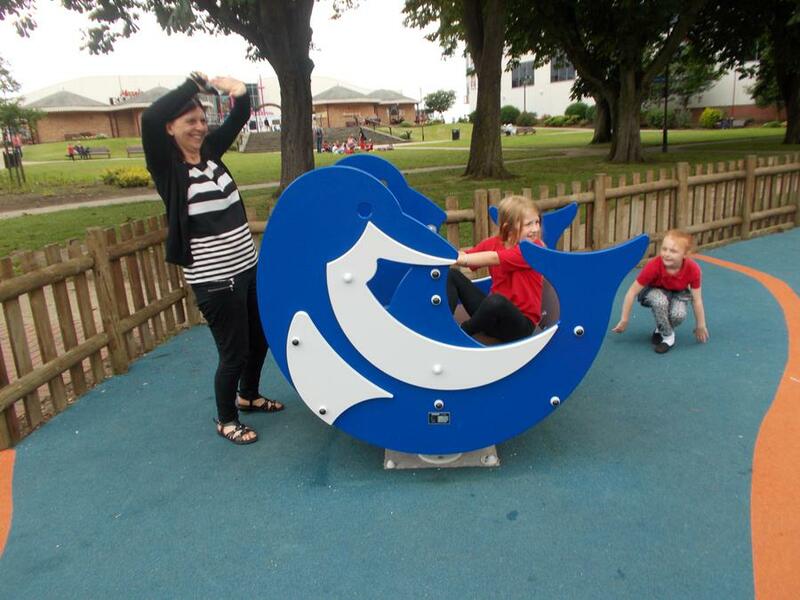 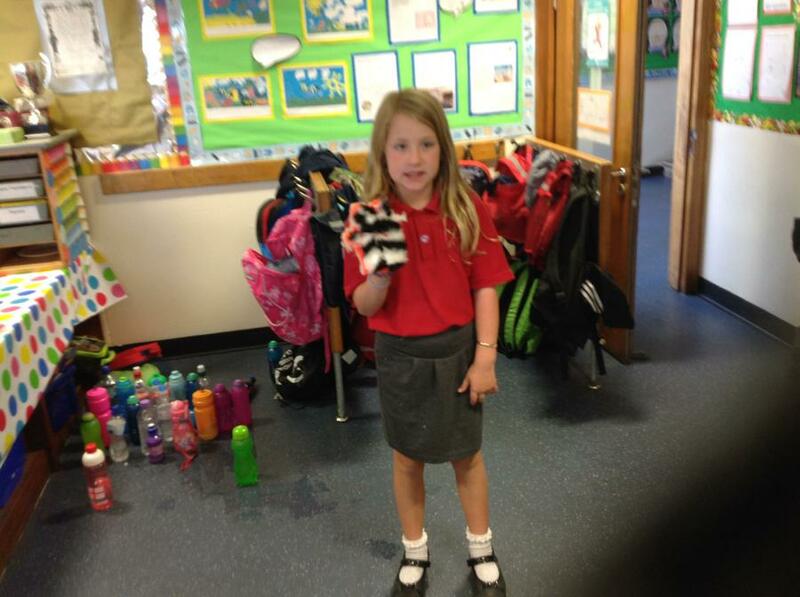 Our teacher is currently Miss Pember as Miss Greasley is on maternity leave and our teaching assistant is Mrs Smith. 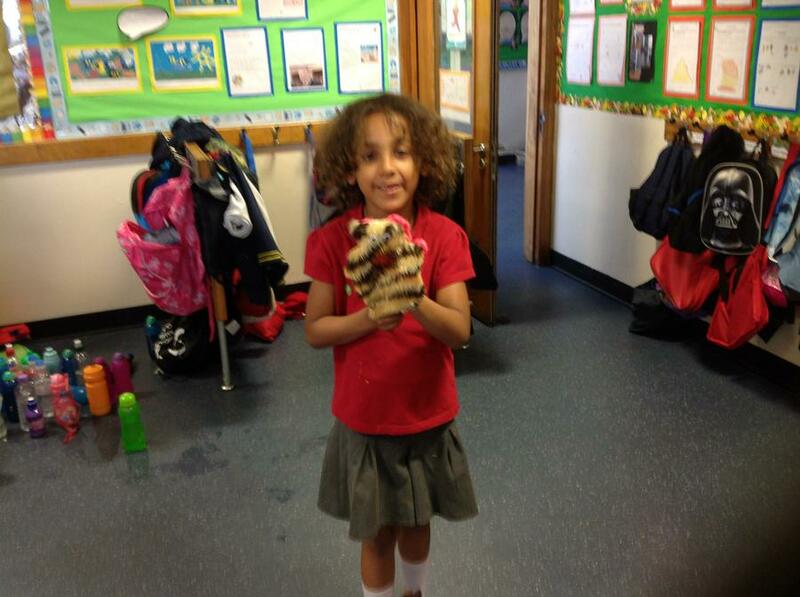 During the Autumn term we learnt lots of new and exciting topics. 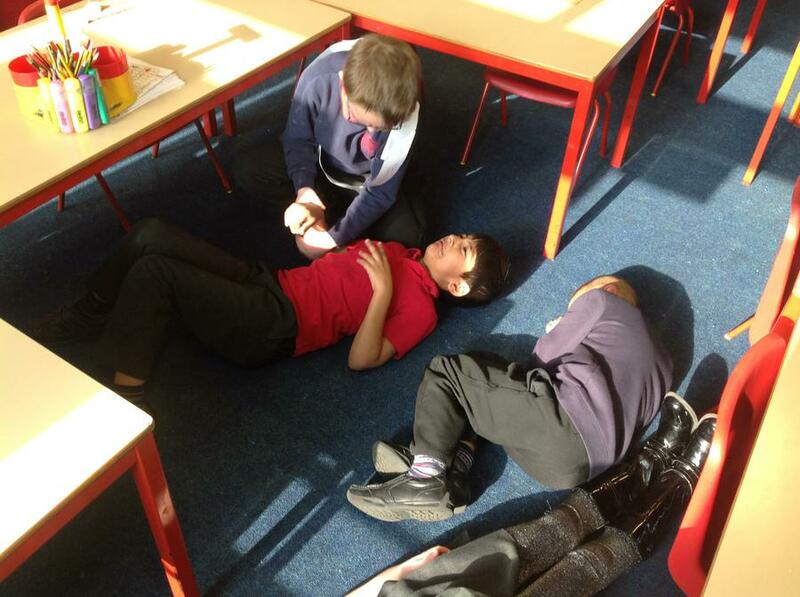 In Geography, we learnt all about 'Our City' of Nottingham. 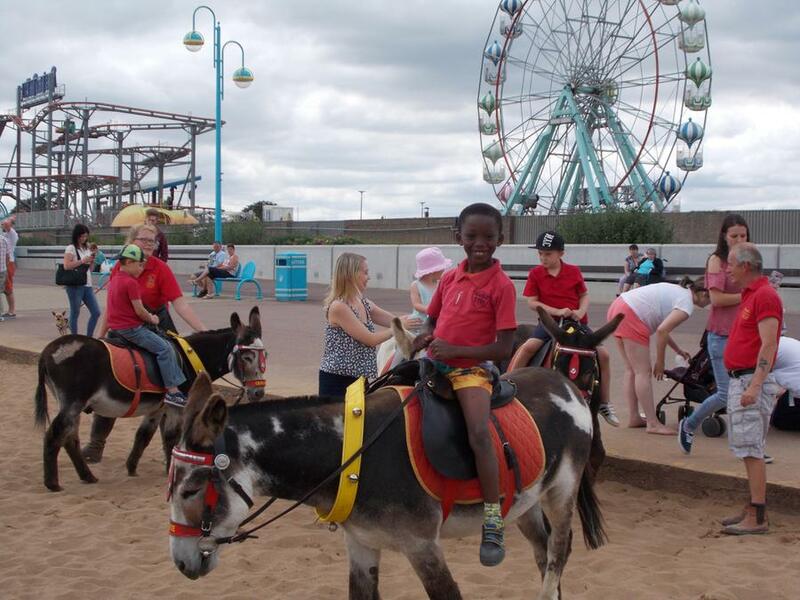 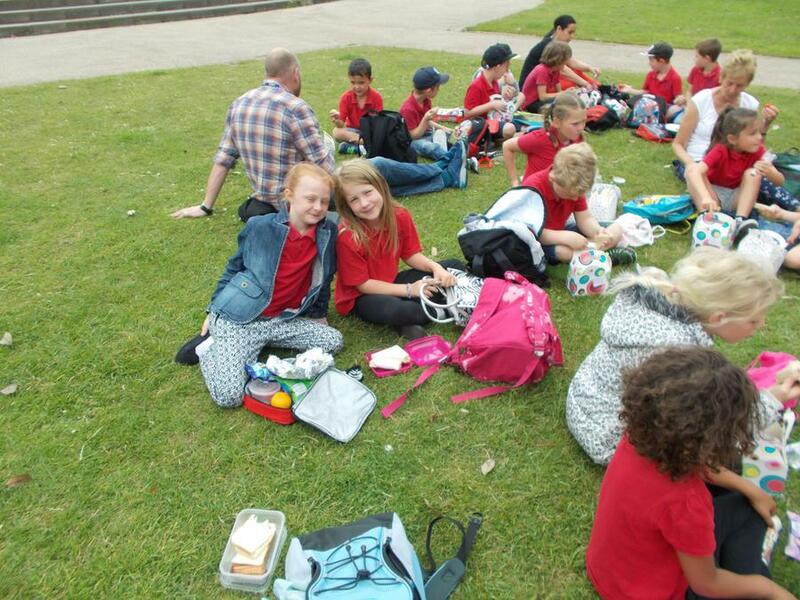 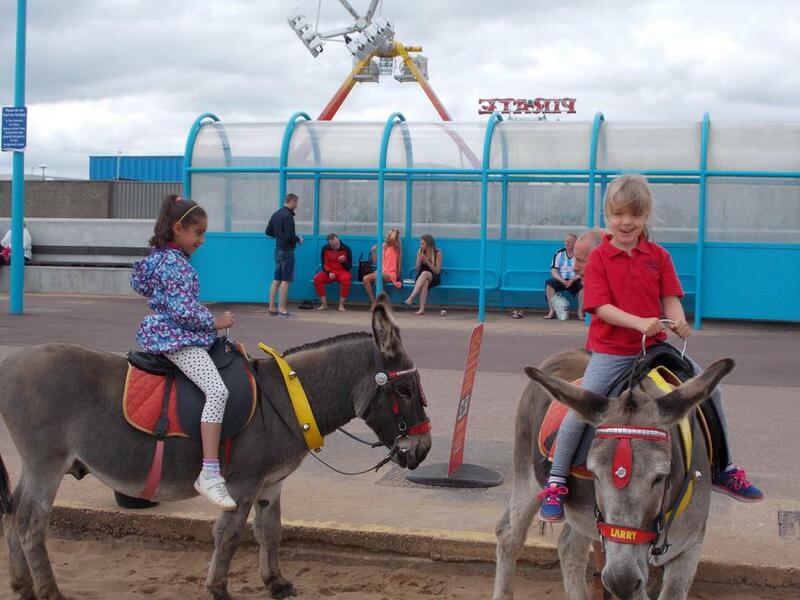 We found out all about interesting places to visit in Nottingham and wrote visitors guides for people visiting Nottingham. 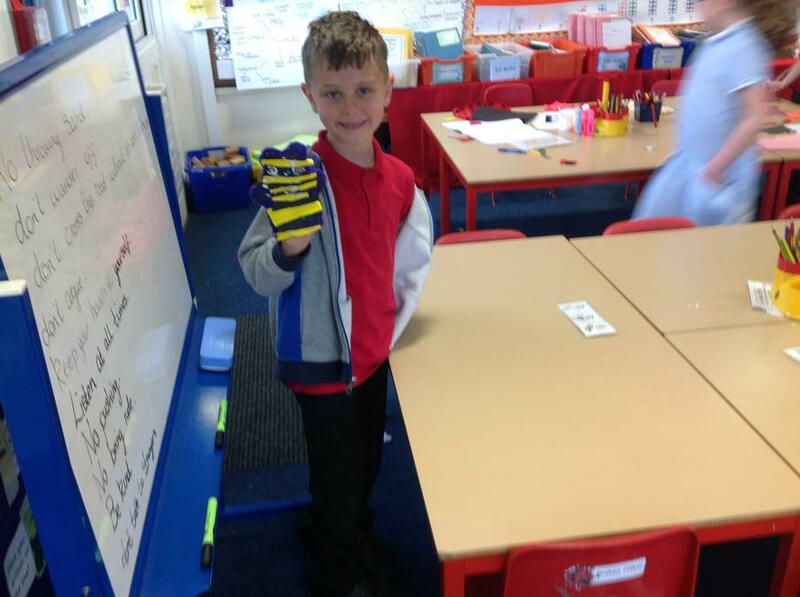 In Science, we learnt all about Electricity. 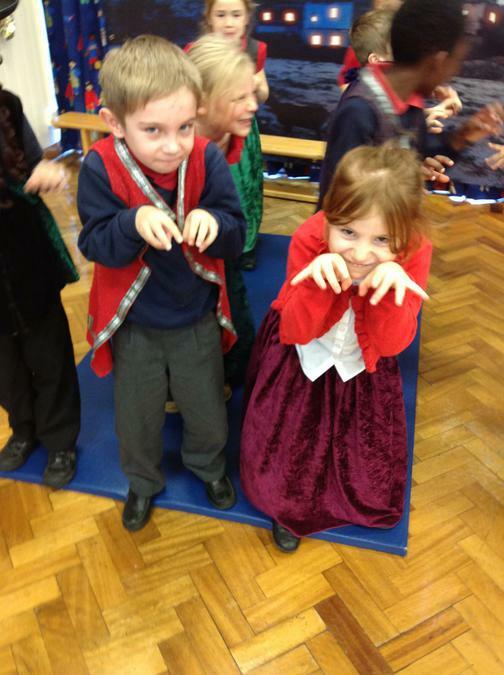 In History we found out all about the Great fire of London. 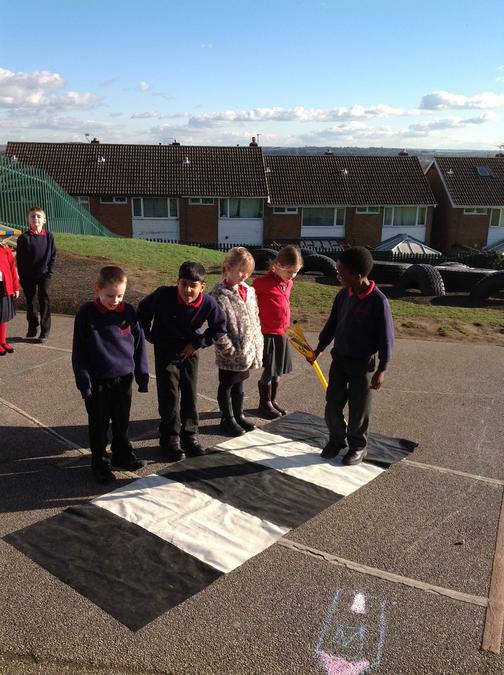 In Art, we have been learning about patterns and doing some work on the artist Piet Mondrian. 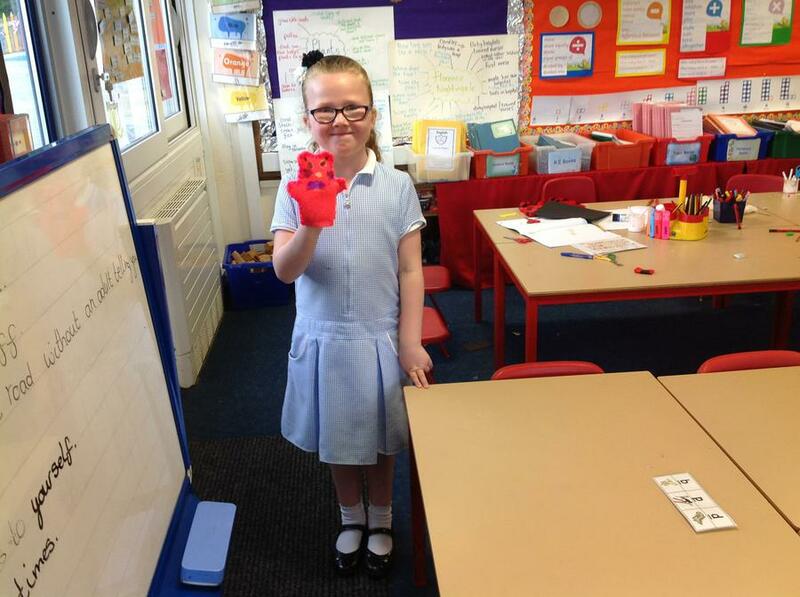 Take a look at our new gallery in the classroom. 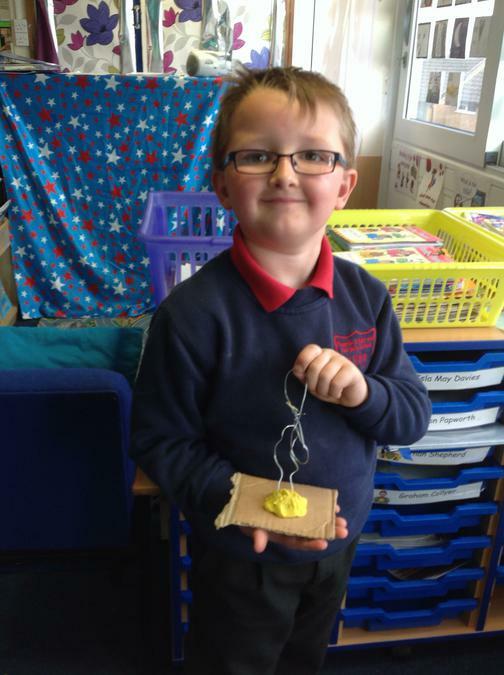 We have some brilliant artists in Class 6. 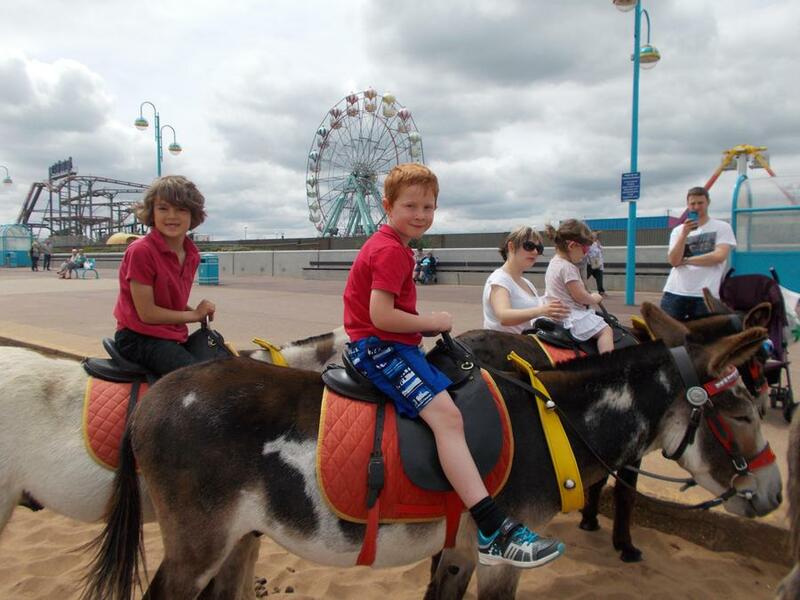 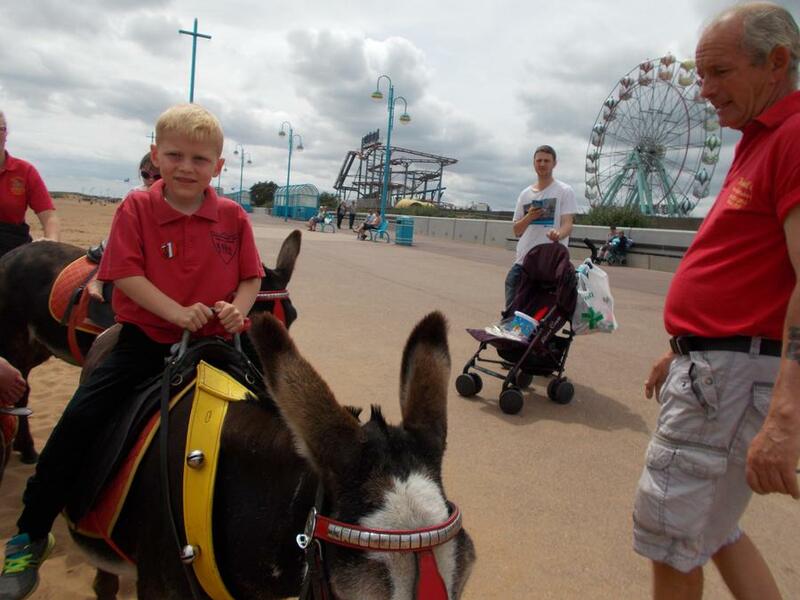 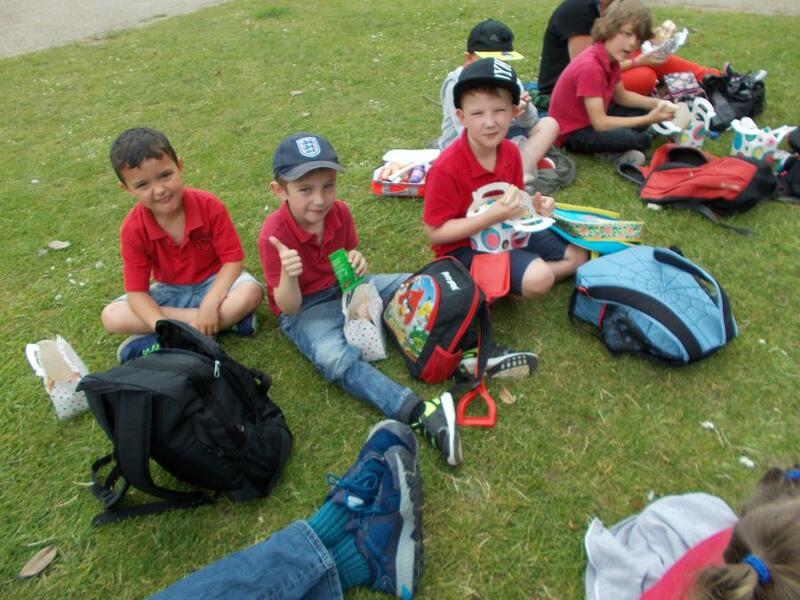 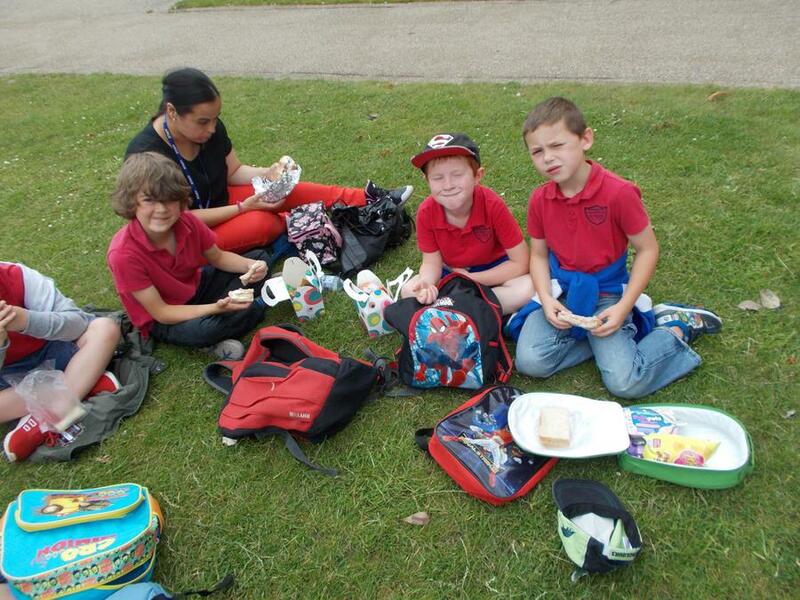 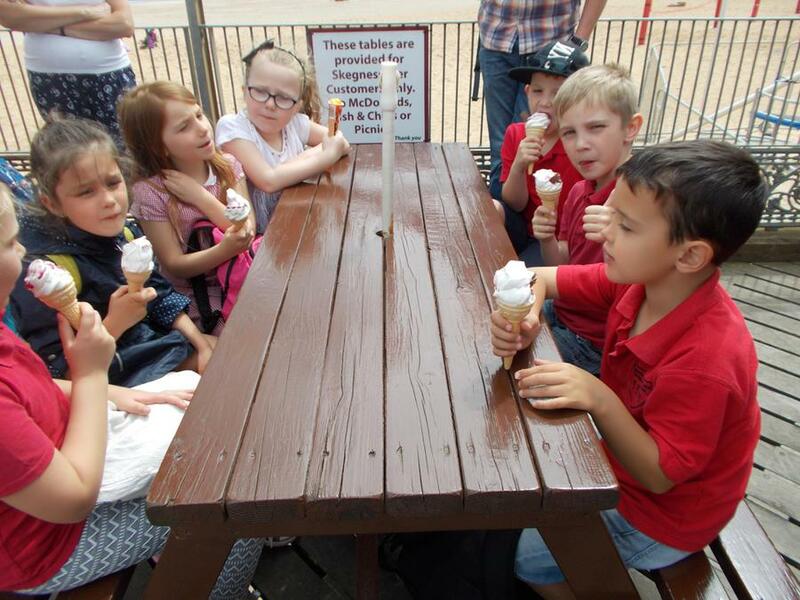 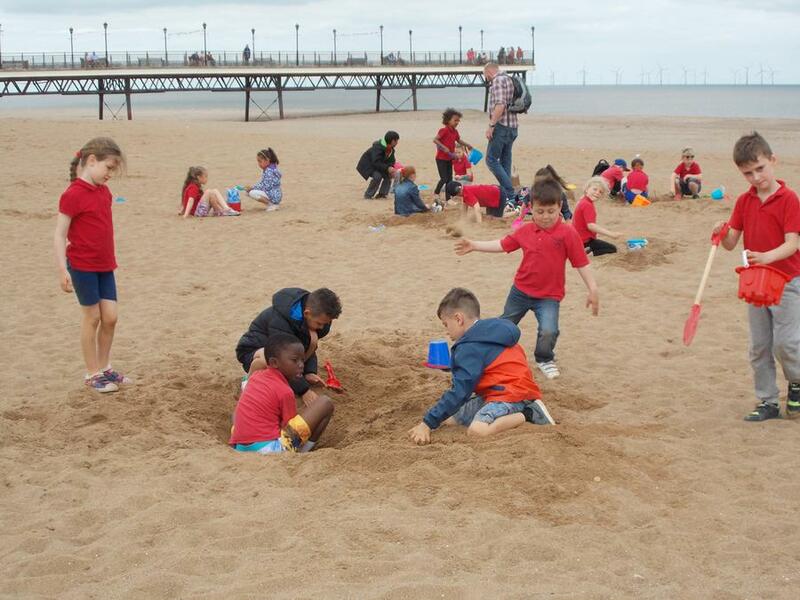 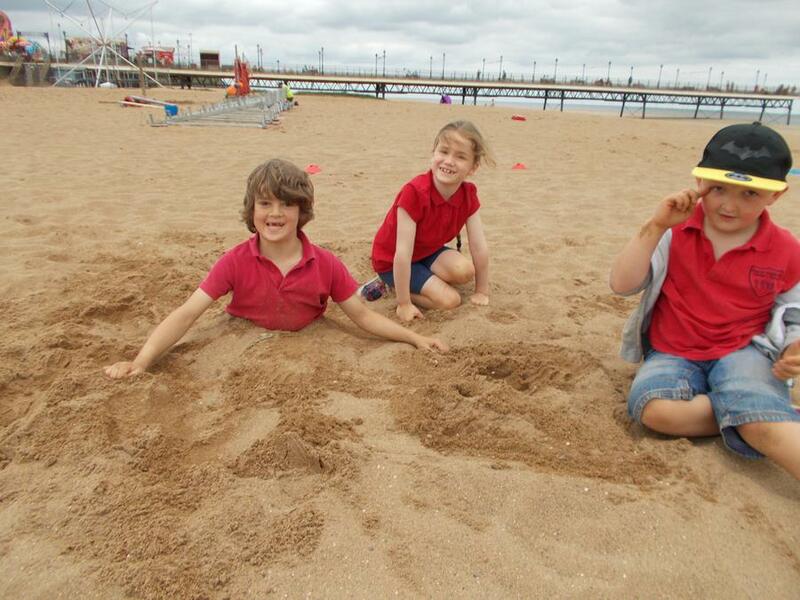 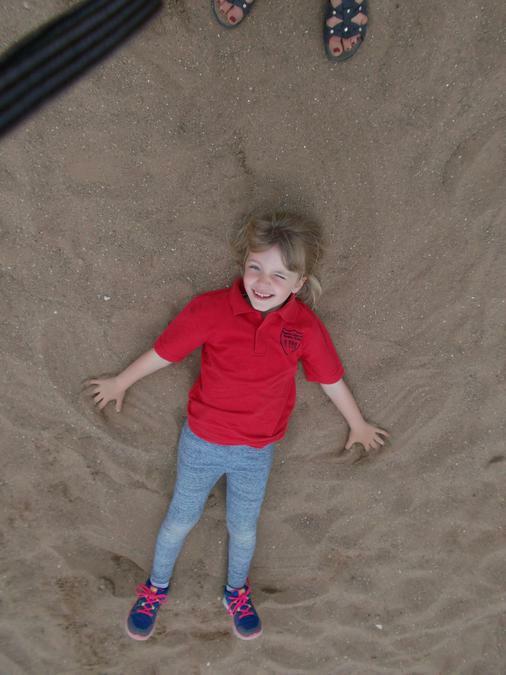 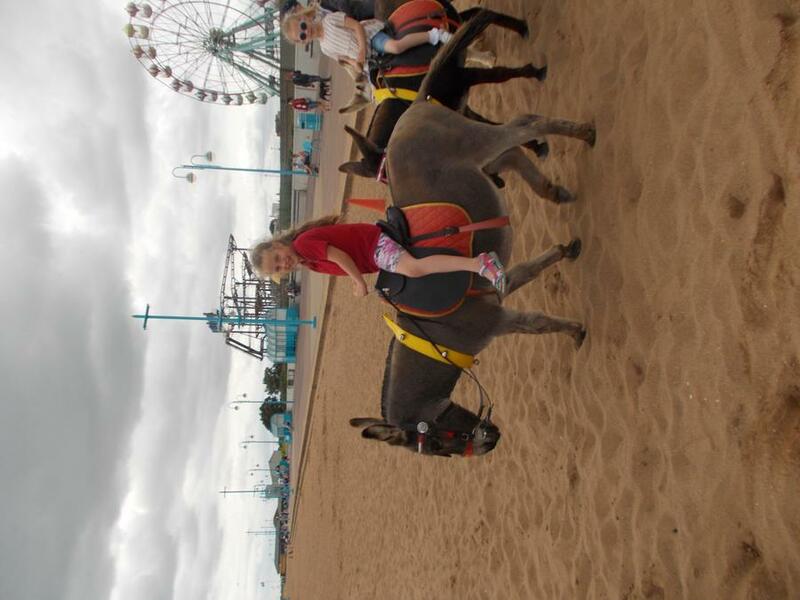 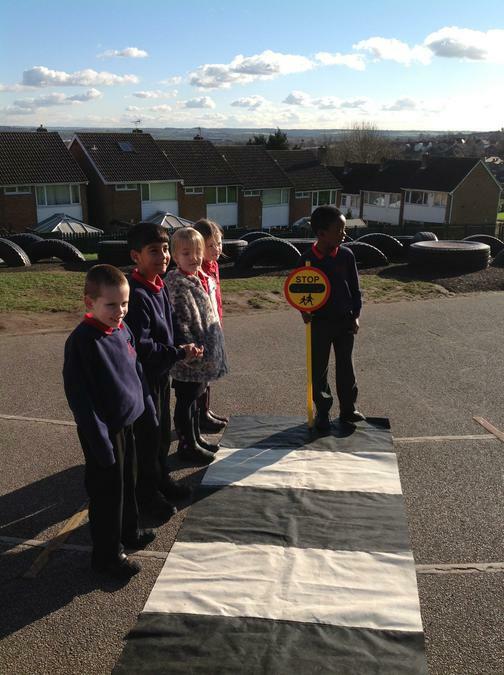 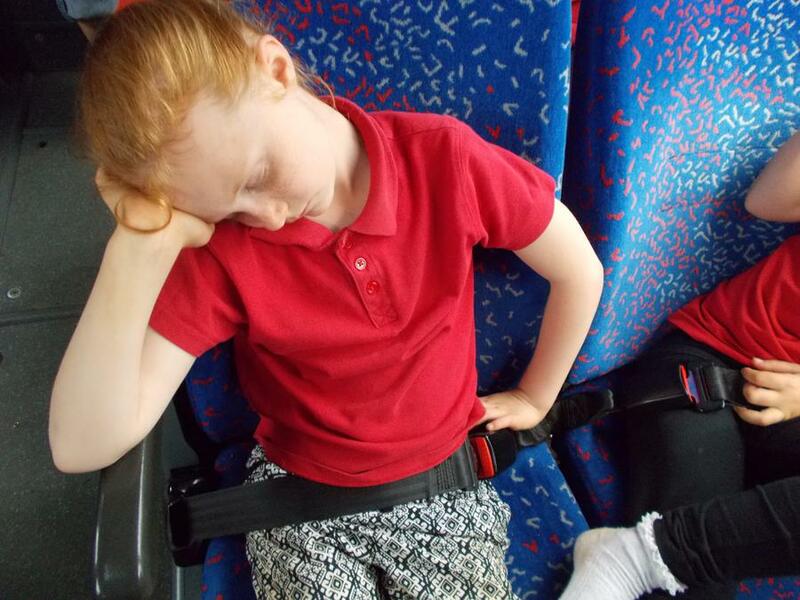 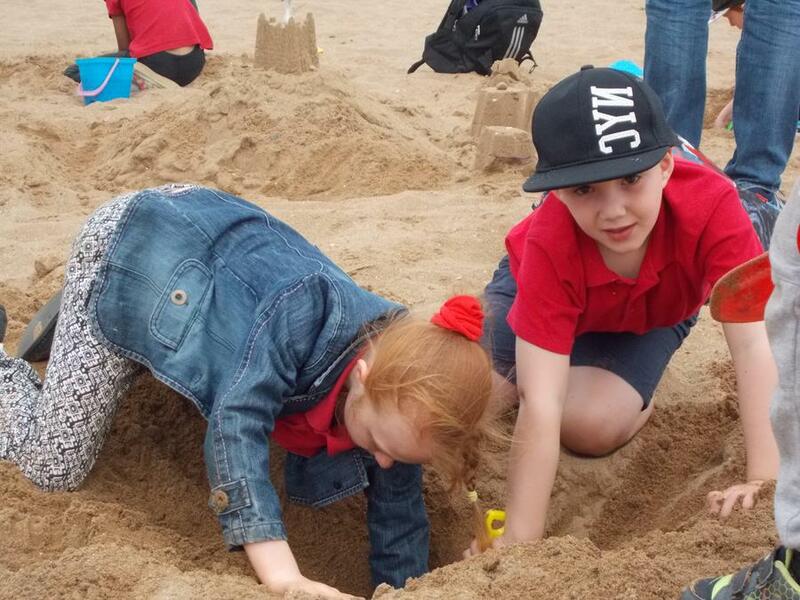 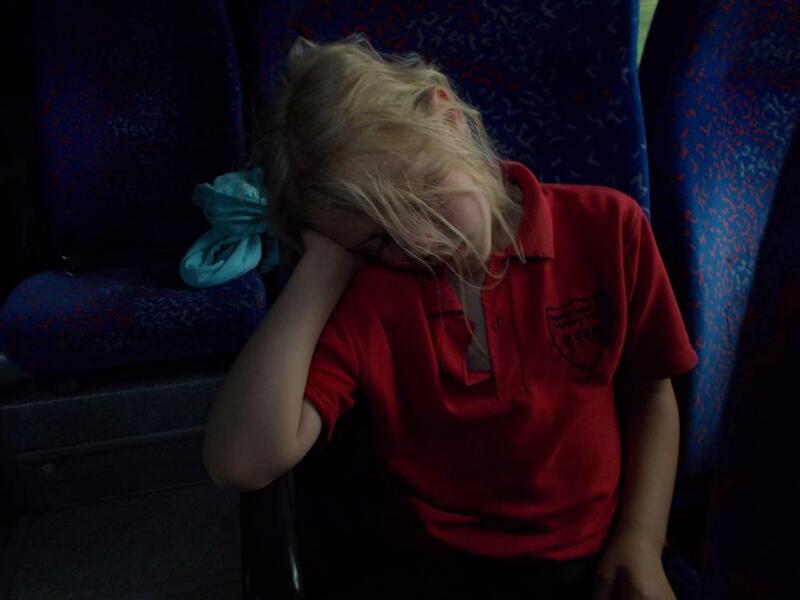 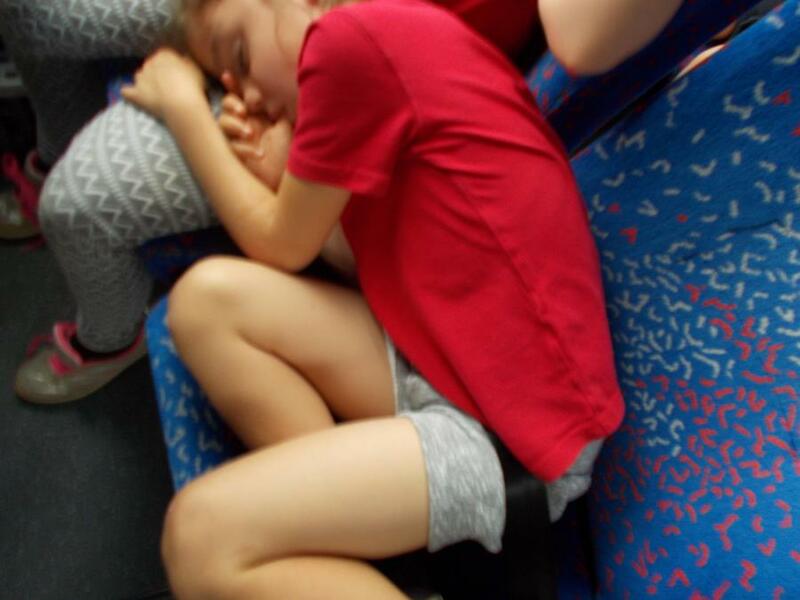 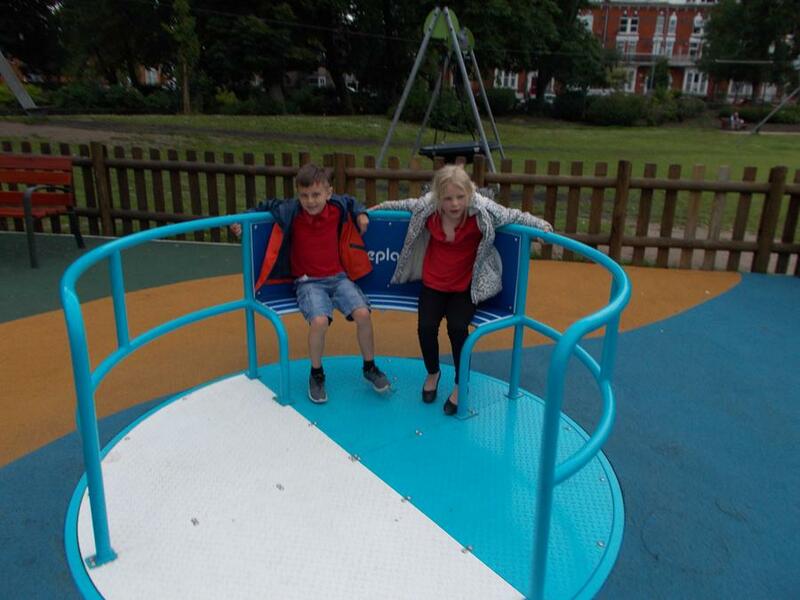 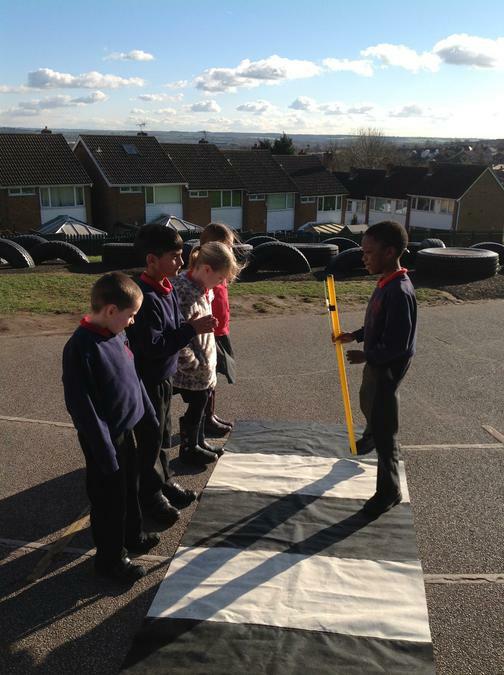 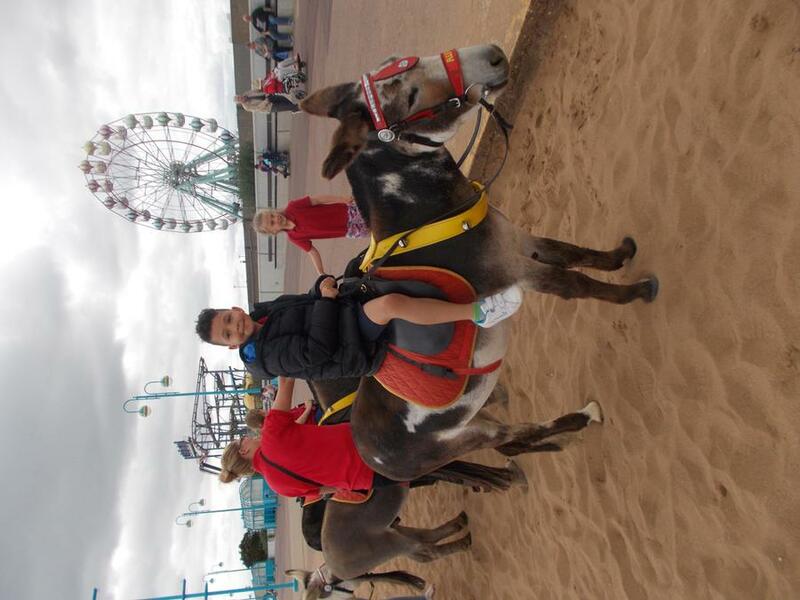 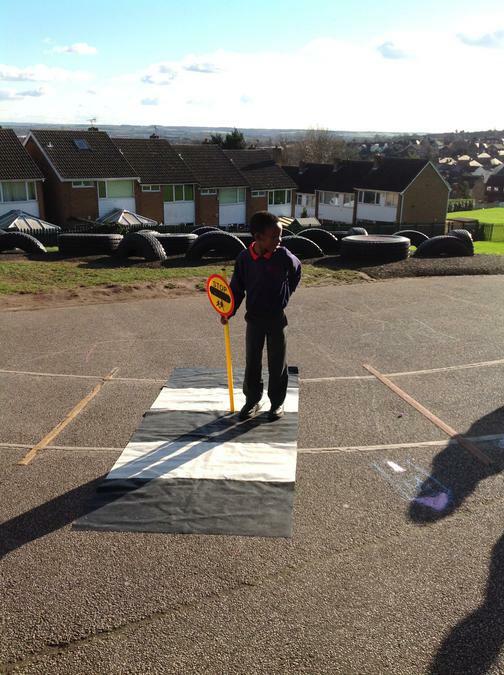 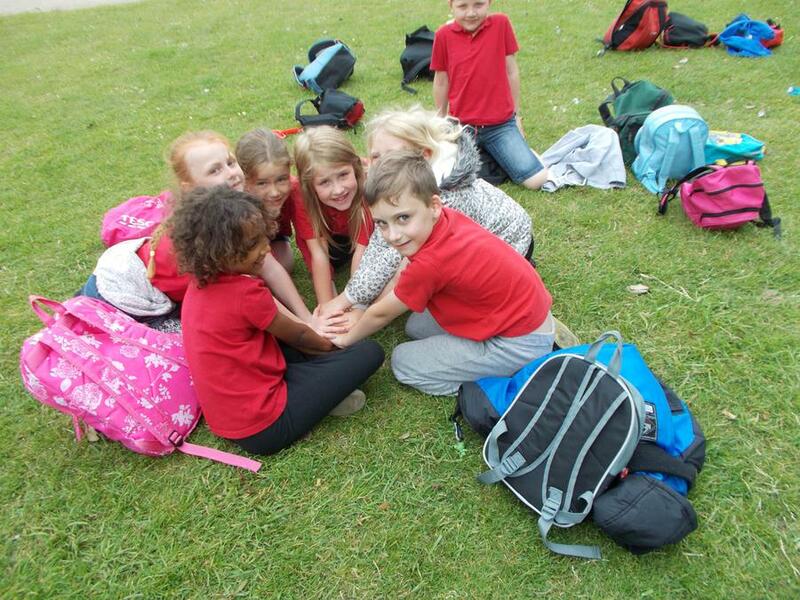 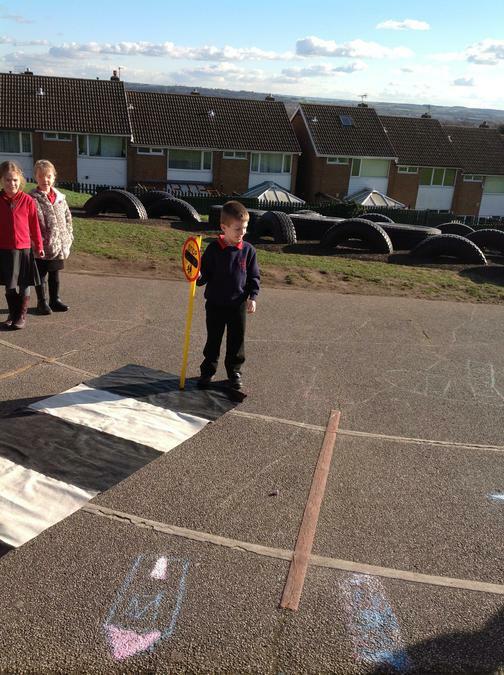 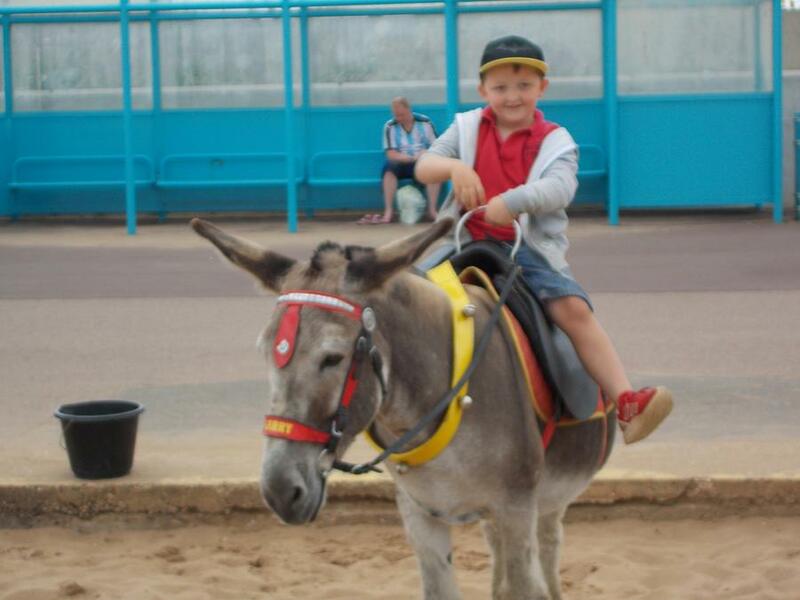 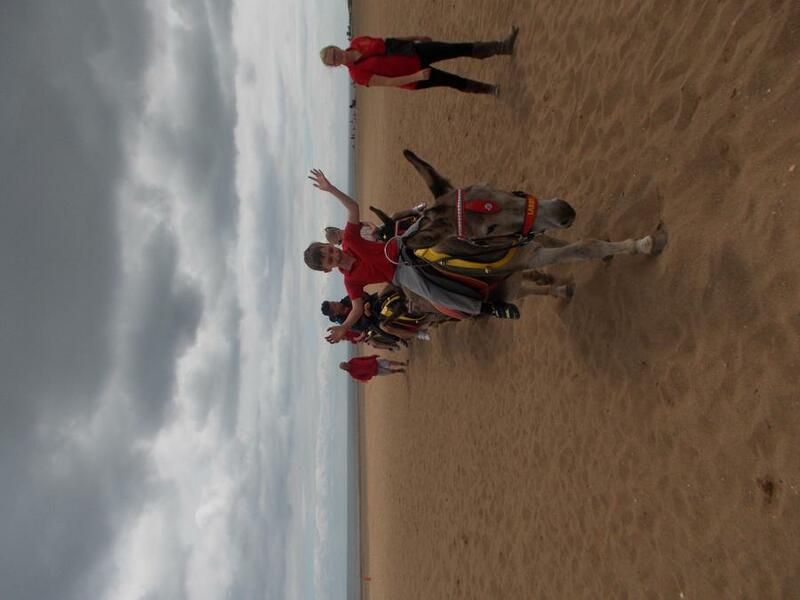 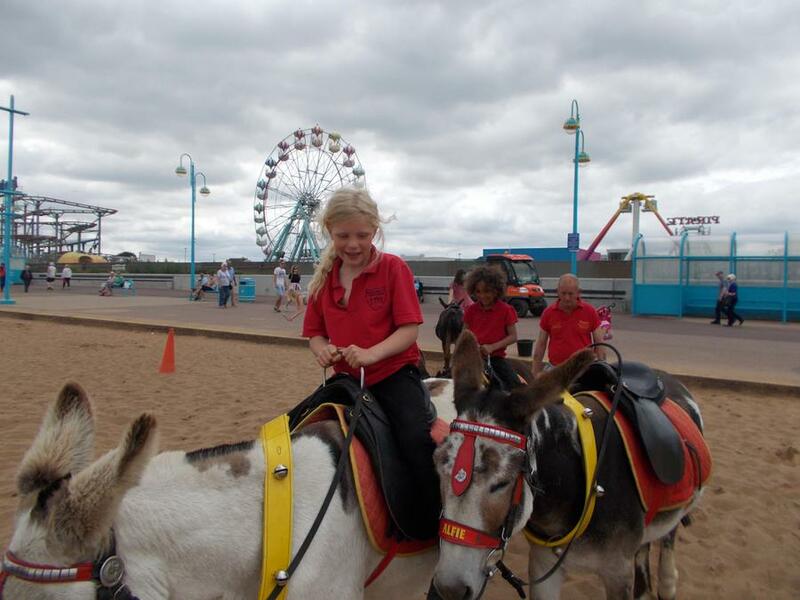 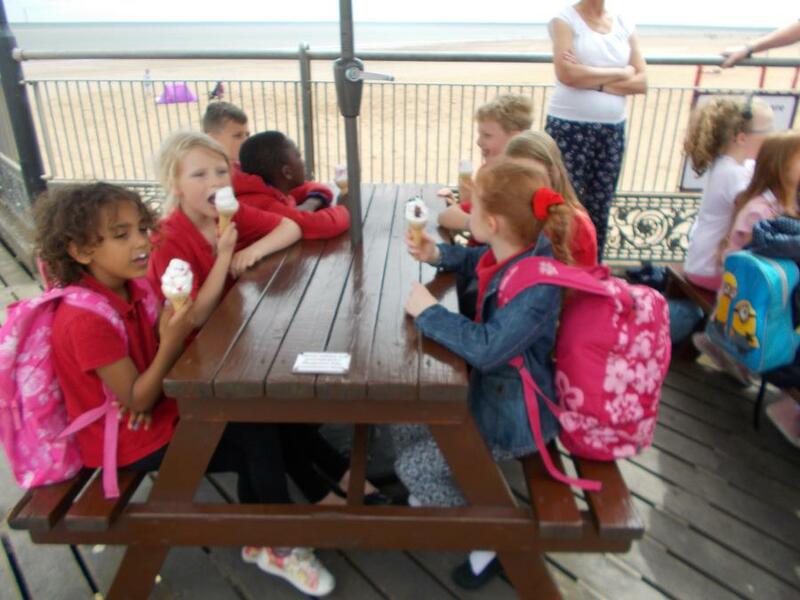 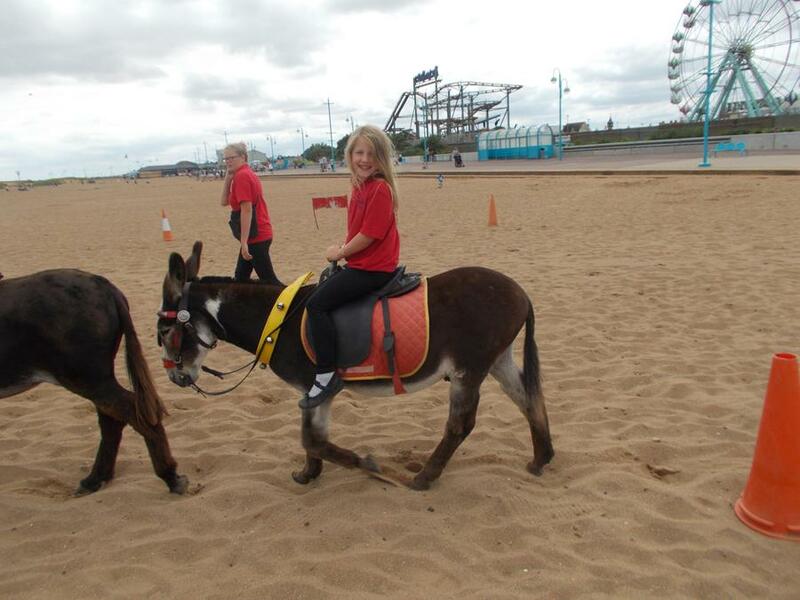 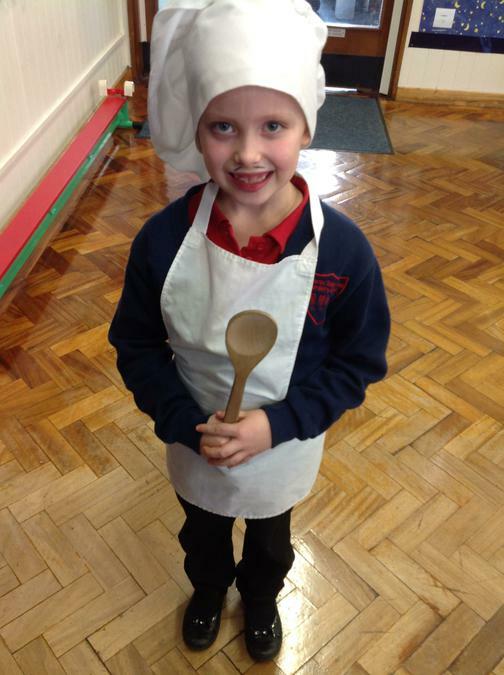 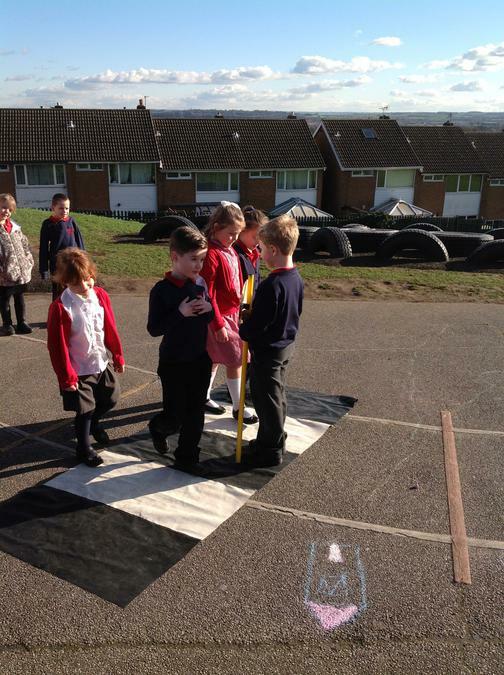 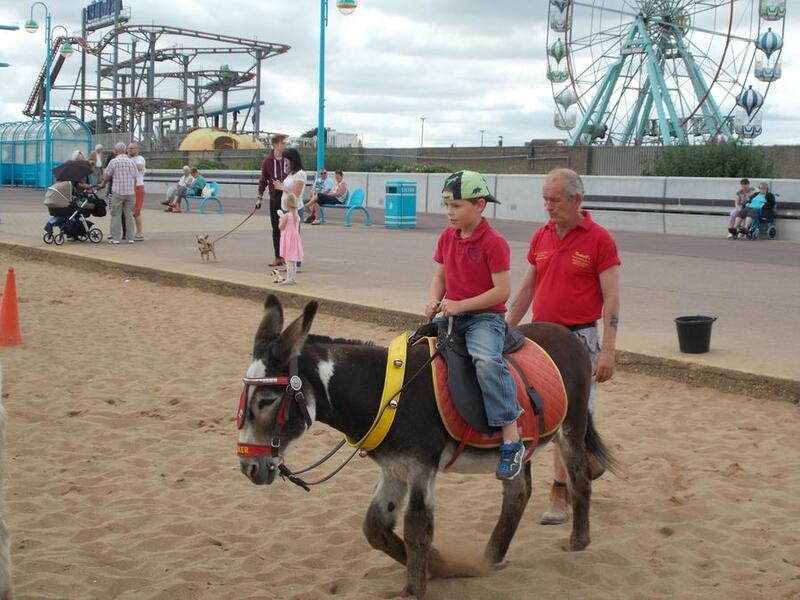 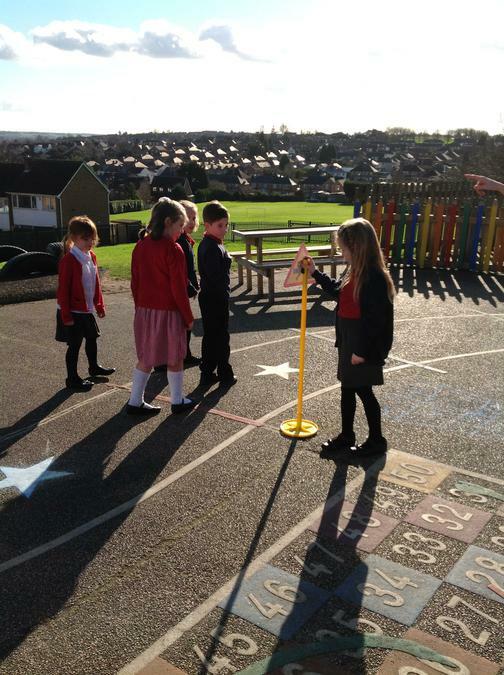 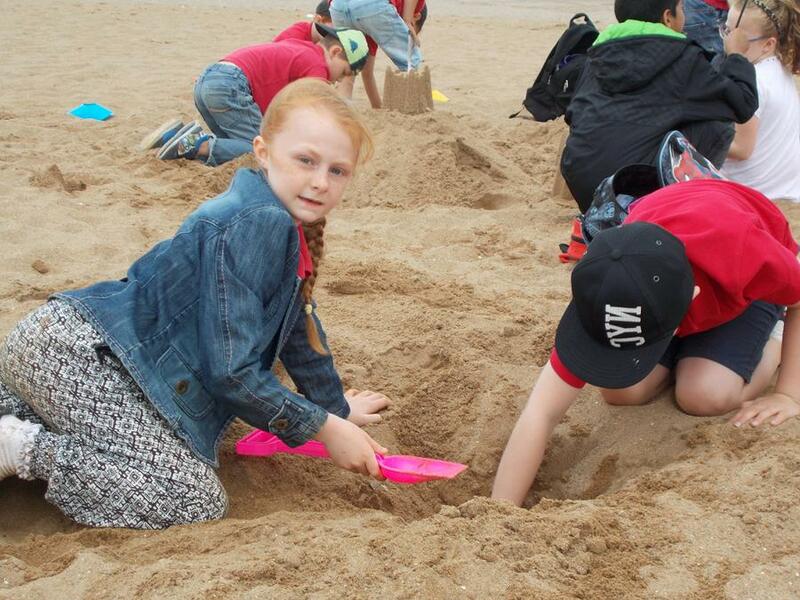 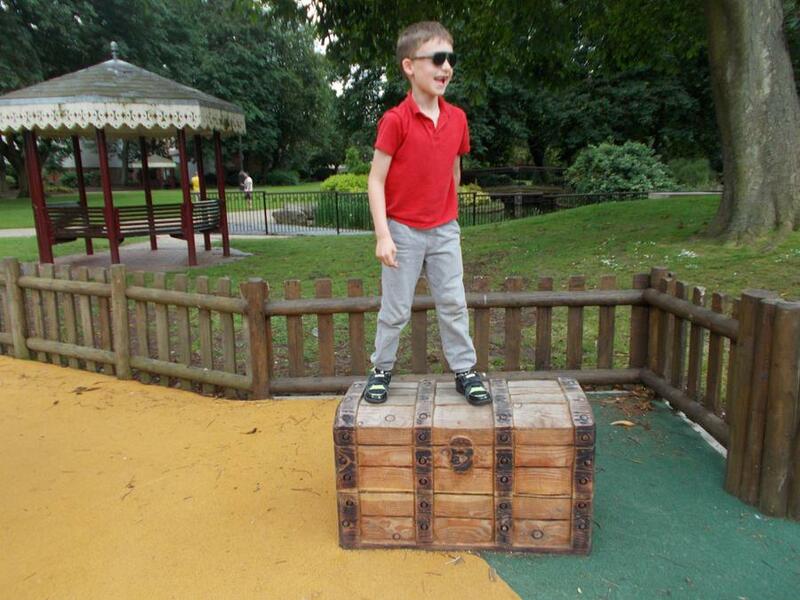 Keep checking this page as we will be adding lots of photographs of our learning experiences! 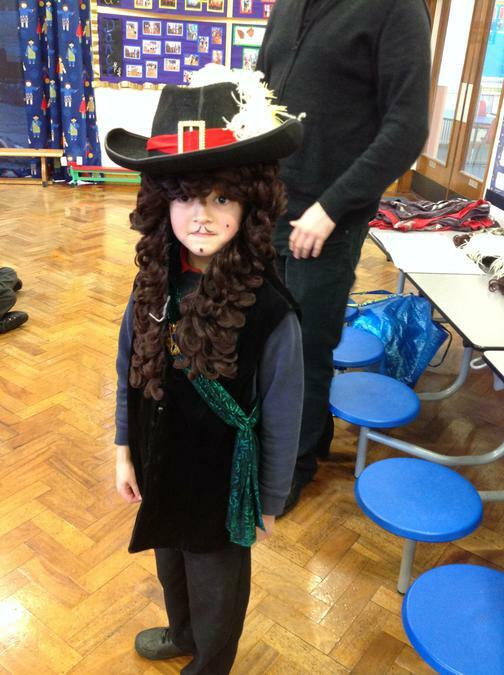 Class 6 have been learning about the Great Fire of London. 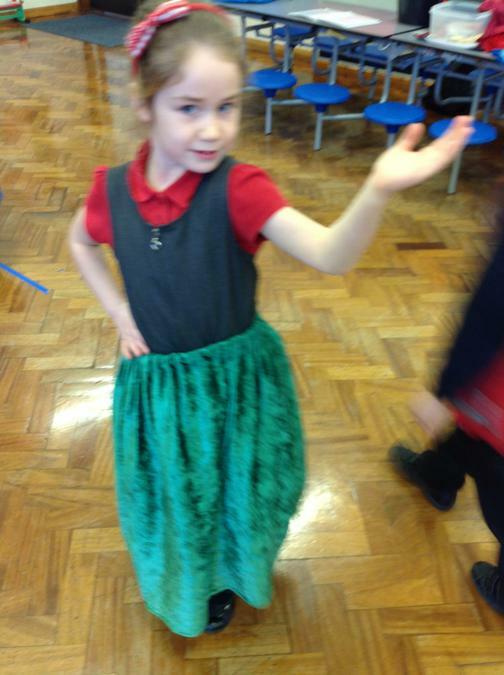 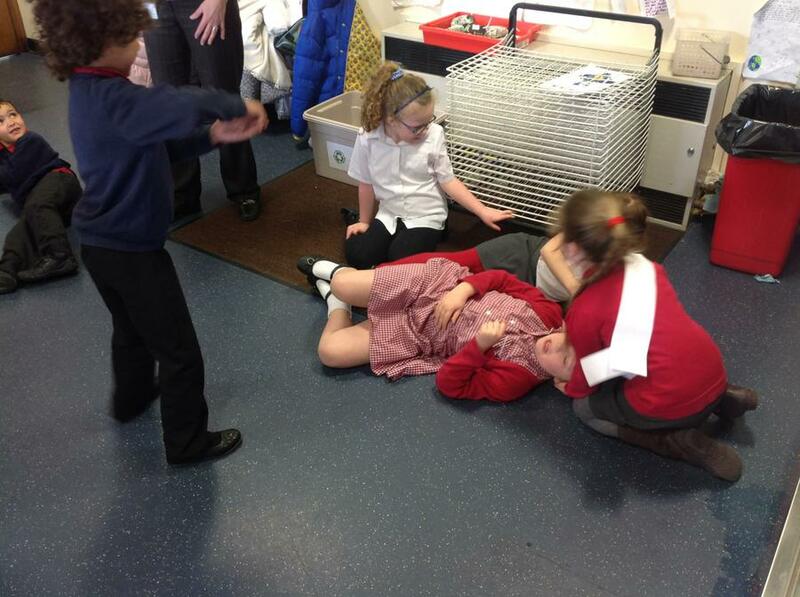 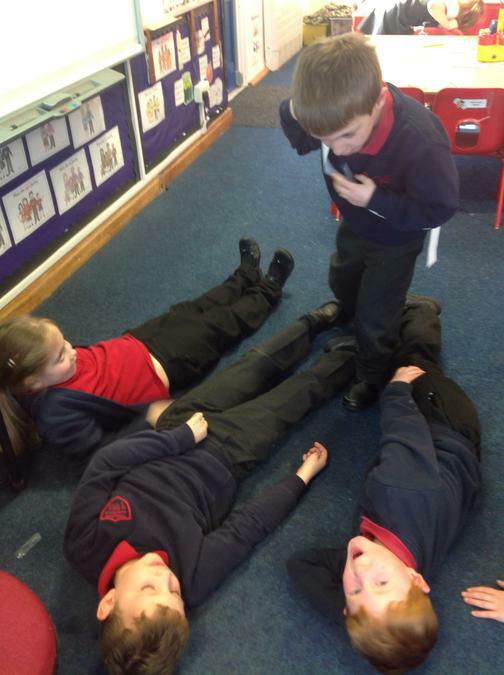 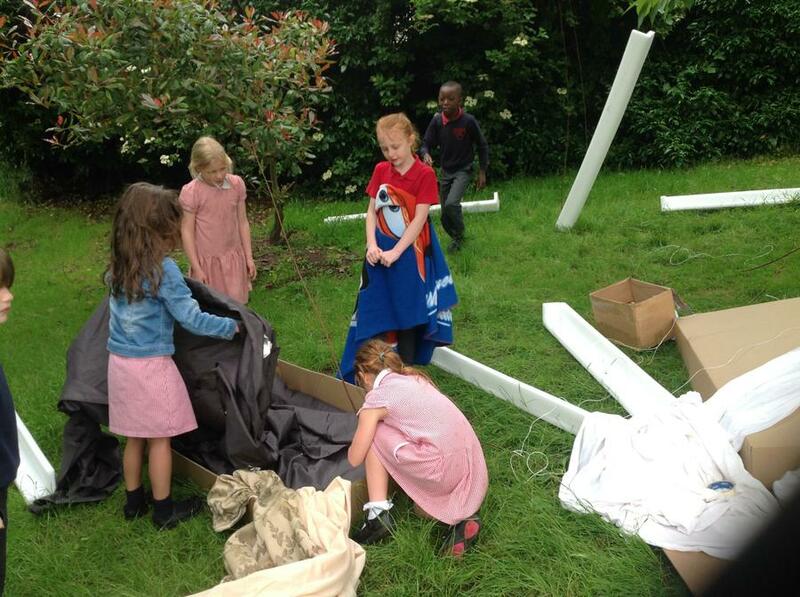 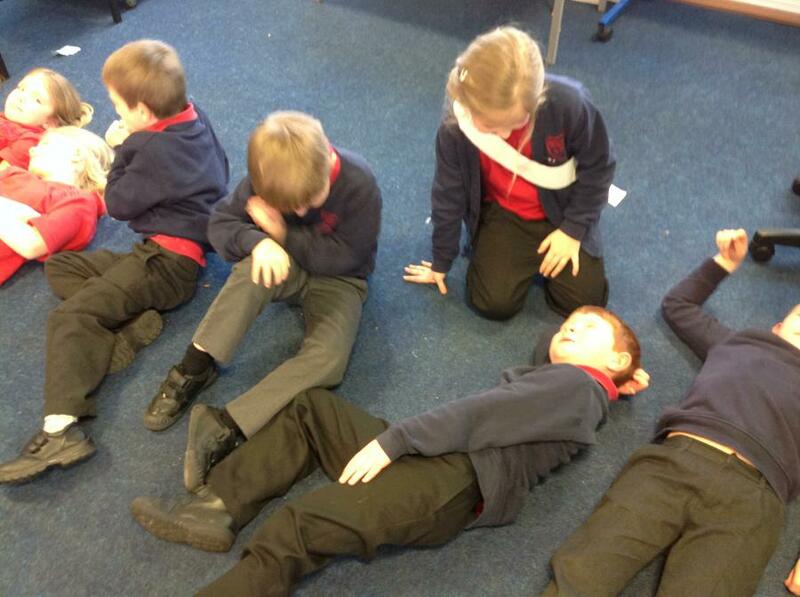 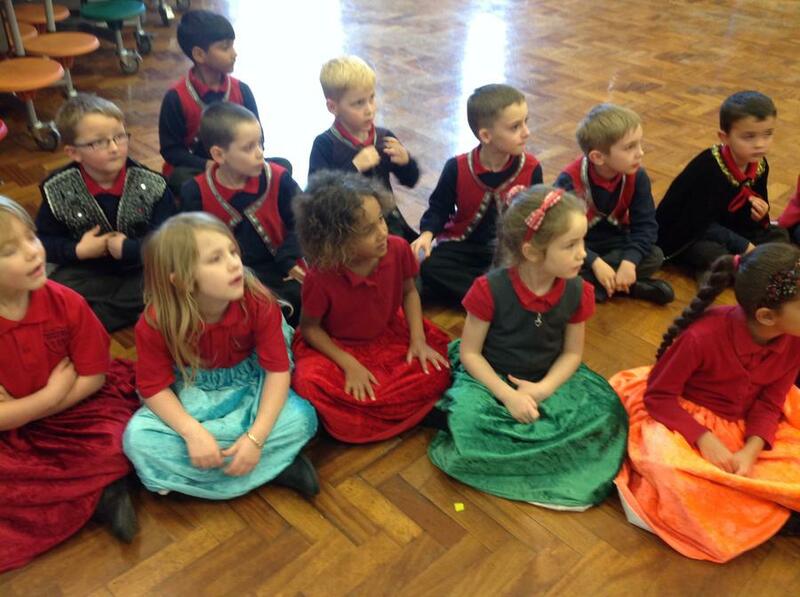 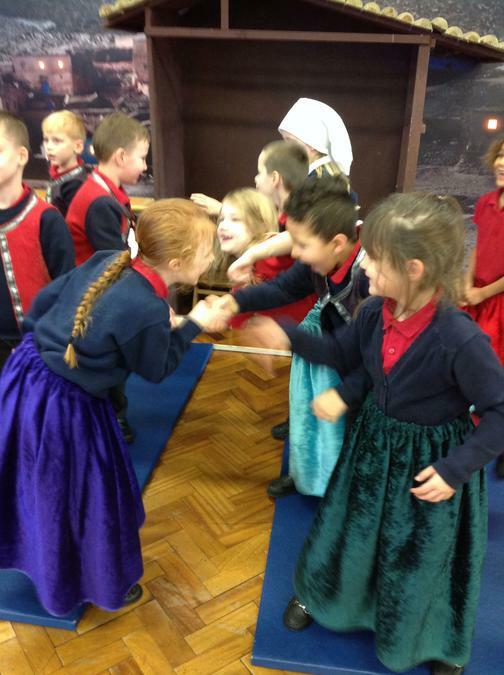 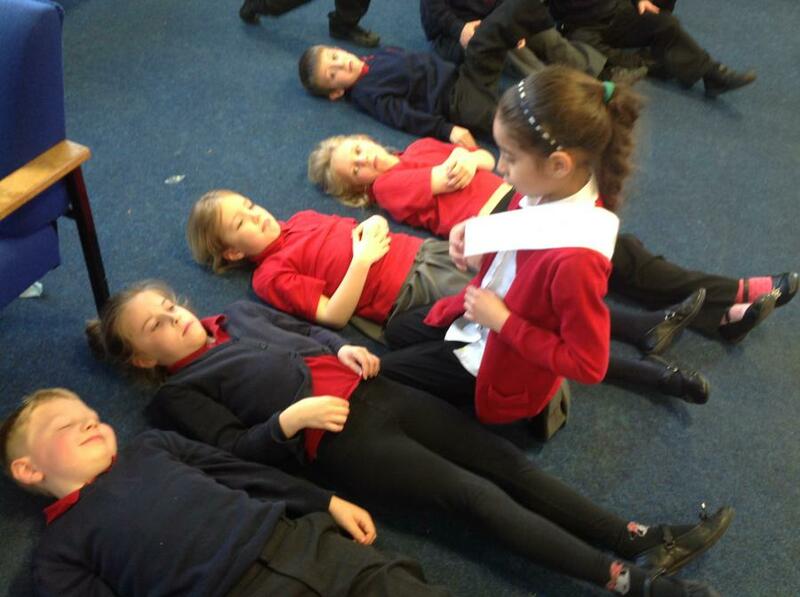 Take a look at our drama activities led by Partake Theatre Group. 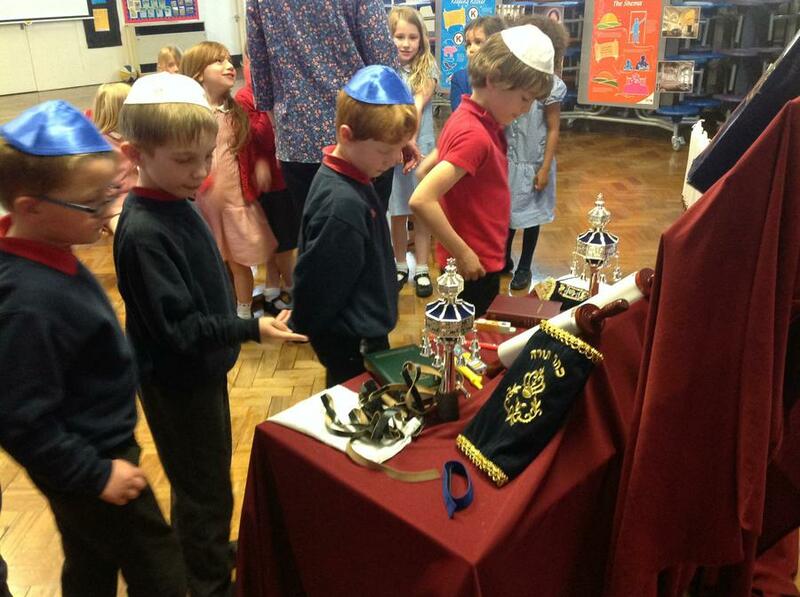 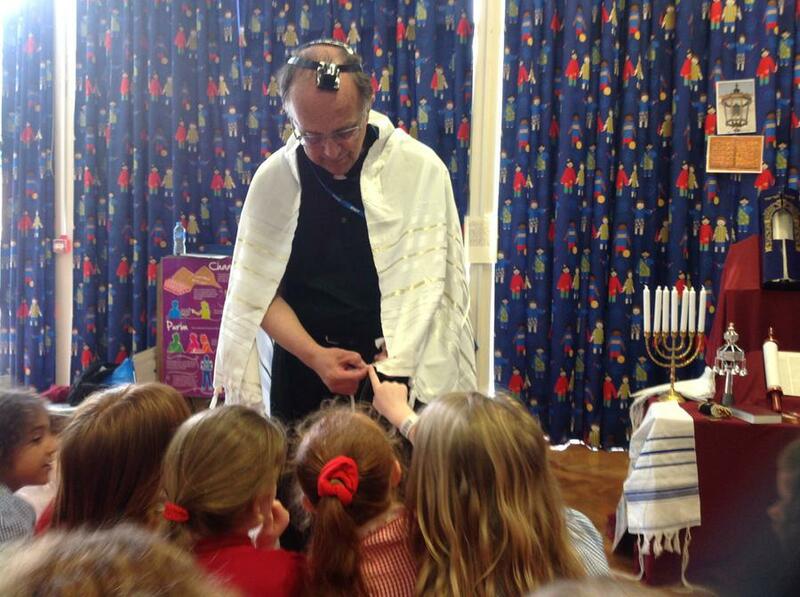 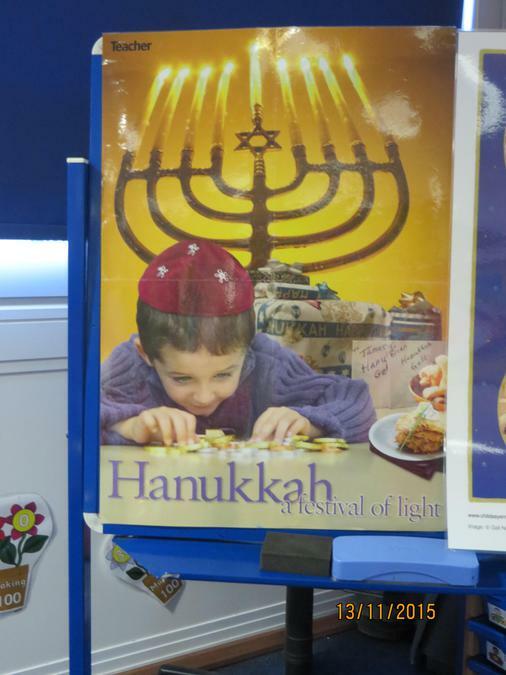 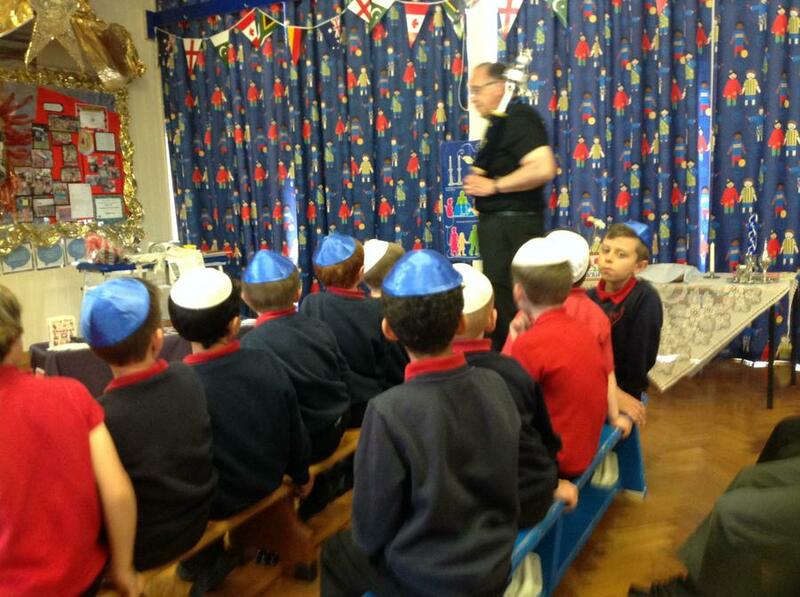 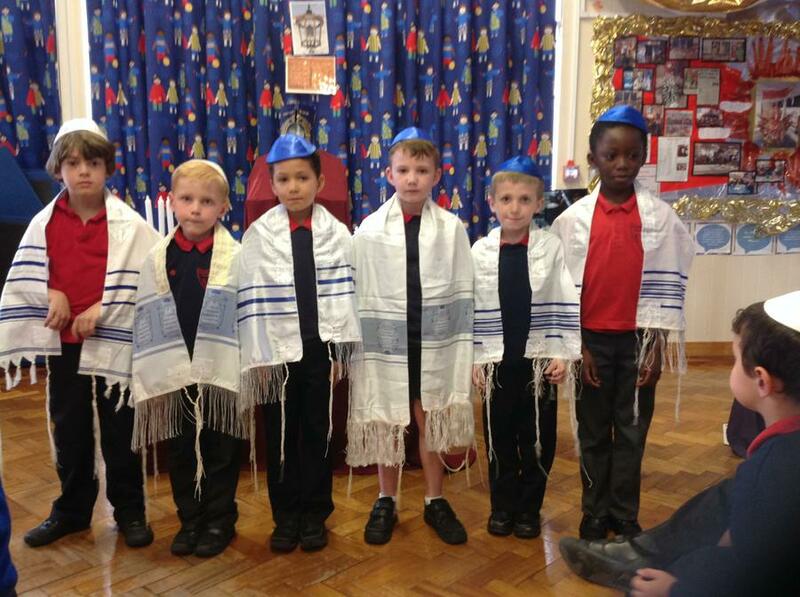 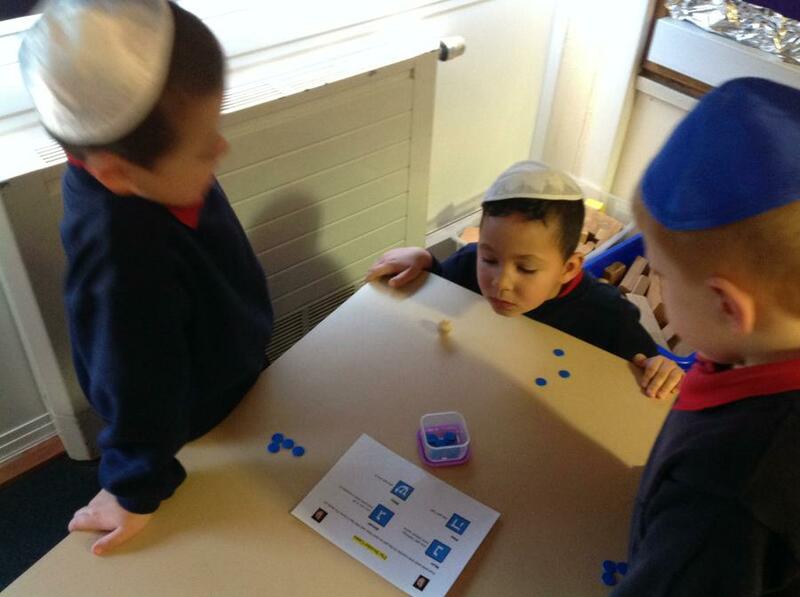 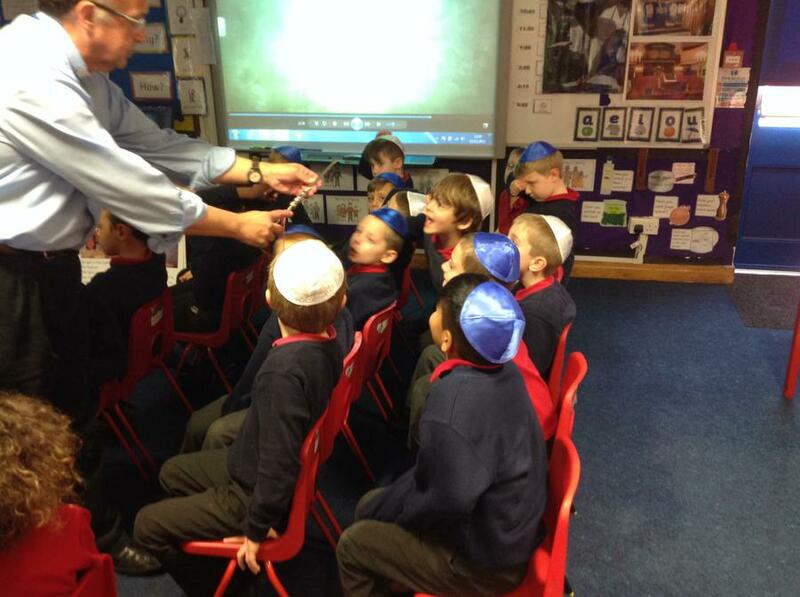 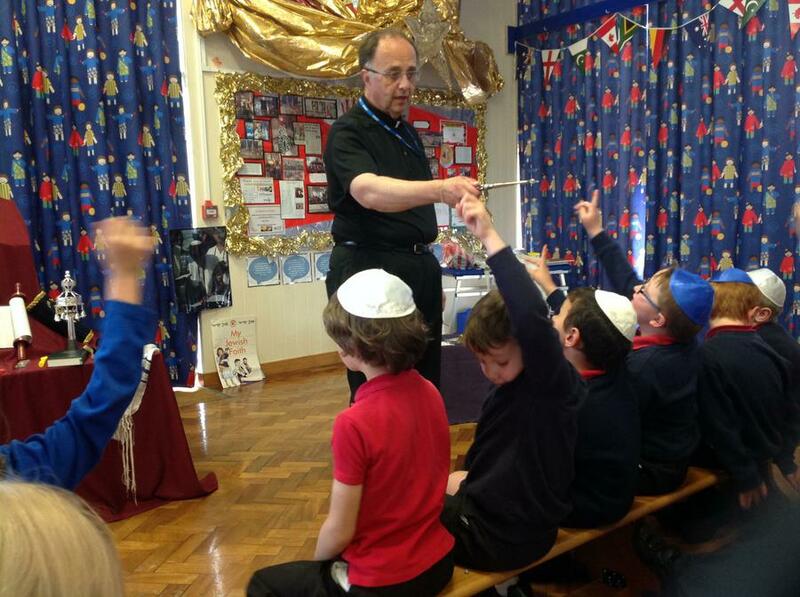 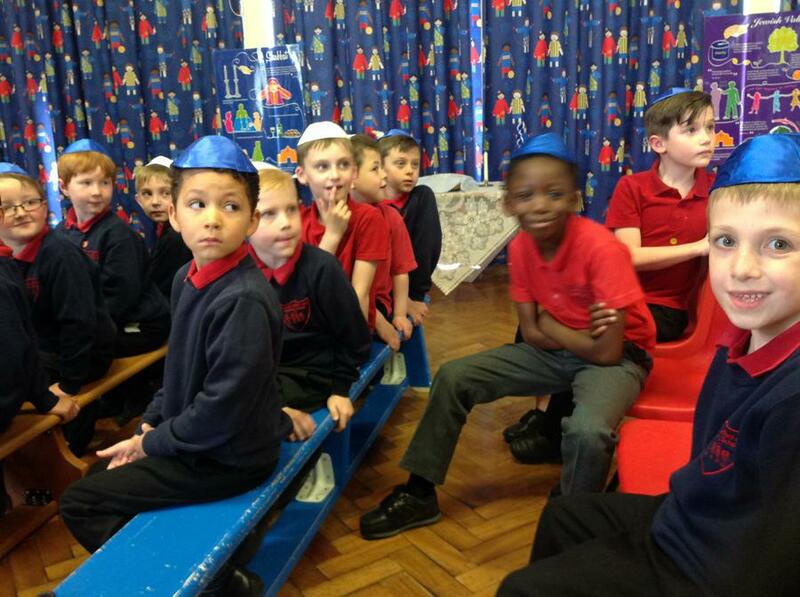 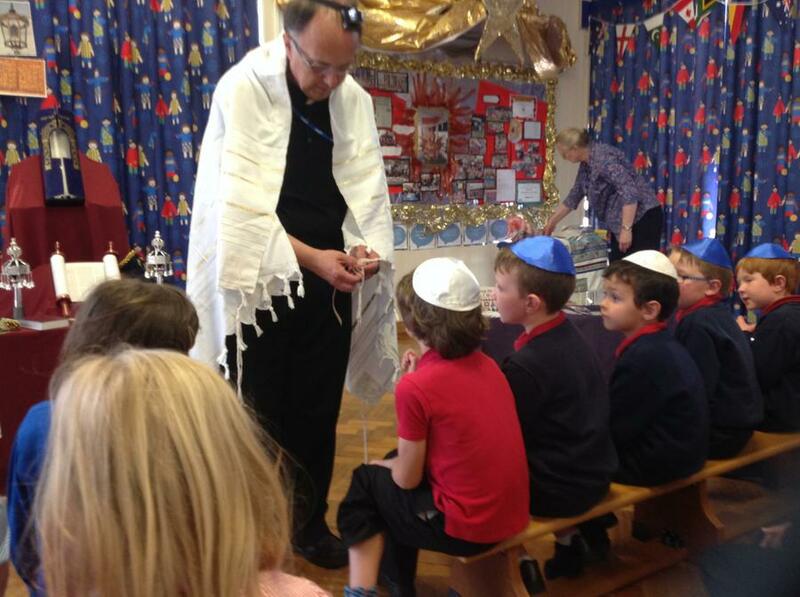 Today we spent the afternoon learning about Judaism and Hanukkah - the festival of light. 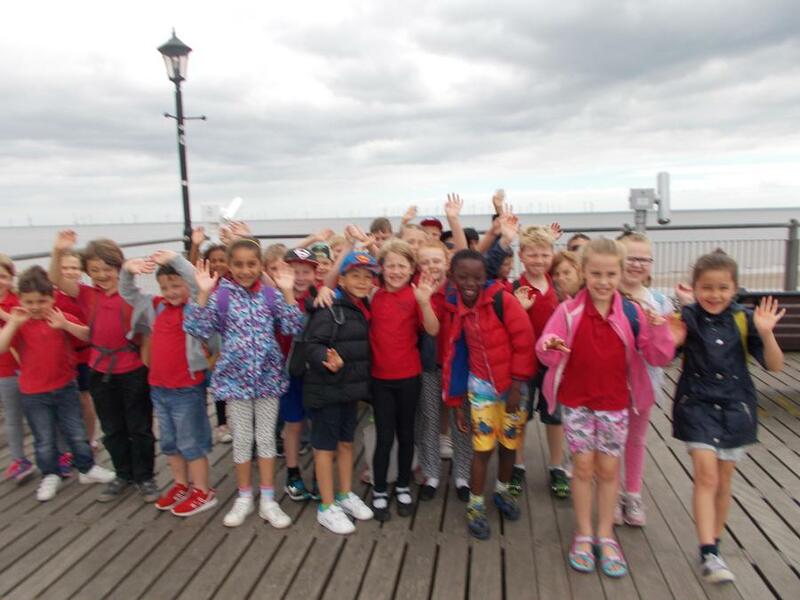 Hotel 6 - The grand opening... 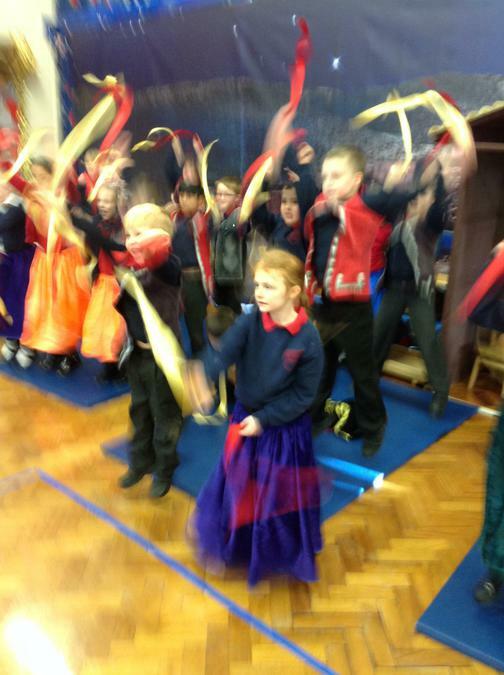 Thank you to Mrs Broad for cutting the ribbon. 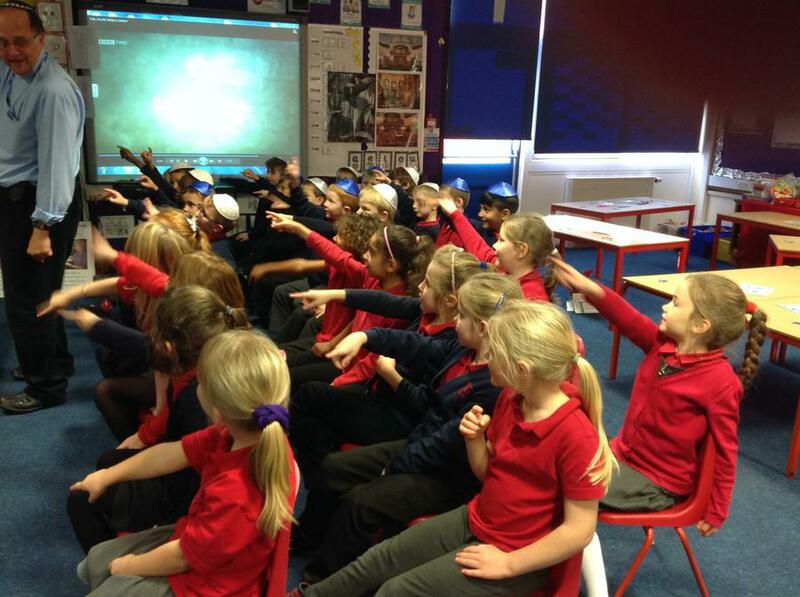 During the first half of the Spring Term we learnt all about Africa and compared this to Nottingham. 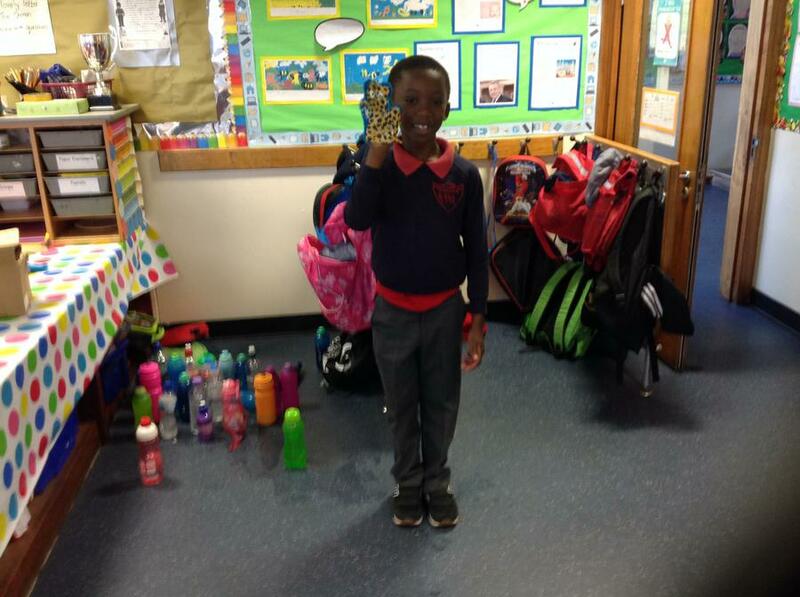 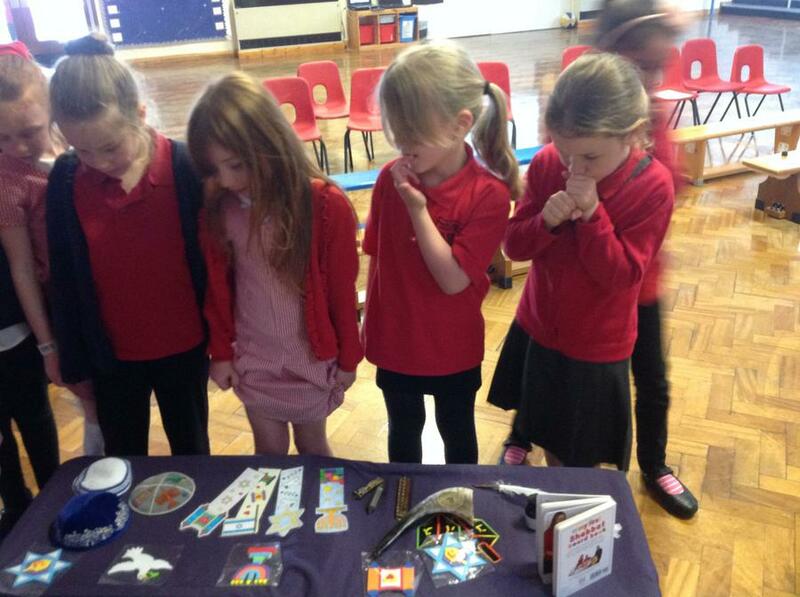 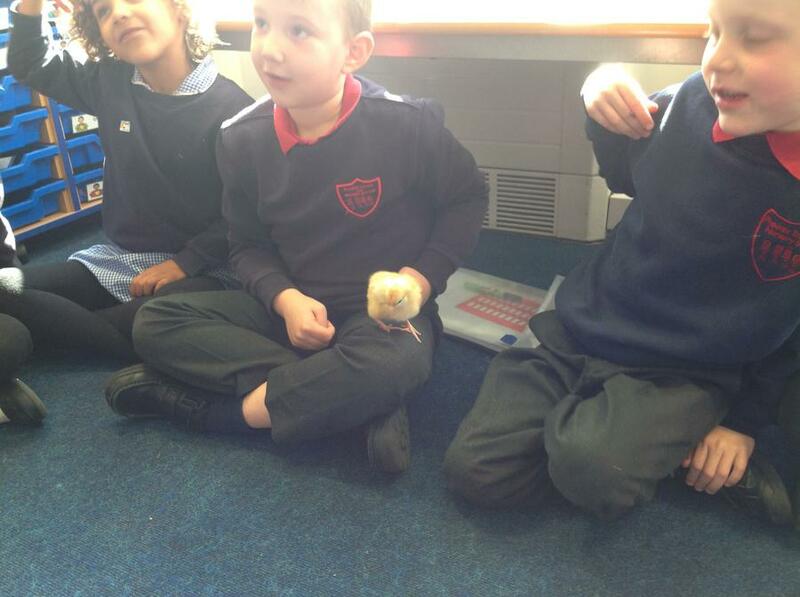 In Science we learnt all about staying healthy and the different foods we should eat to stay healthy. 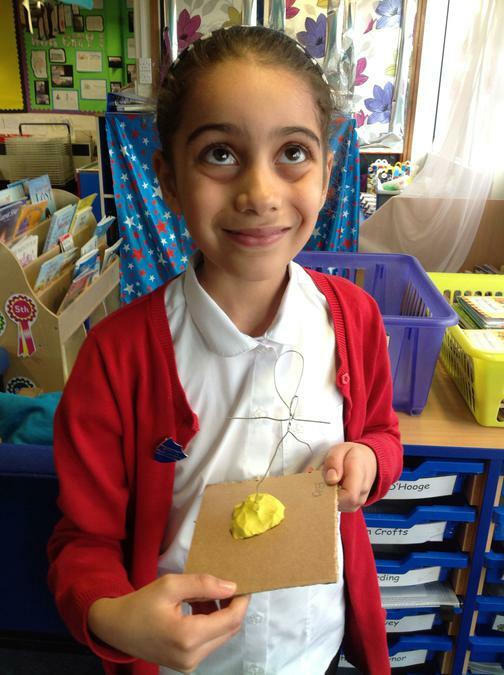 In Art the children have drawn some fantastic portraits. 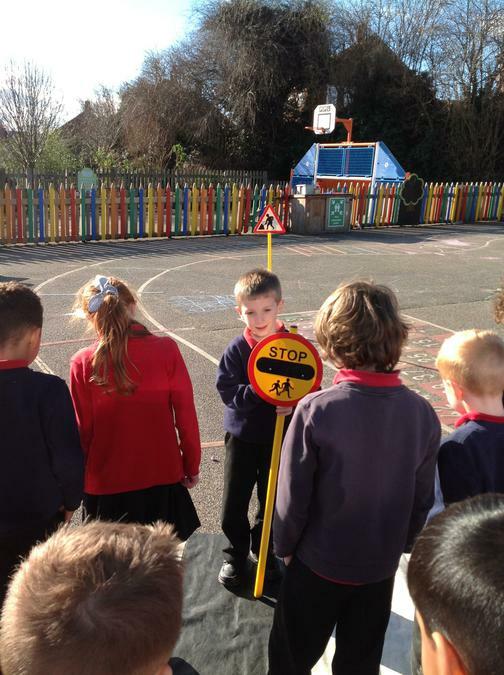 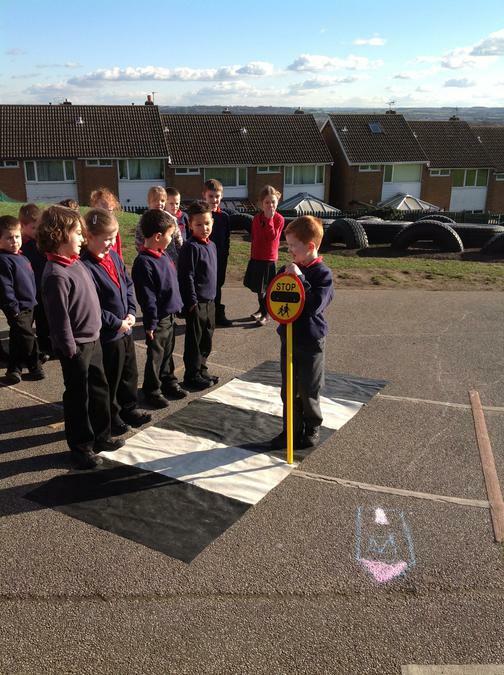 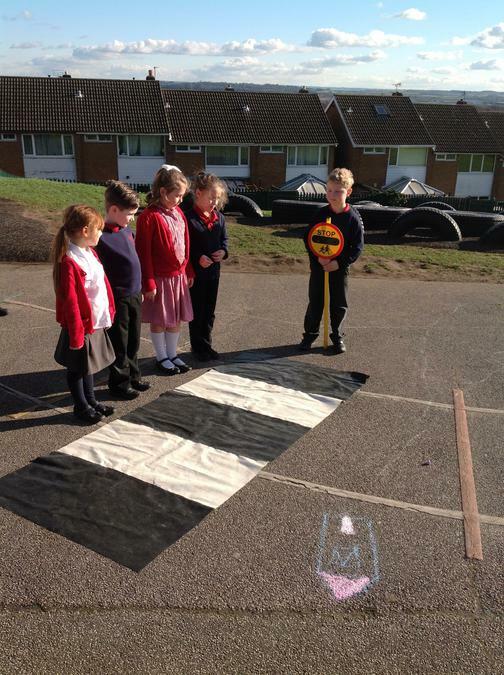 The children have also taken part in Safety week and learnt how to be safe when crossing the roads, all about Stranger danger, E Safety on the internet and we had a visit from a fireman. 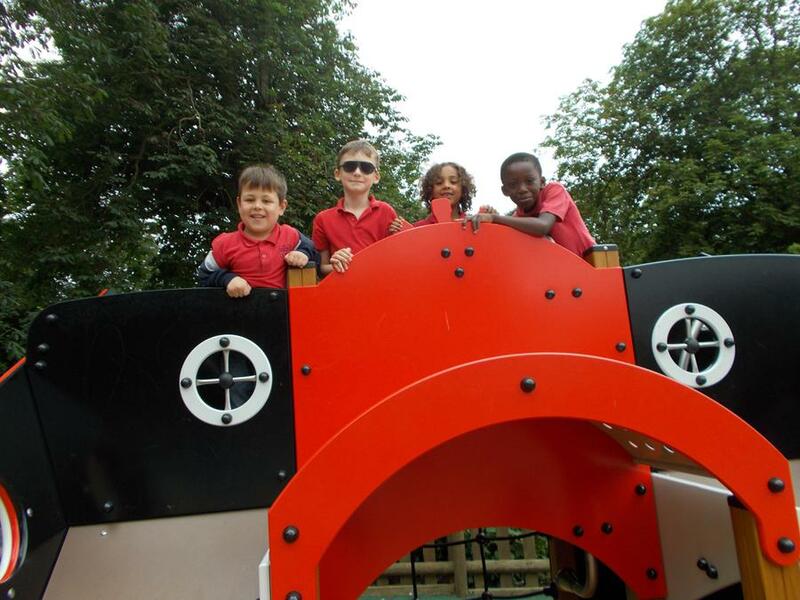 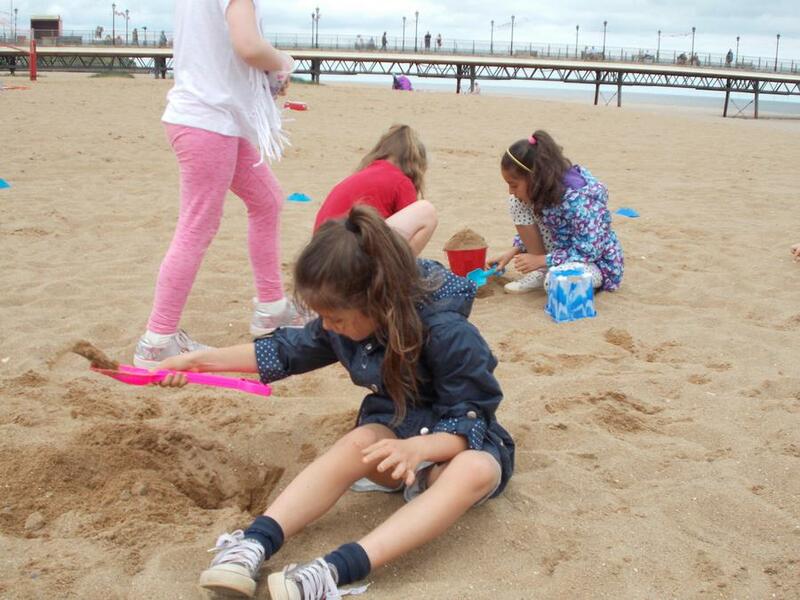 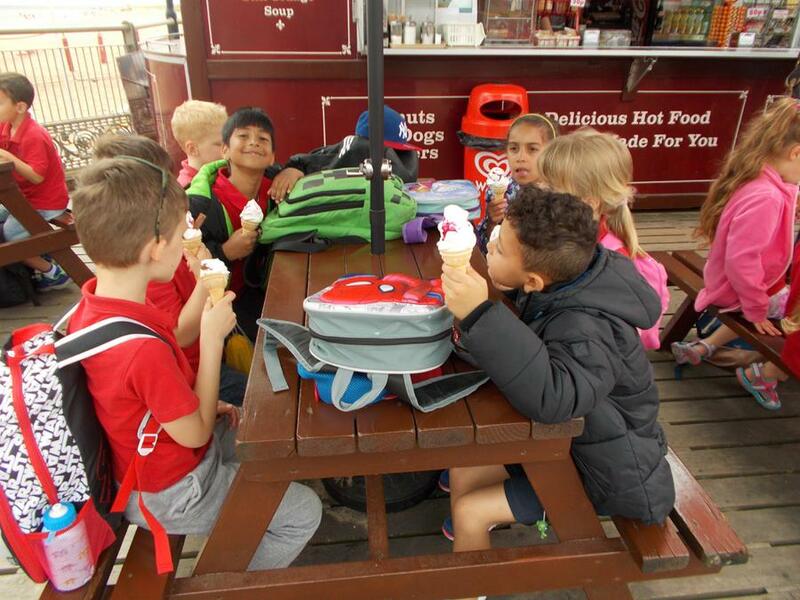 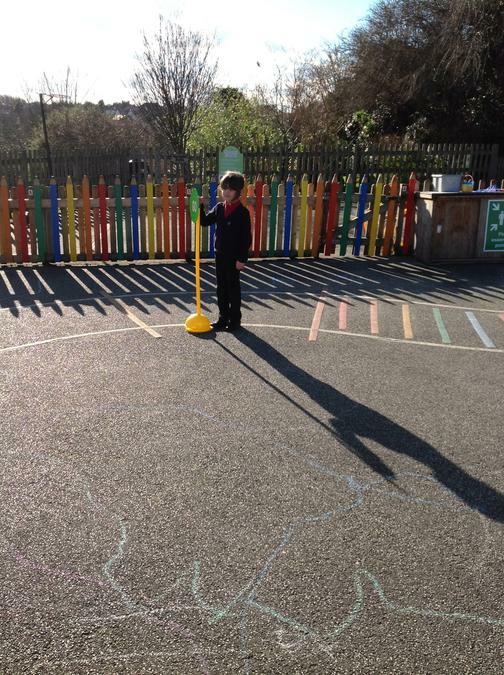 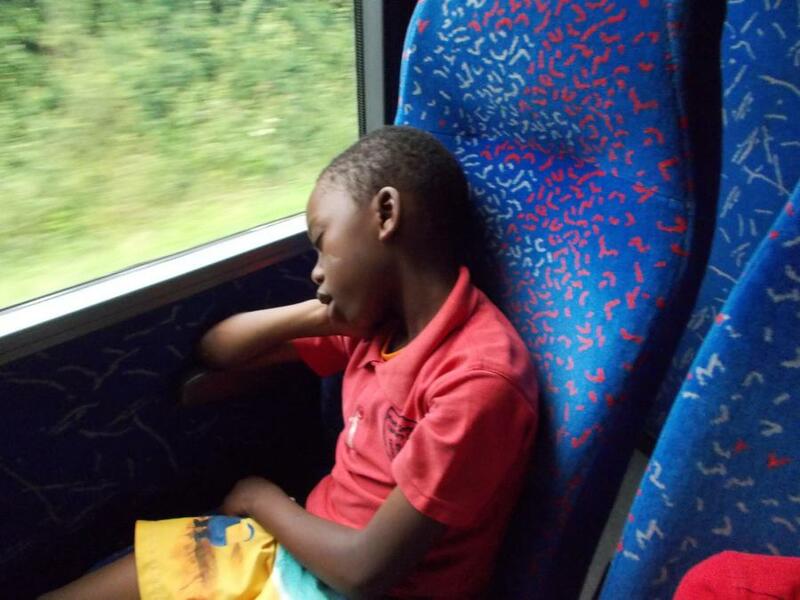 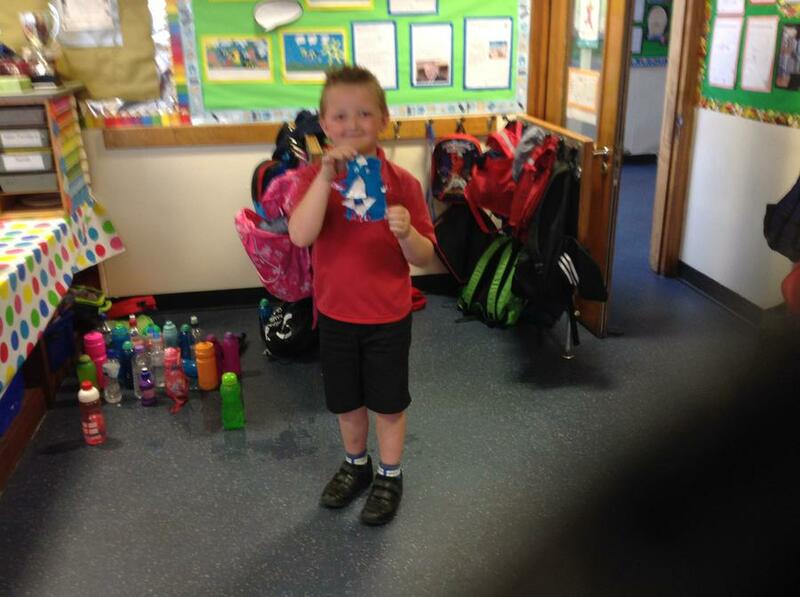 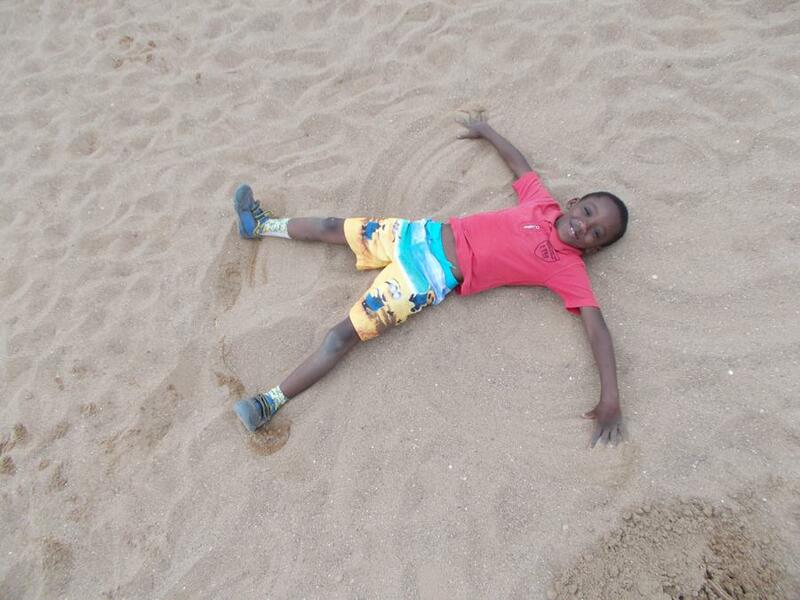 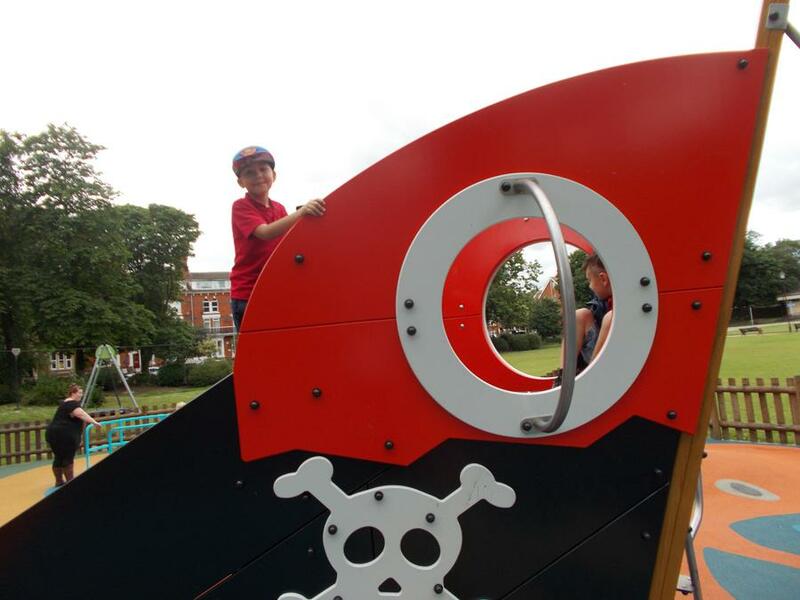 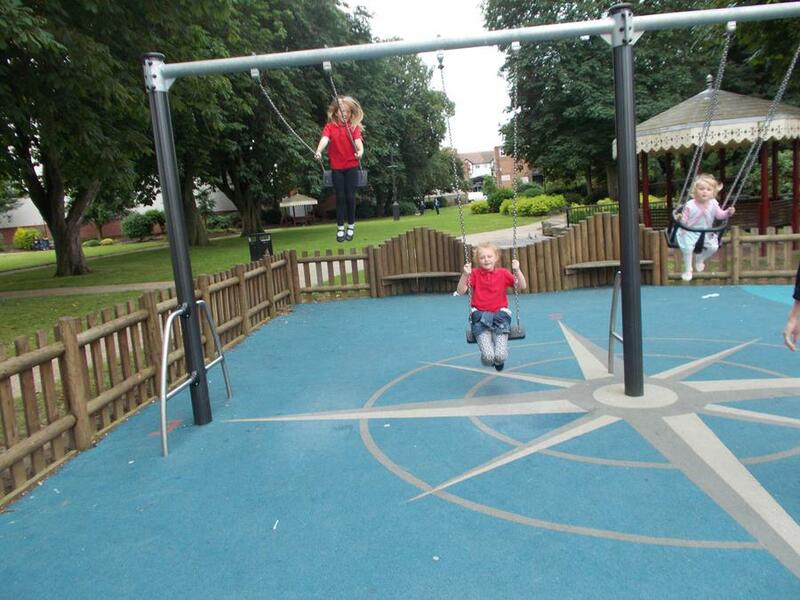 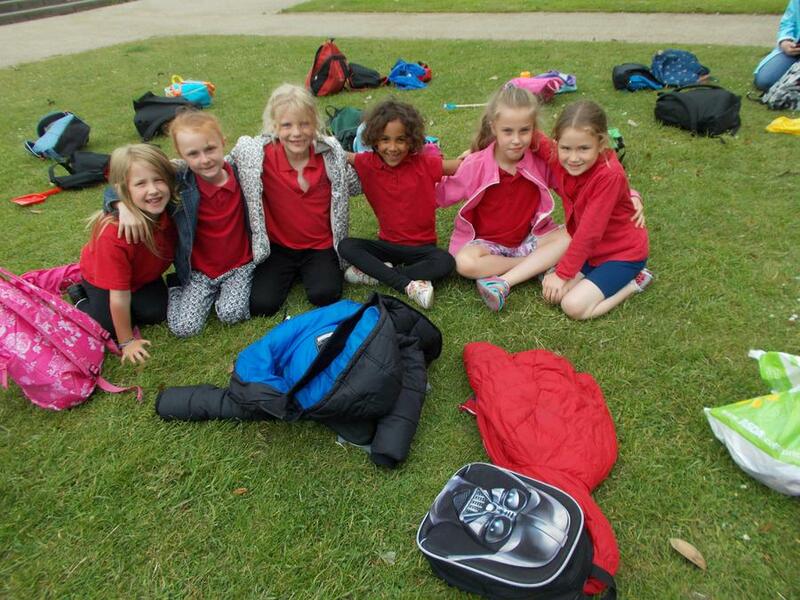 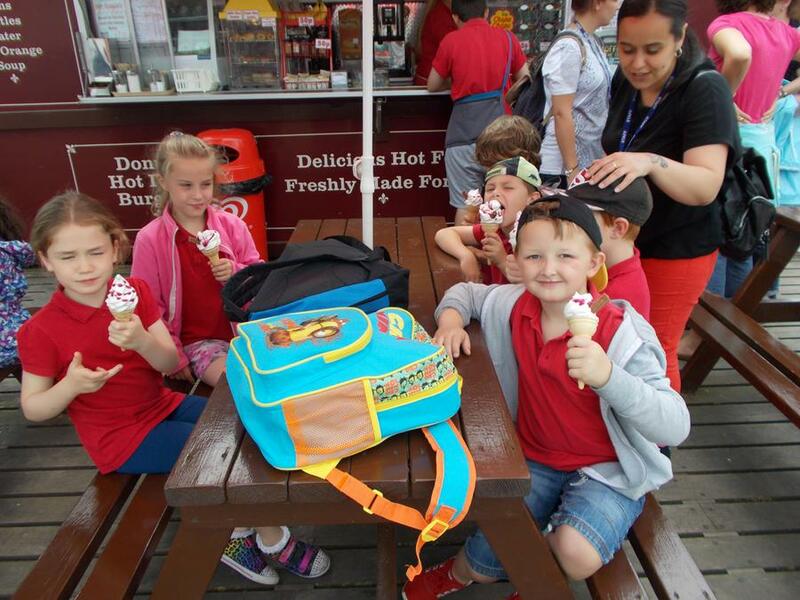 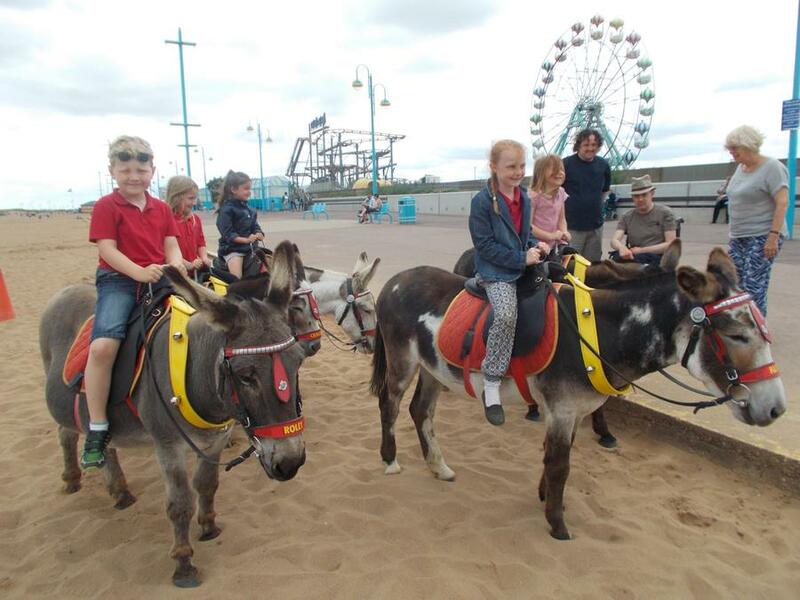 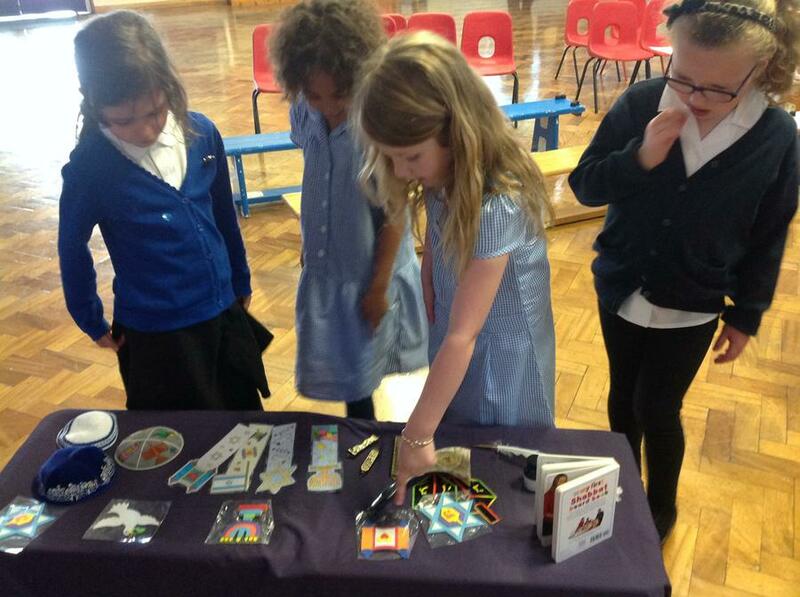 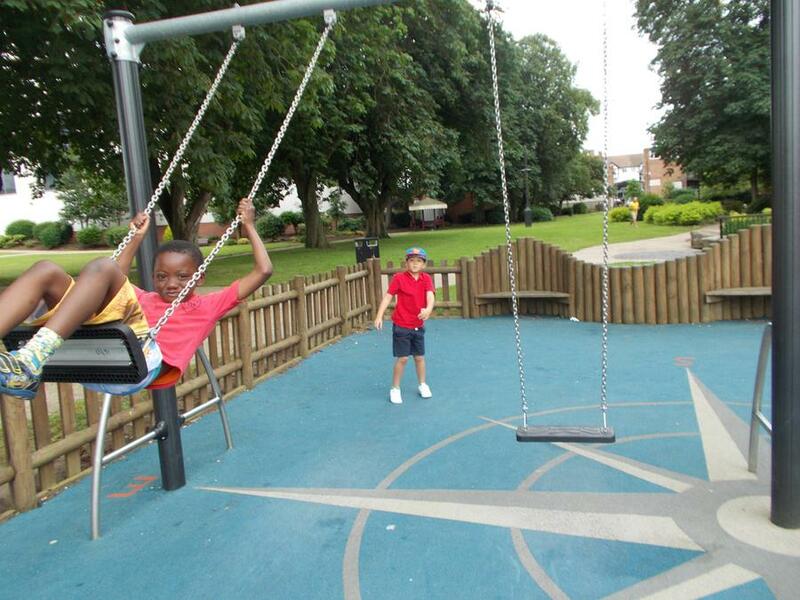 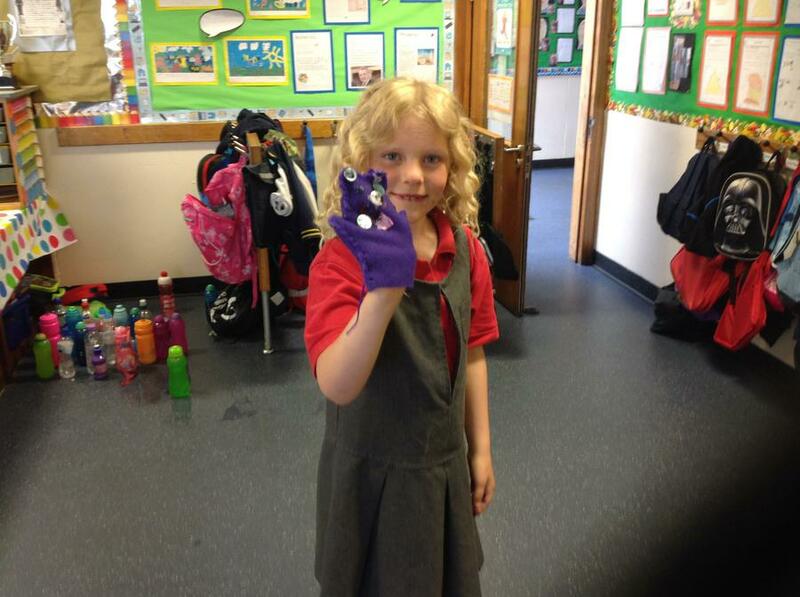 During the second half of the Spring term the children have learnt lots of things. 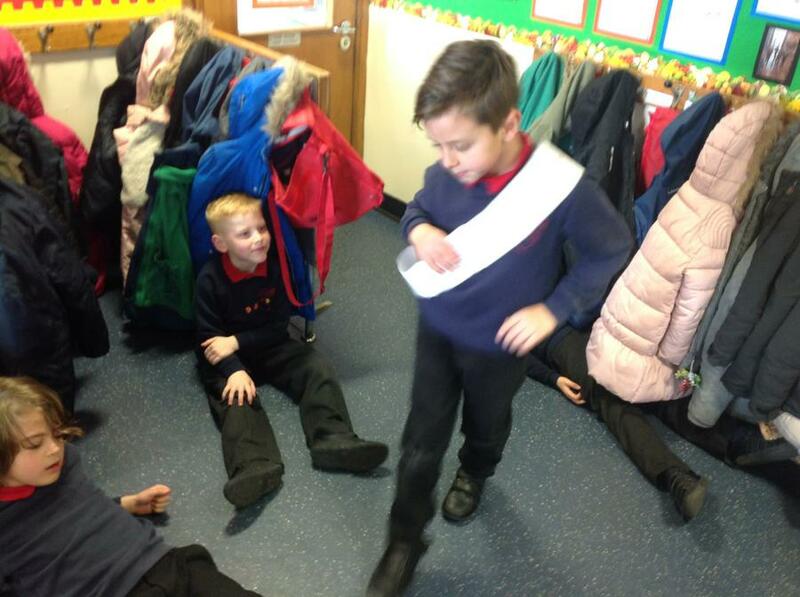 They have learnt all about Florence Nightingale and Louis Braille and how they helped to make the world a better place. 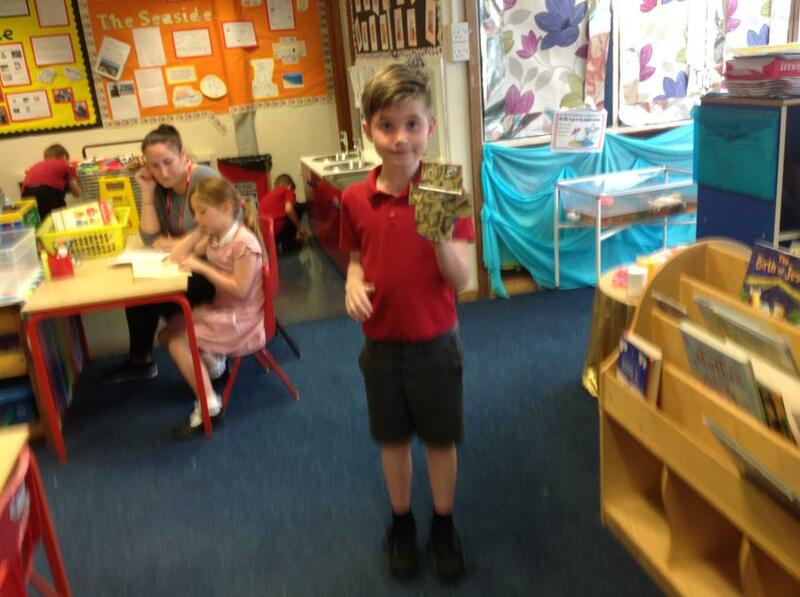 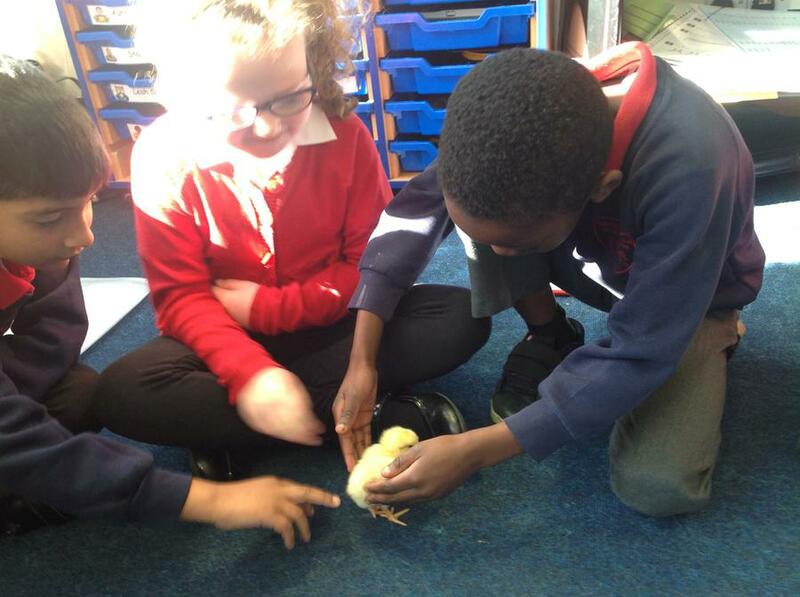 In Science we learnt all about living things, their habitats and food chains. 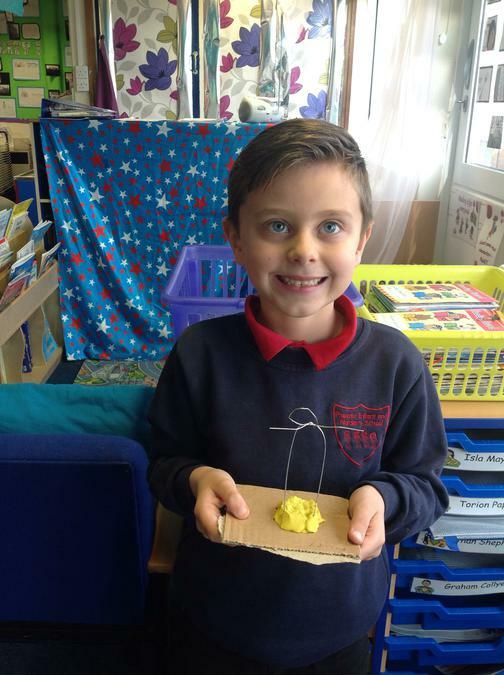 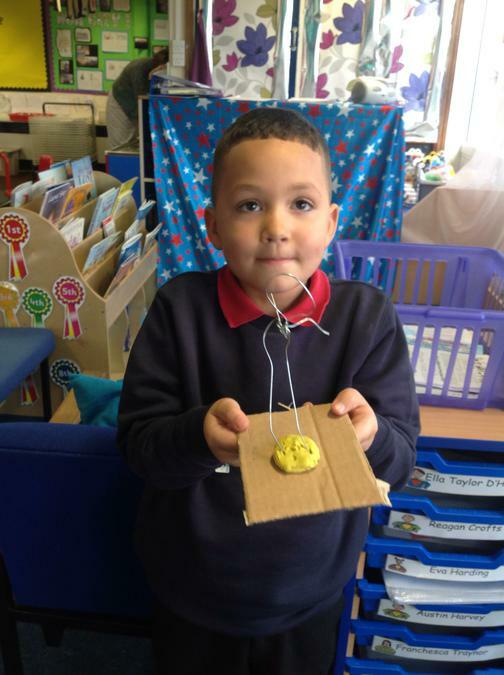 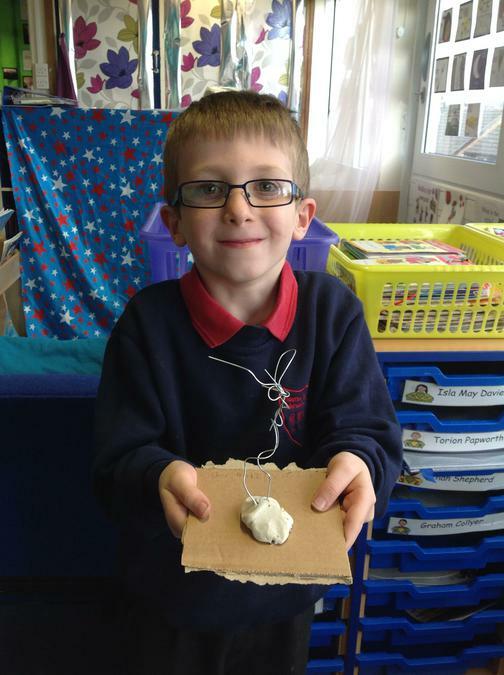 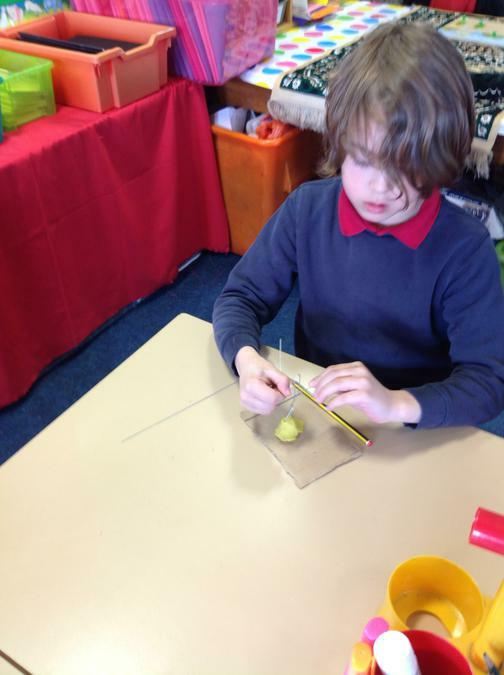 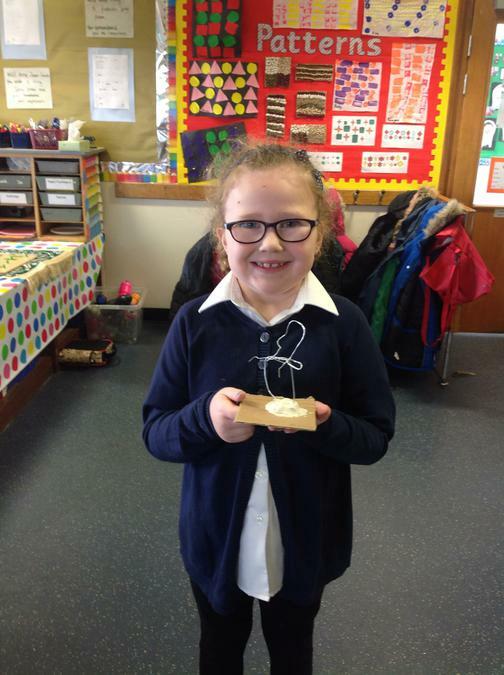 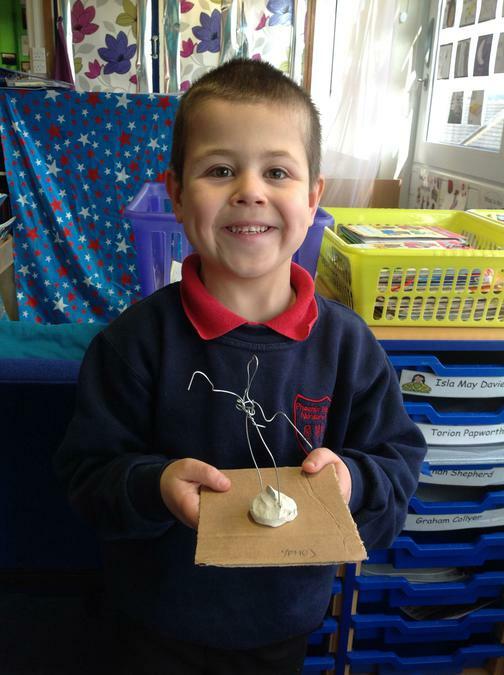 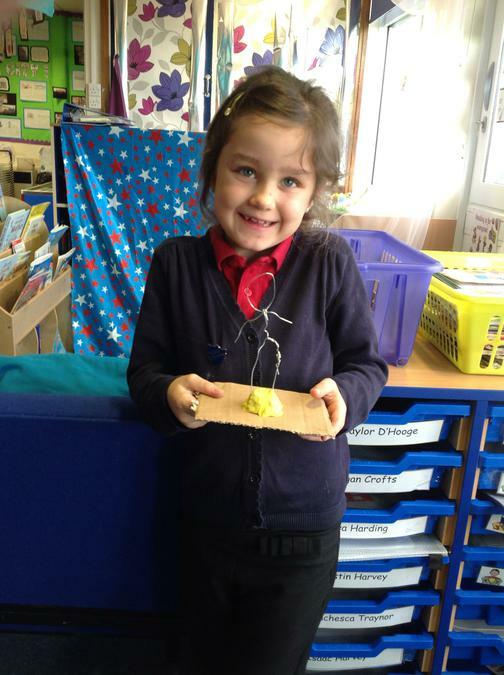 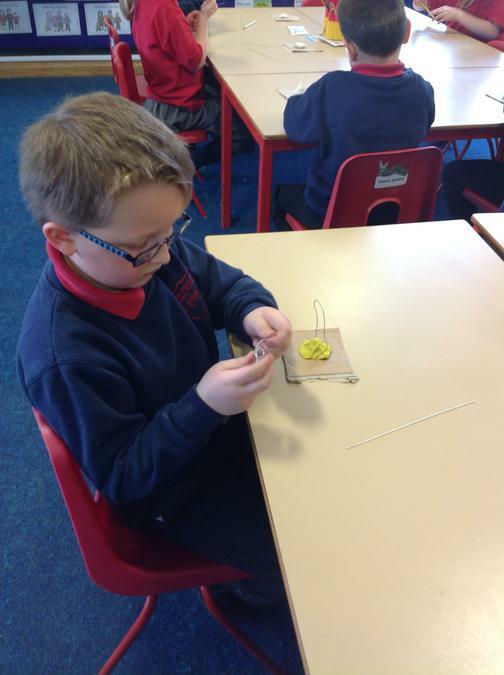 In Art the children drew fantastic natural collages of their faces and they used wire to make sculptures of a person. 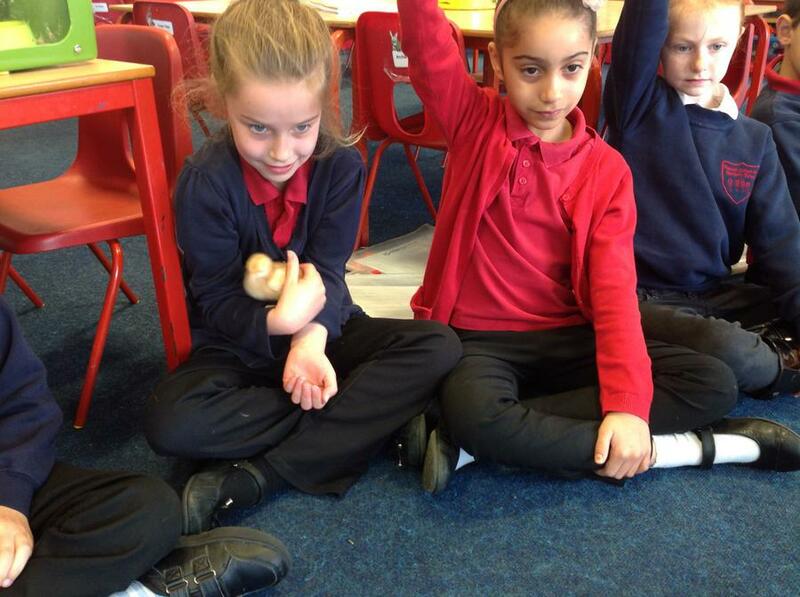 In Computer sessions the children worked hard on paint to produce some Spring pictures. 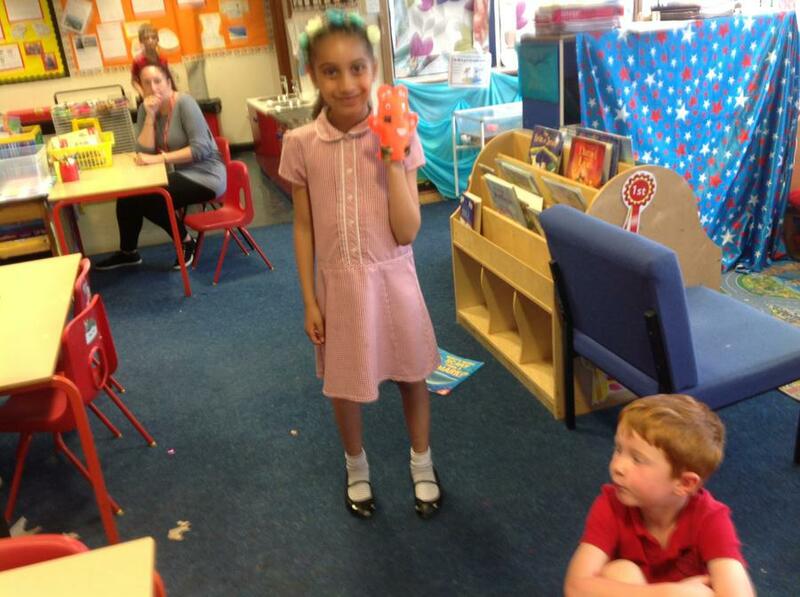 In Literacy they did some good Spring poems and learnt all about the Easter story. 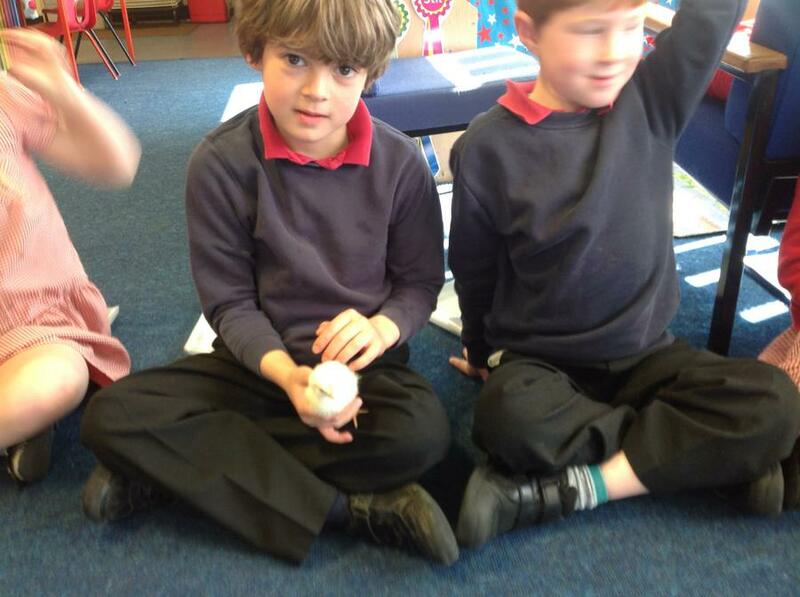 We have been learning about life cycles in our English work. 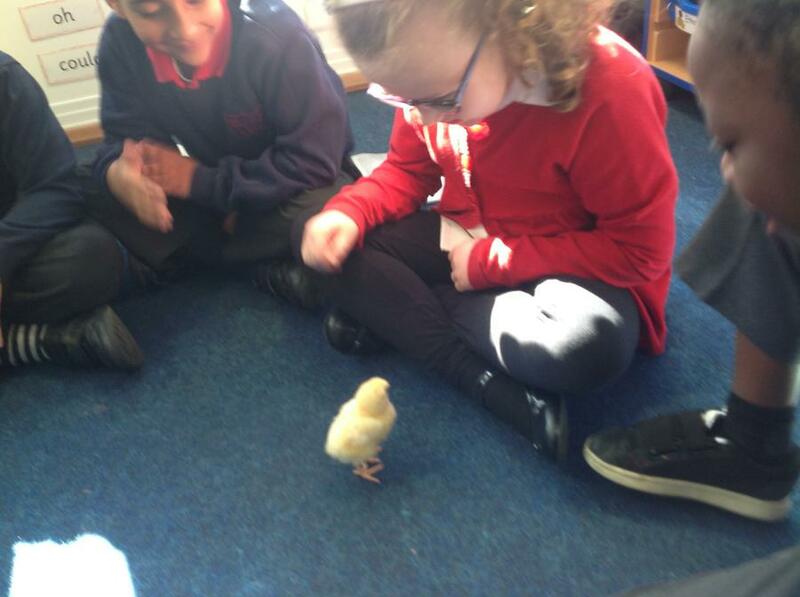 To help us learn about the life cycle of a chicken the chicks came into our classroom. 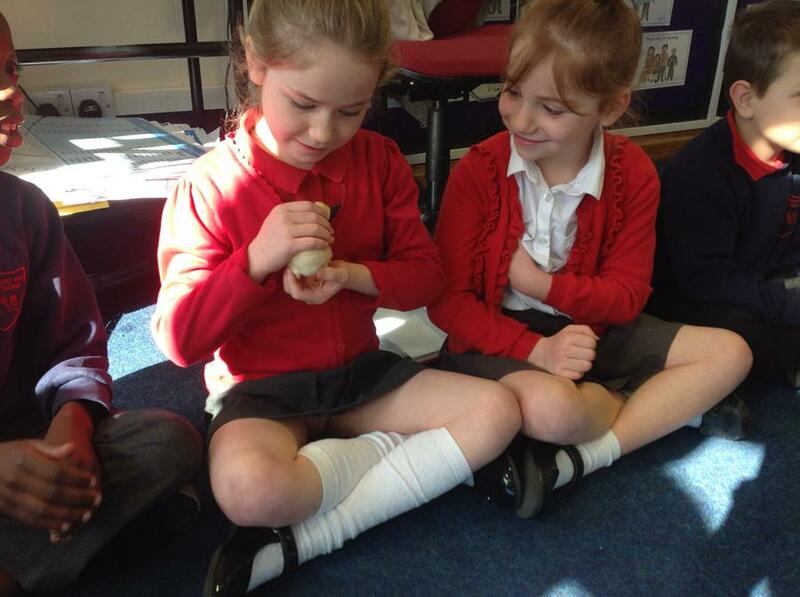 We enjoyed having chicks in the classroom. 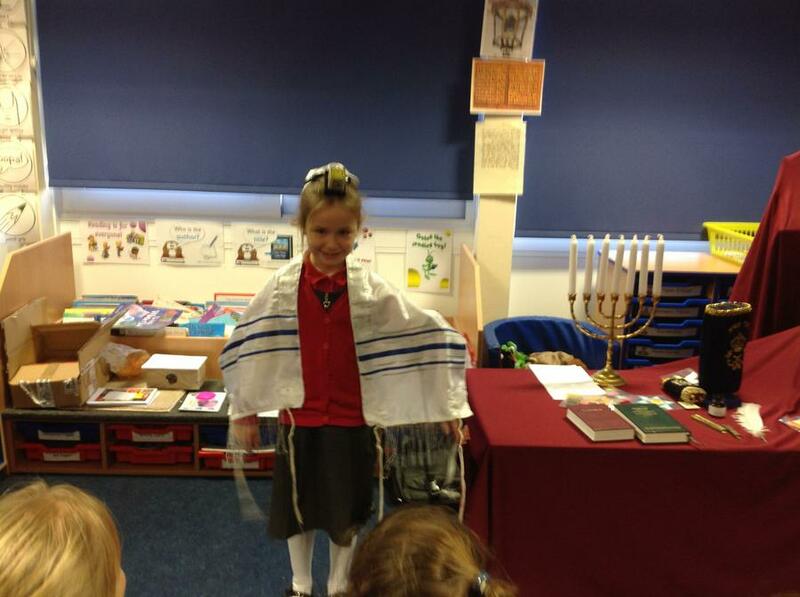 In RE we have been learning about the Synagogue. 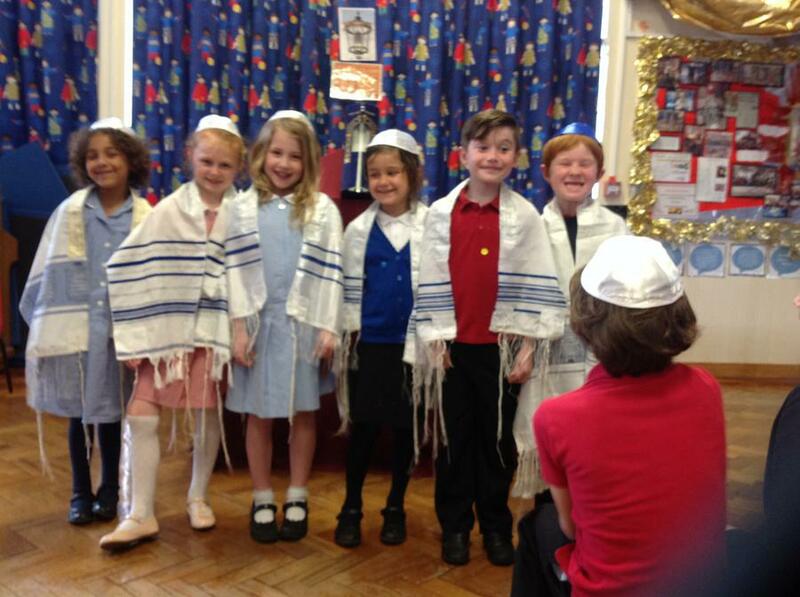 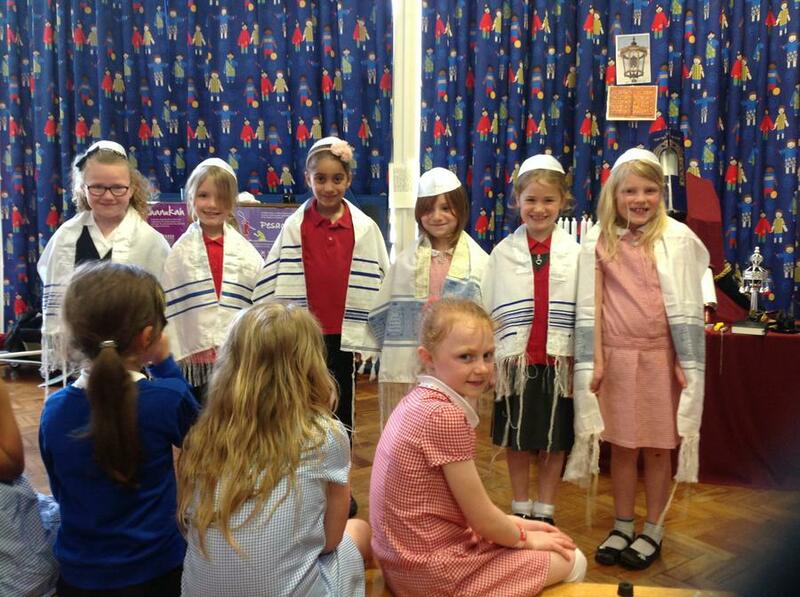 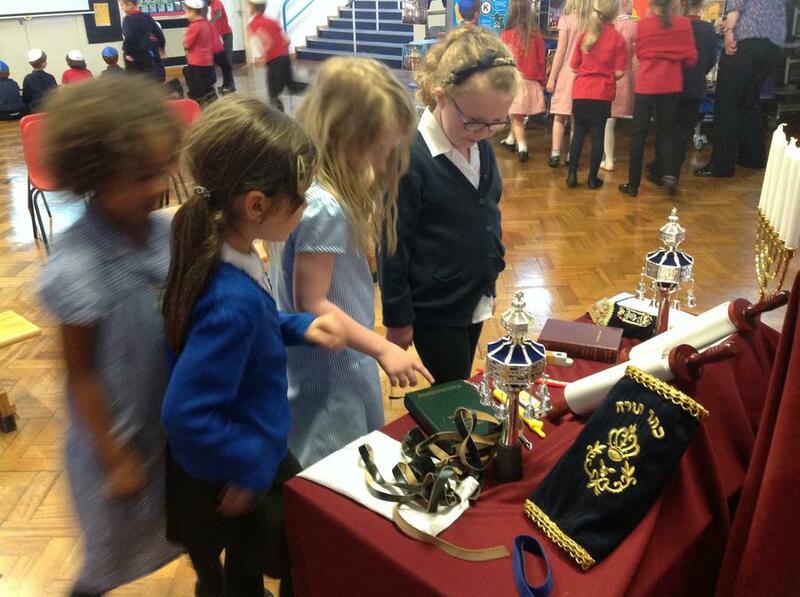 We had visitors come in to tell us all about the Synagogue. 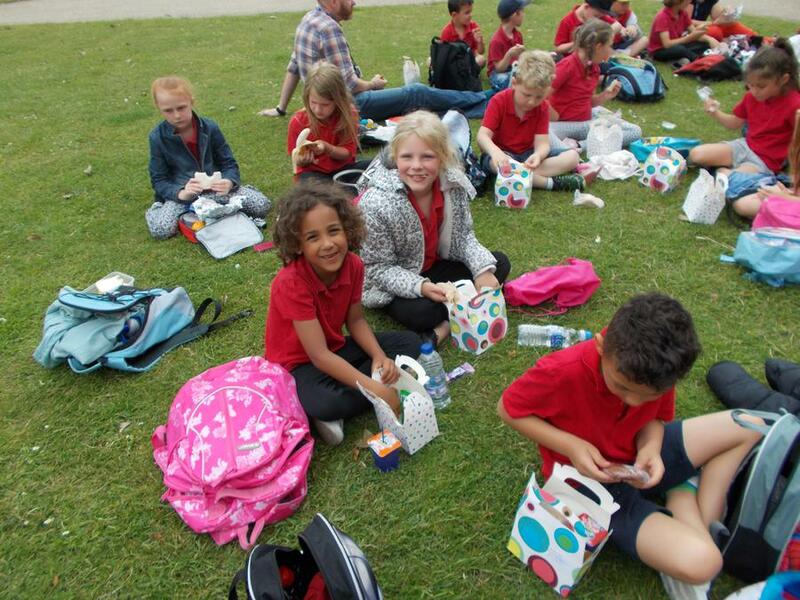 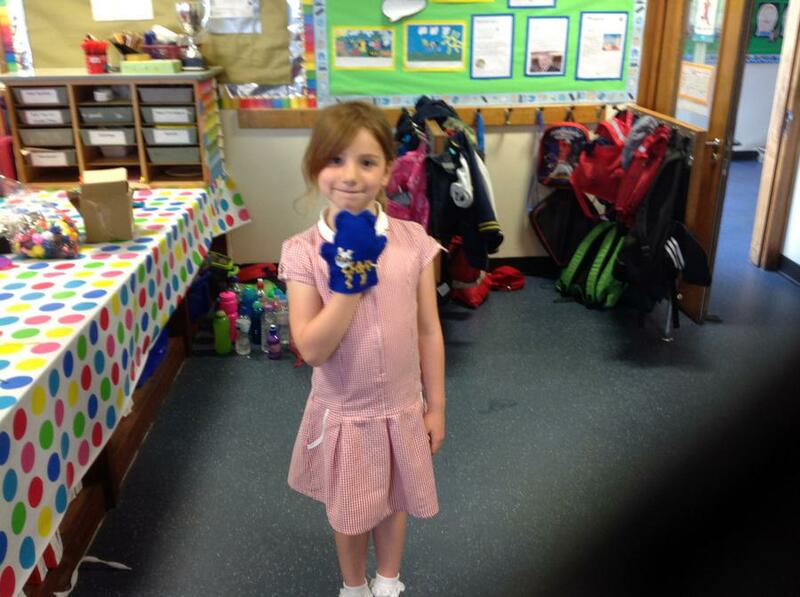 Class 6 took part in a whole school parade and lunch on Friday 10th June to celebrate the Queens 90th birthday. 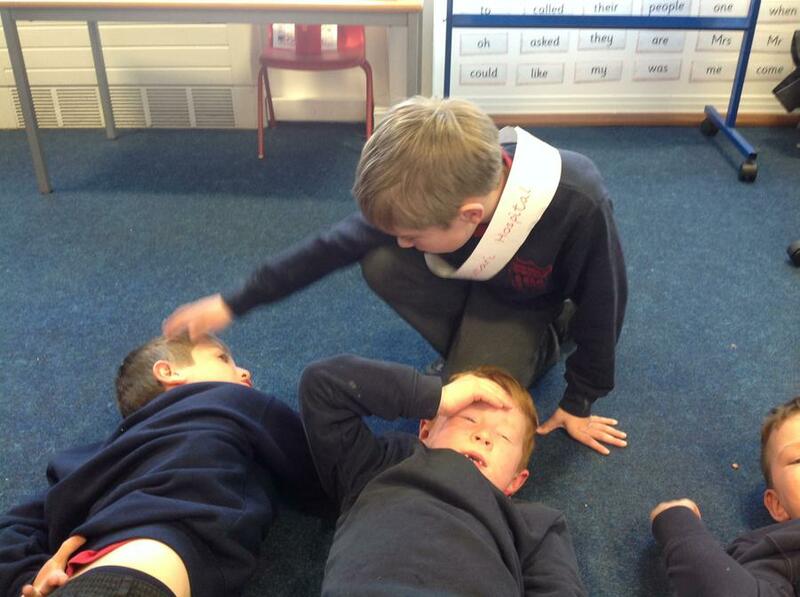 We enjoyed writing letters to the Queen asking her different questions. 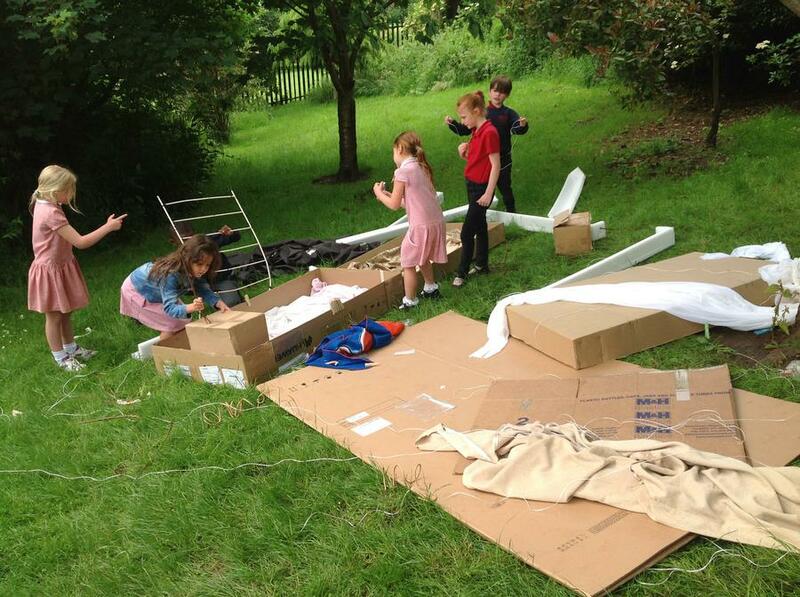 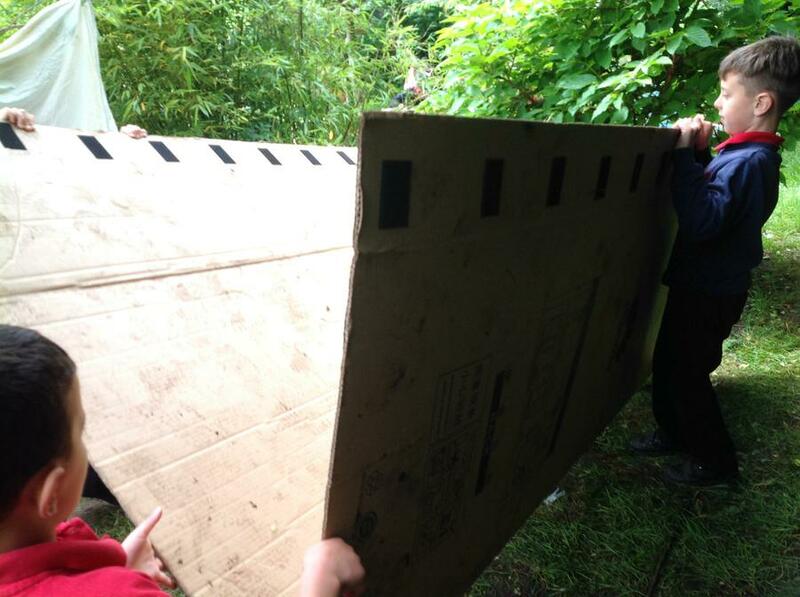 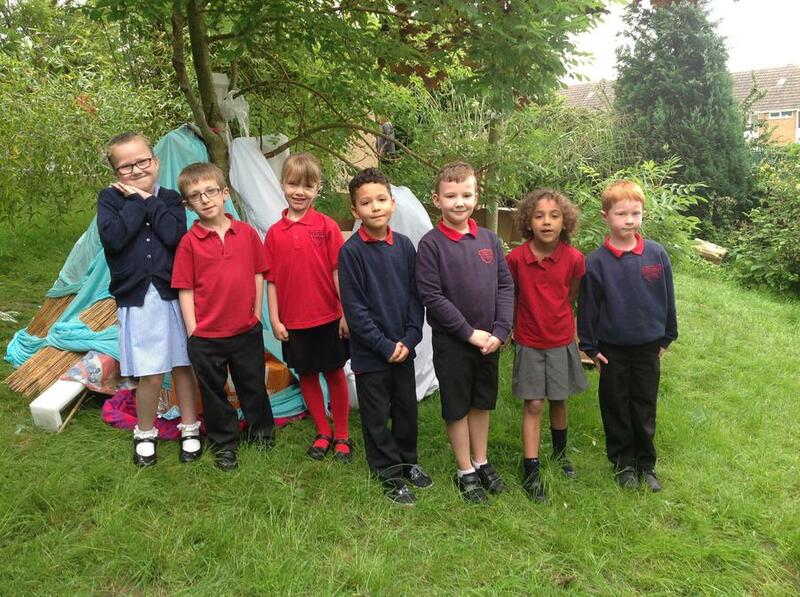 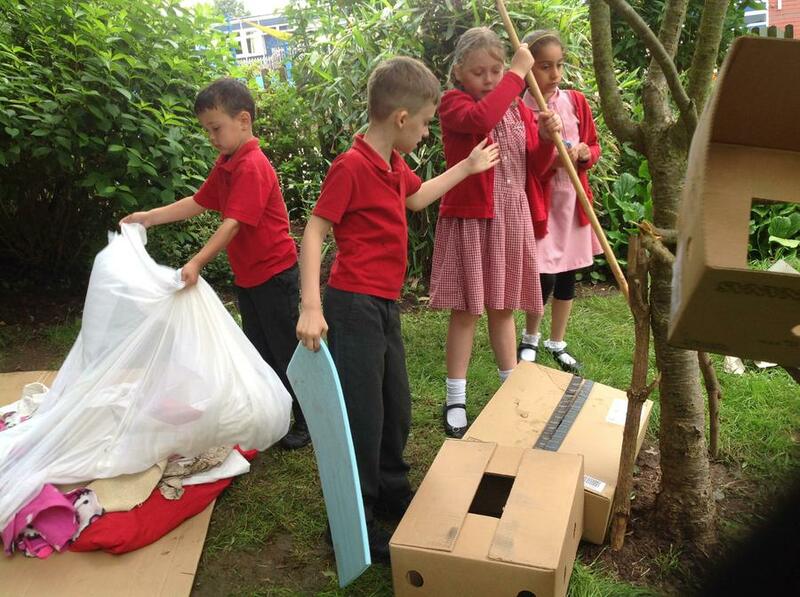 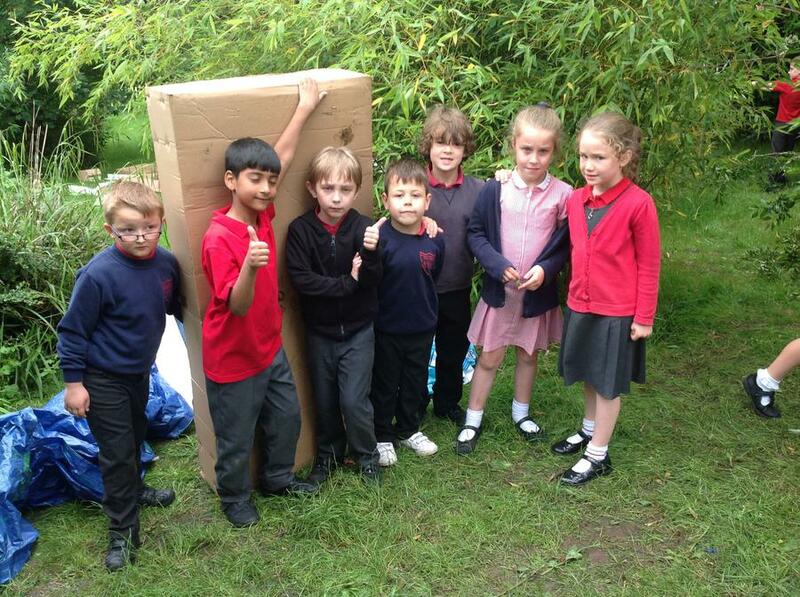 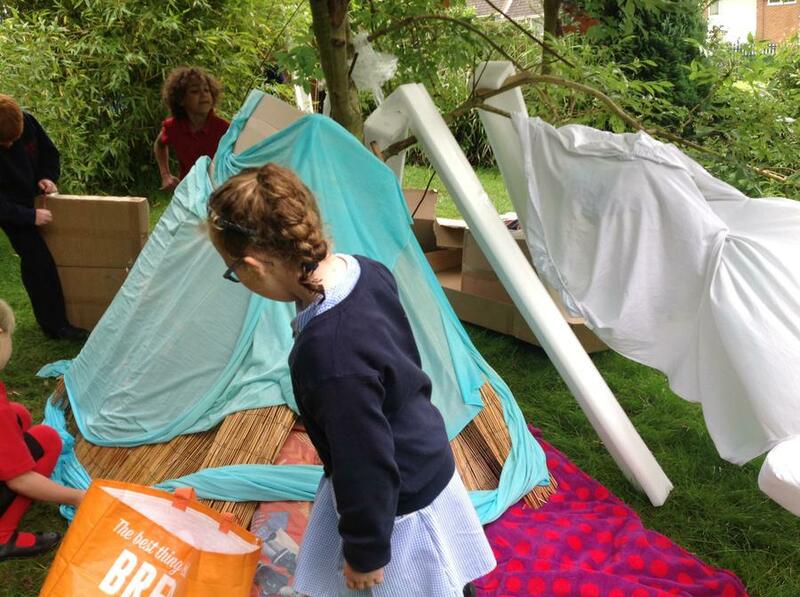 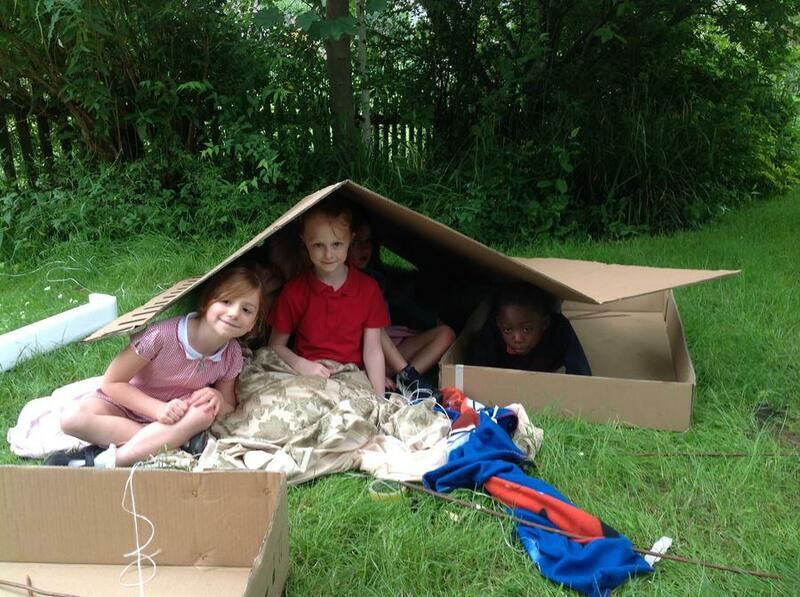 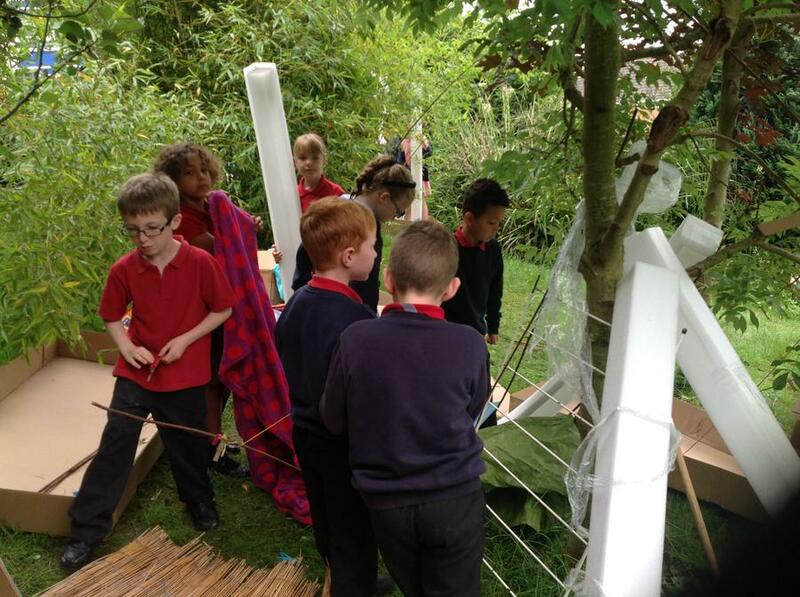 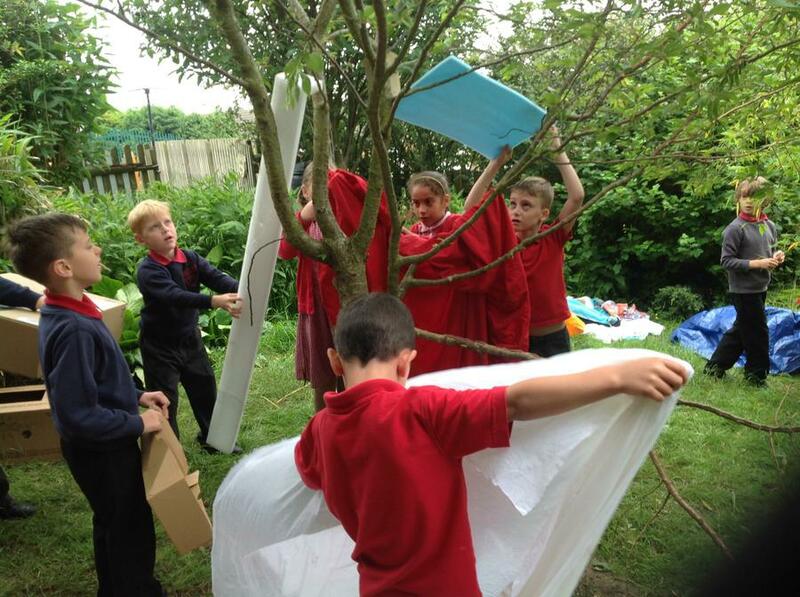 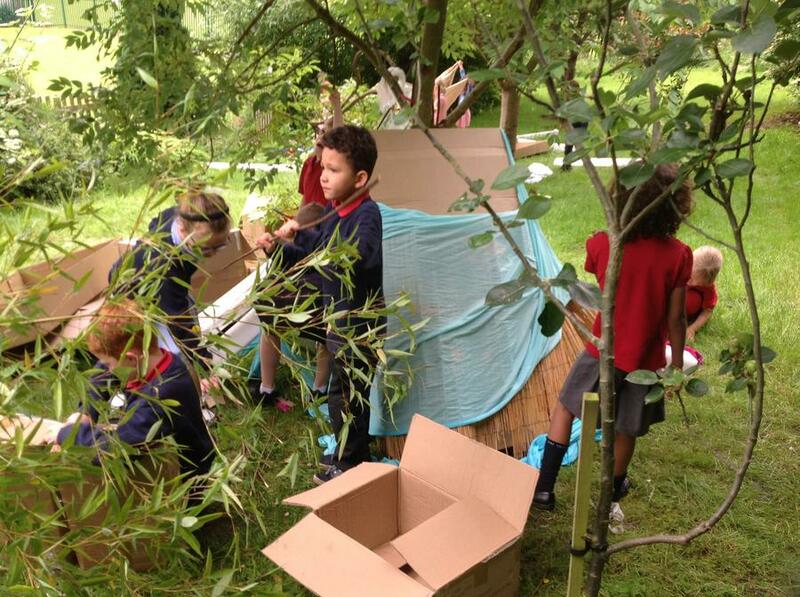 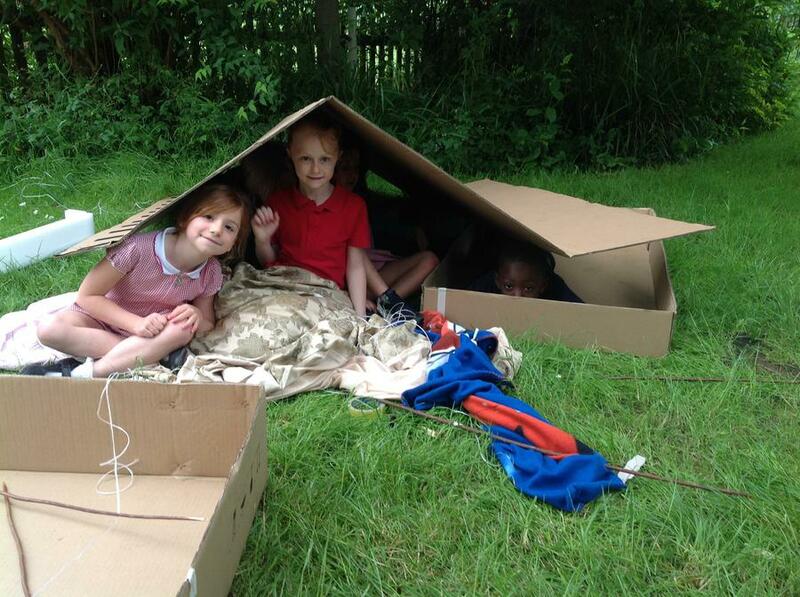 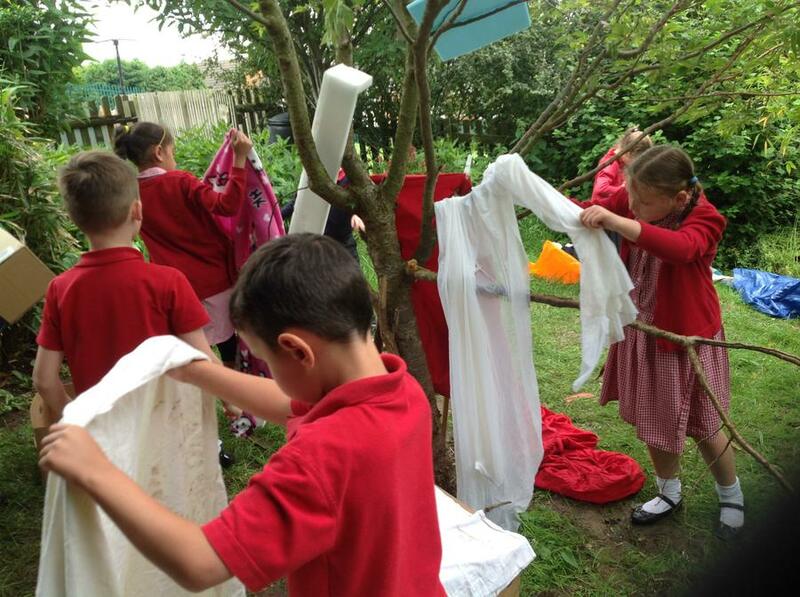 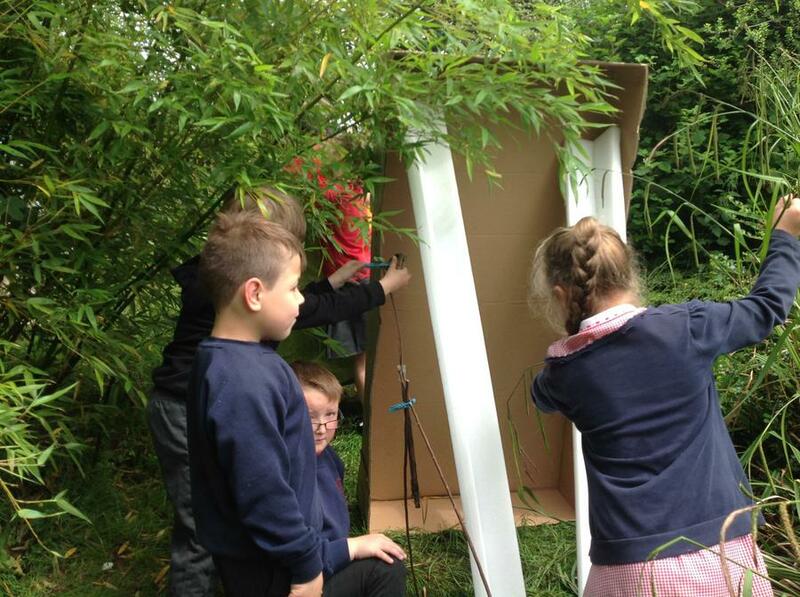 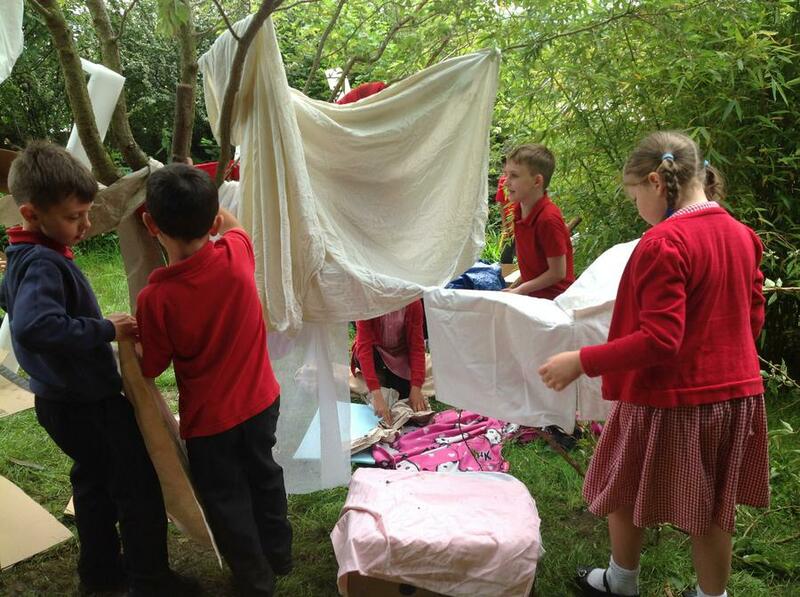 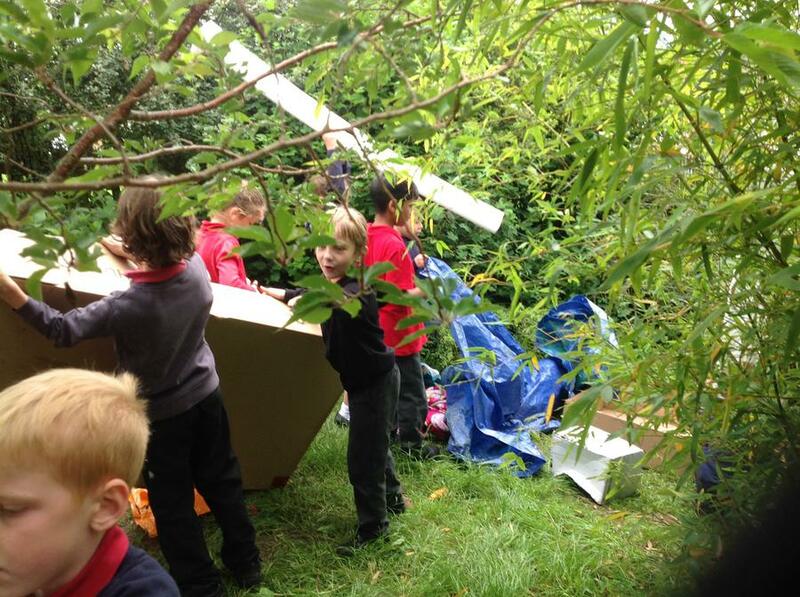 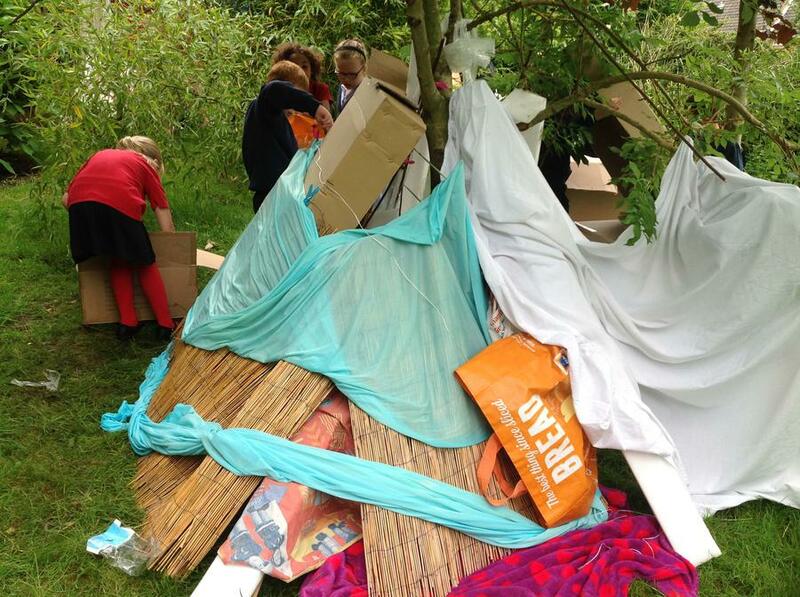 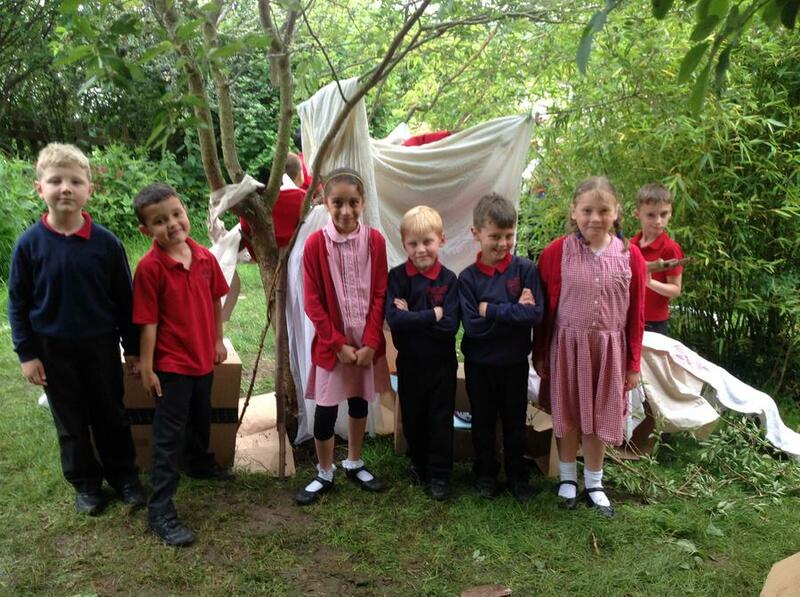 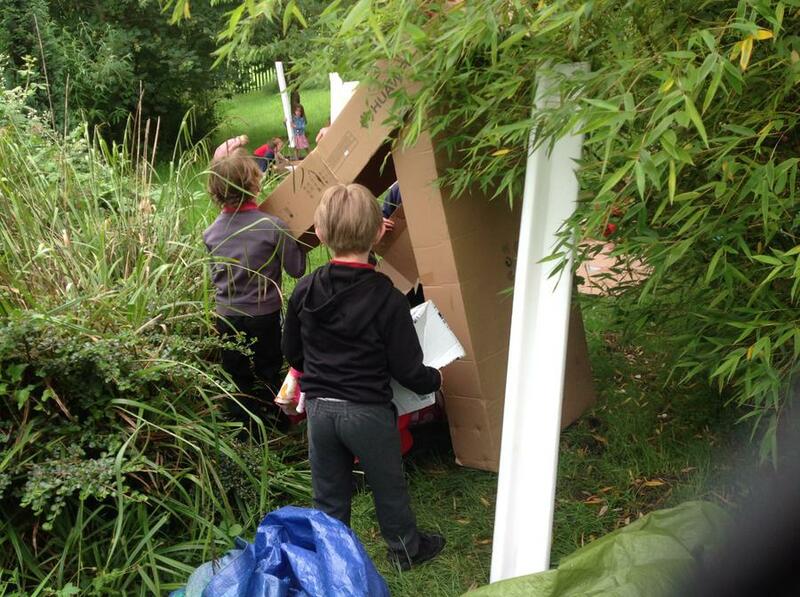 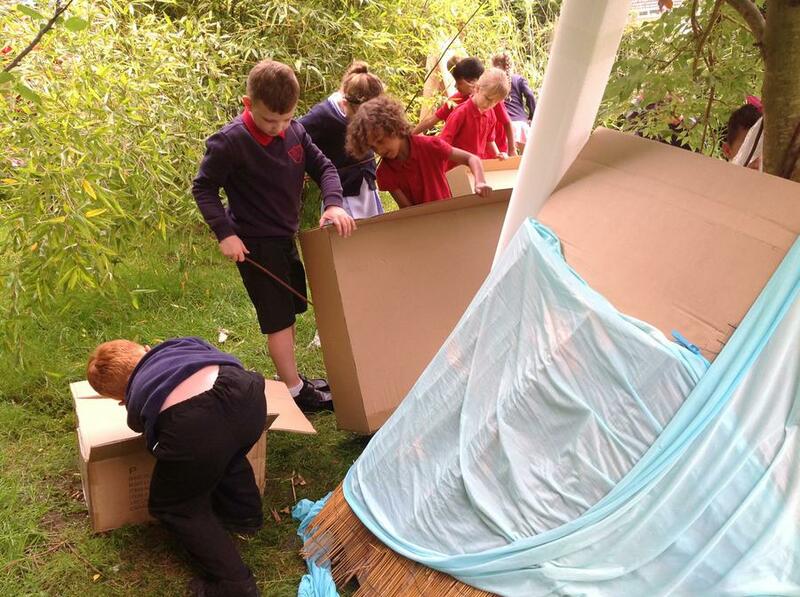 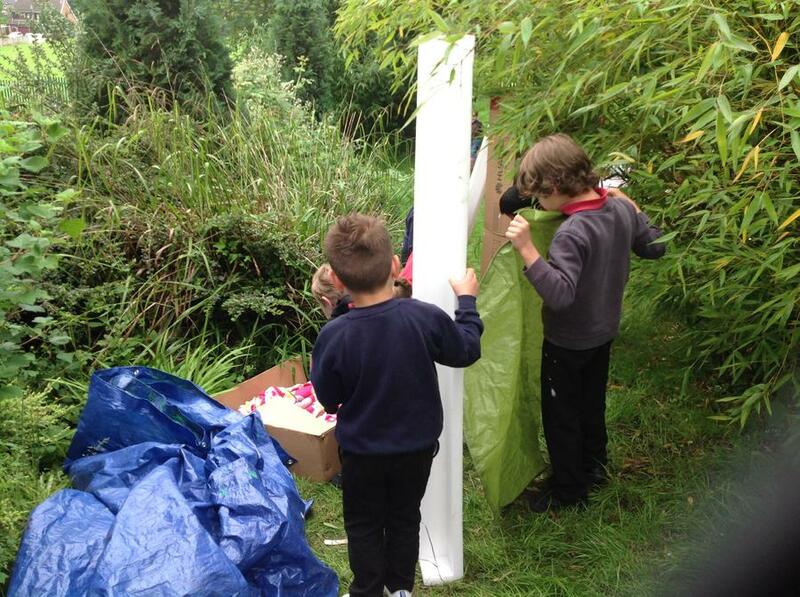 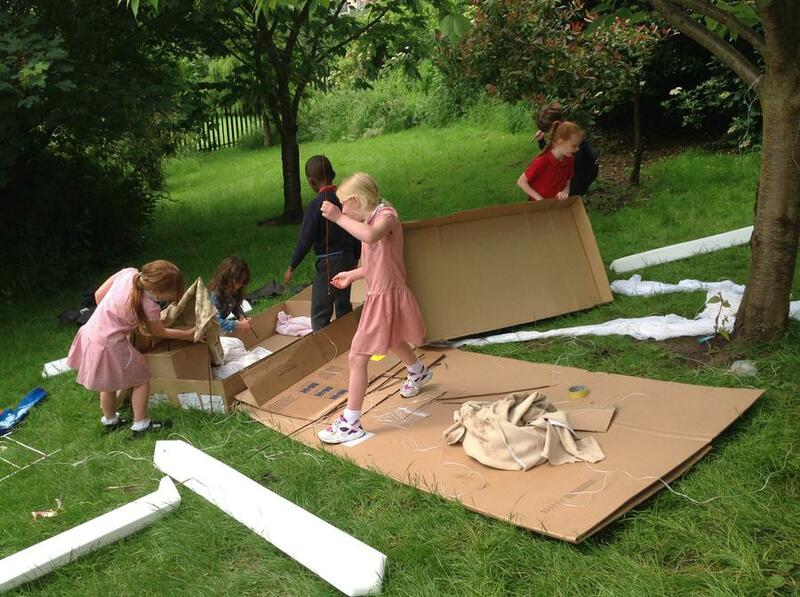 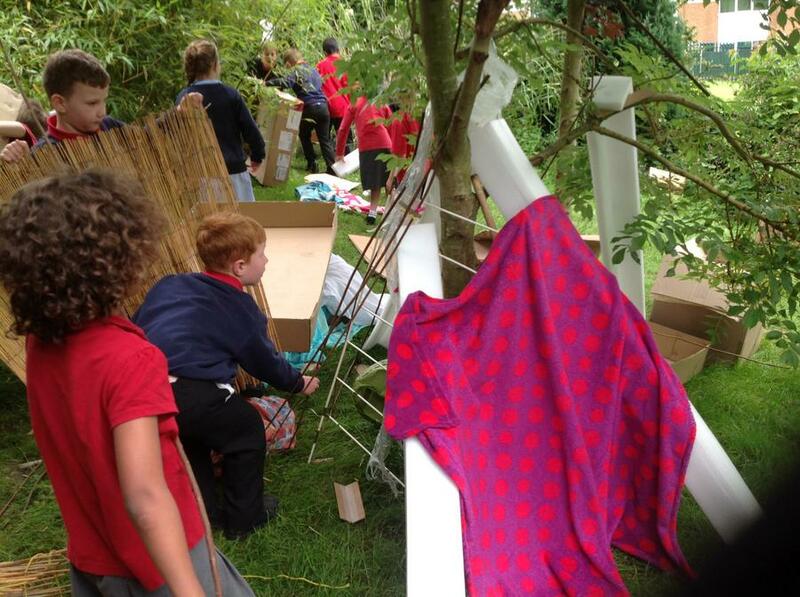 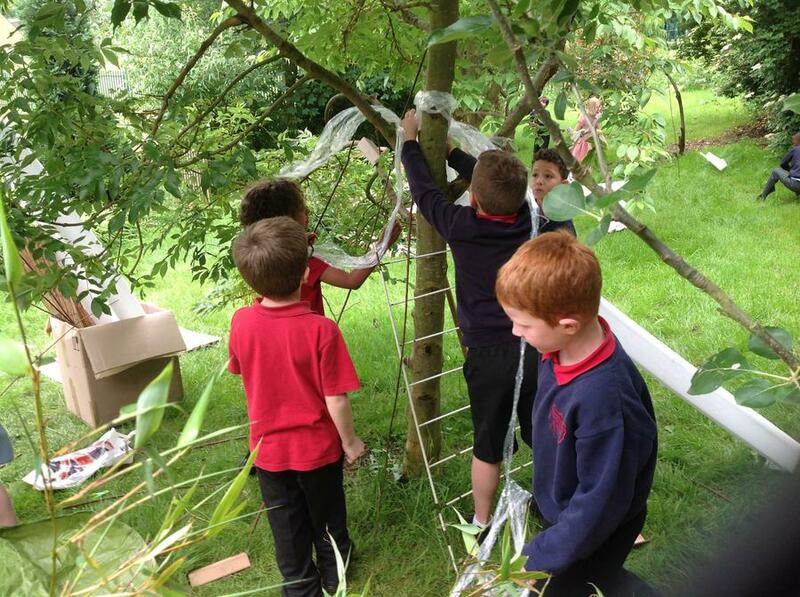 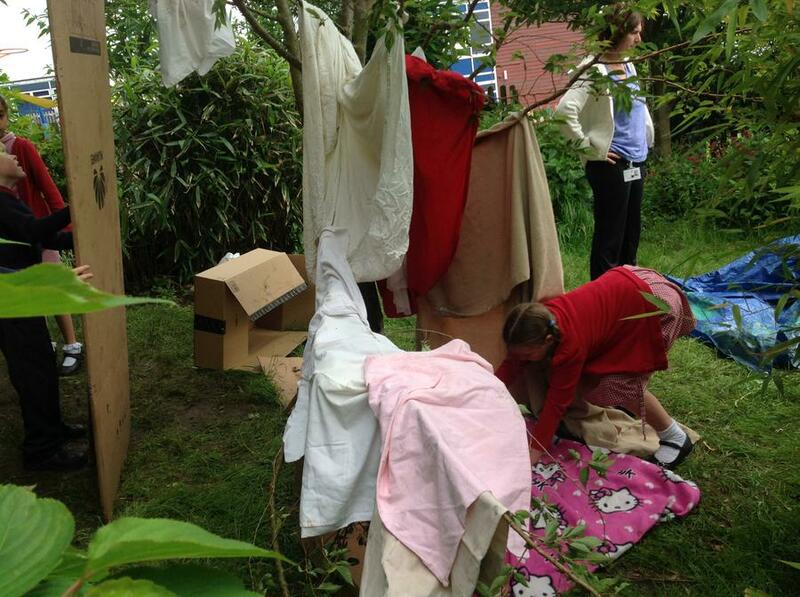 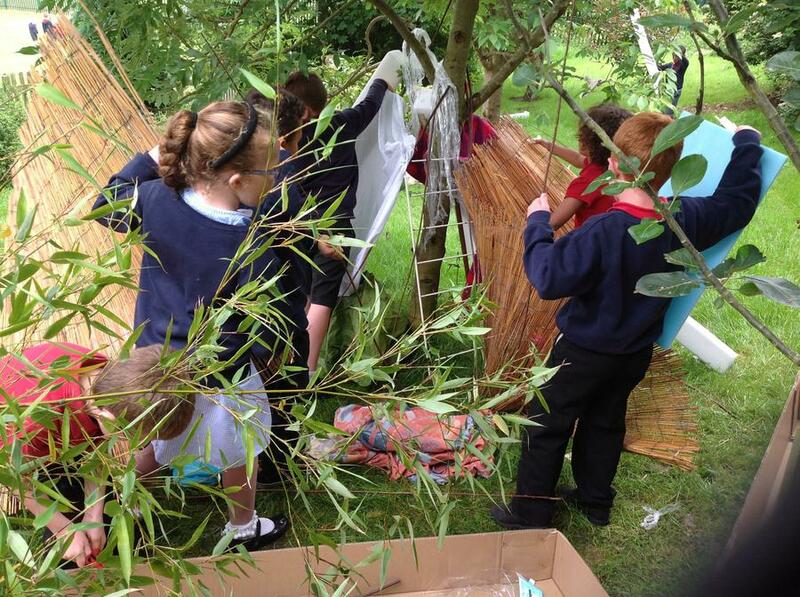 Class 6 enjoyed working together as a team to make some fabulous dens. 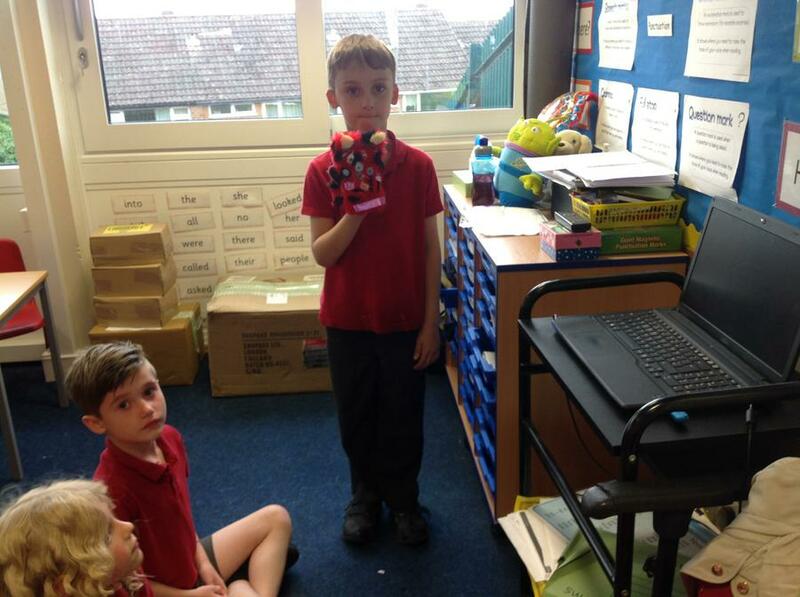 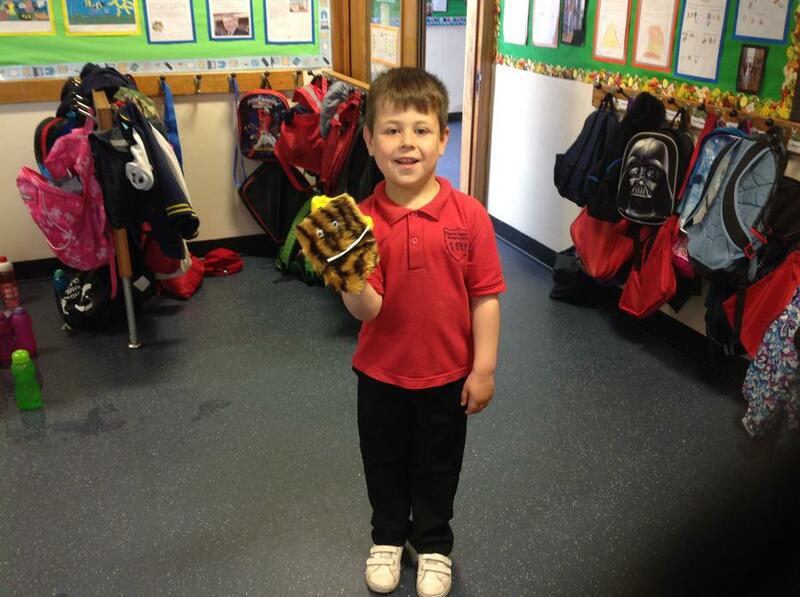 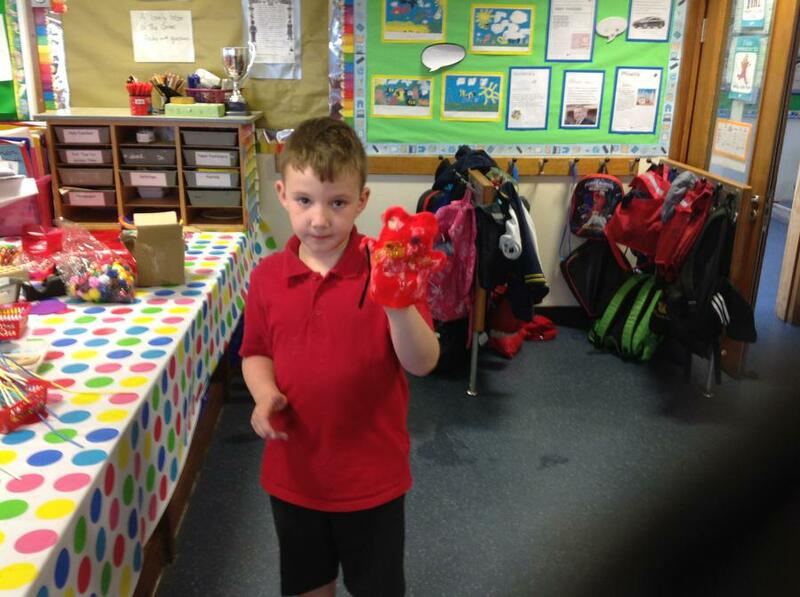 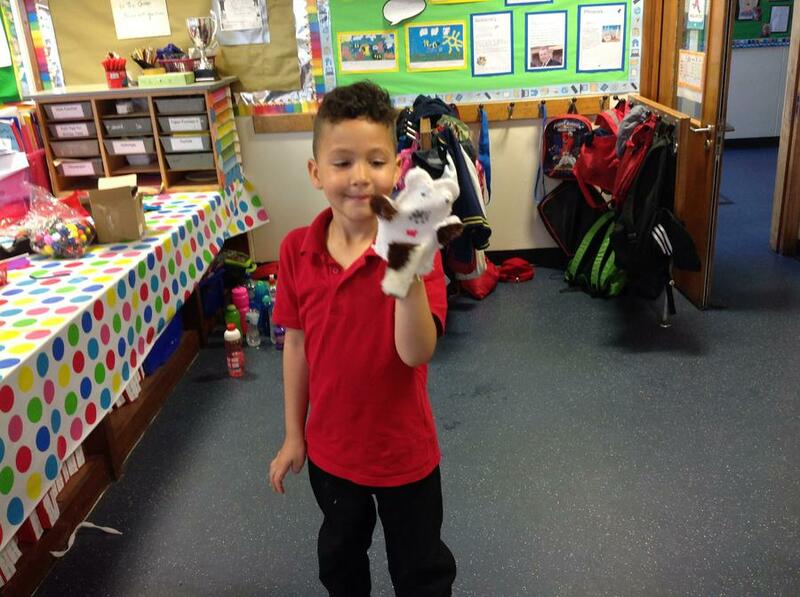 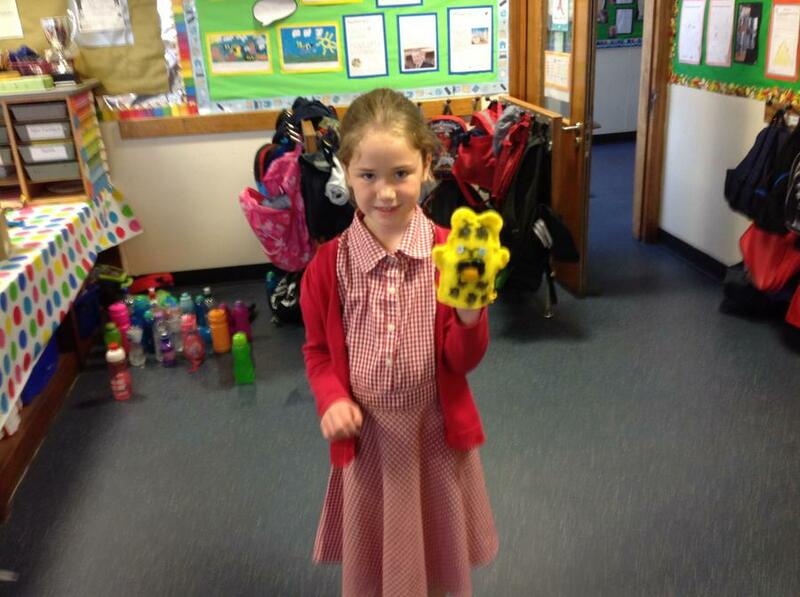 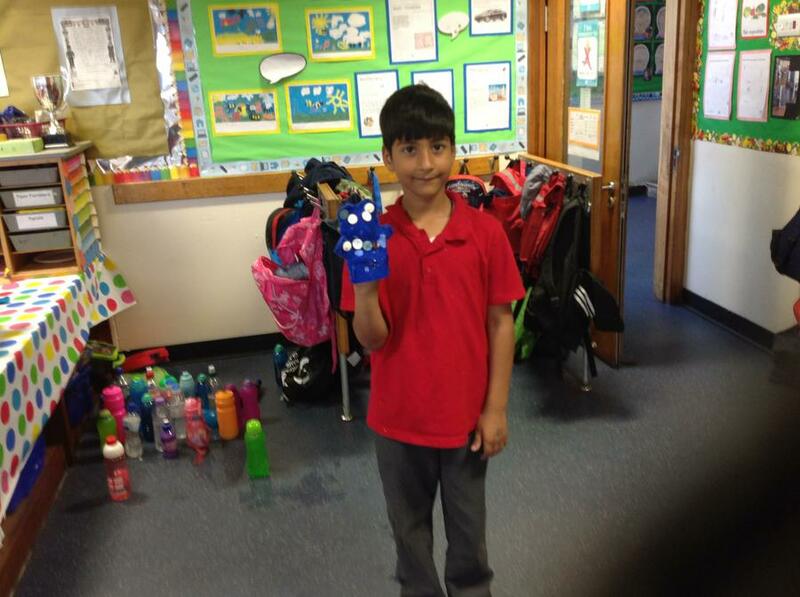 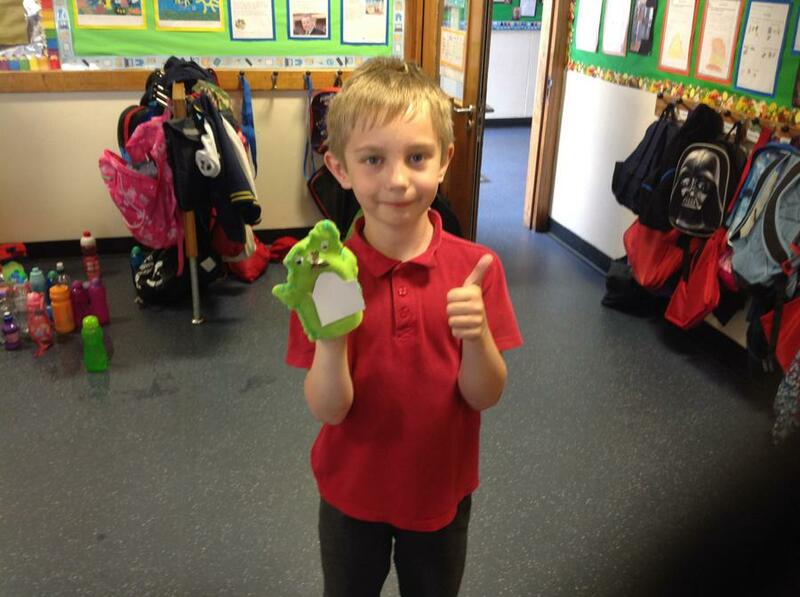 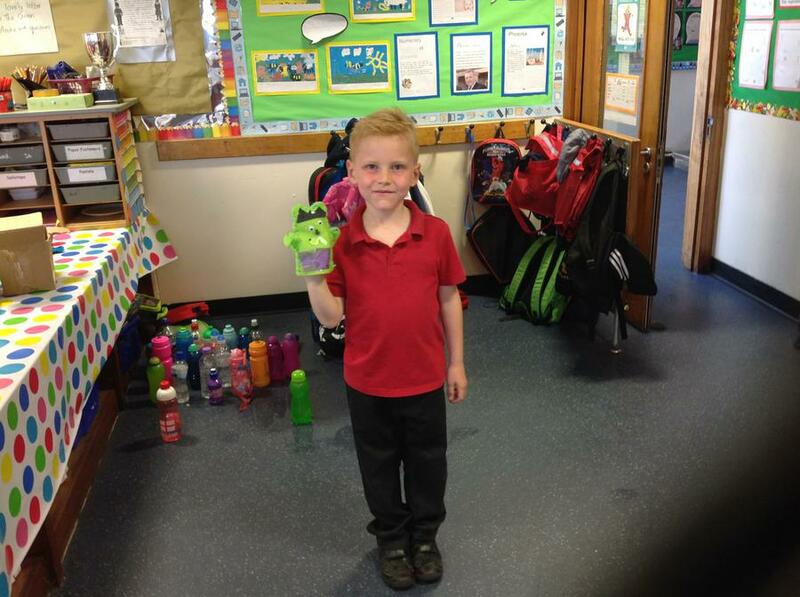 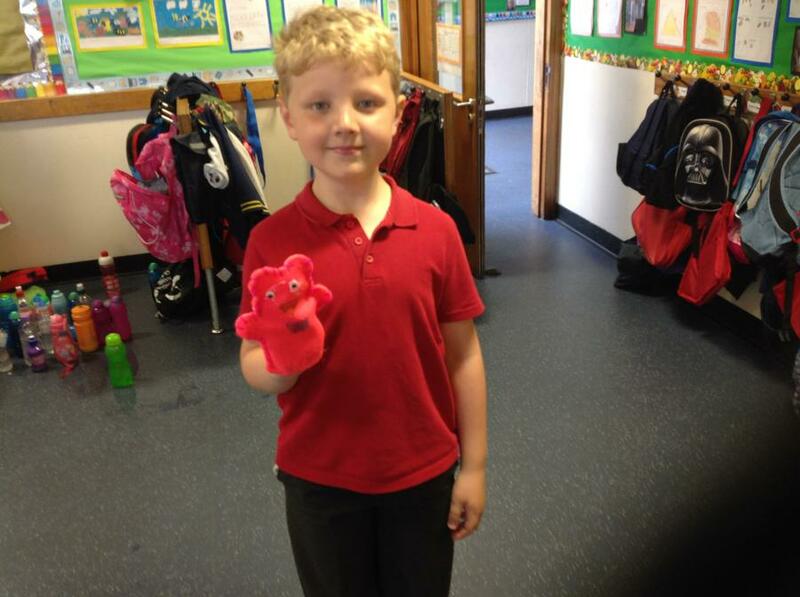 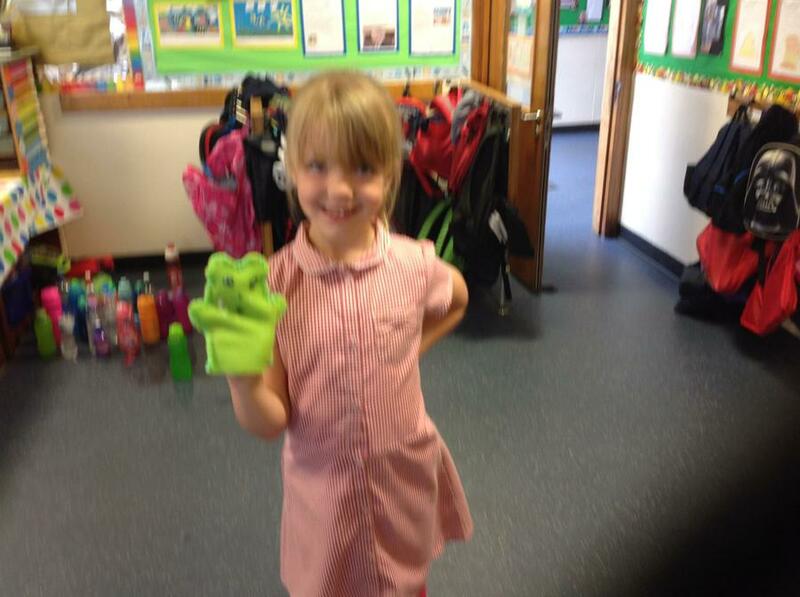 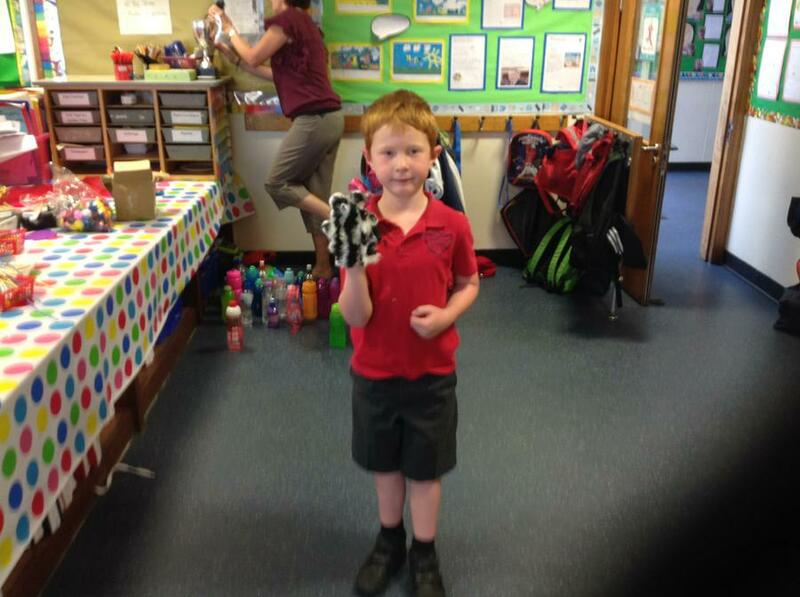 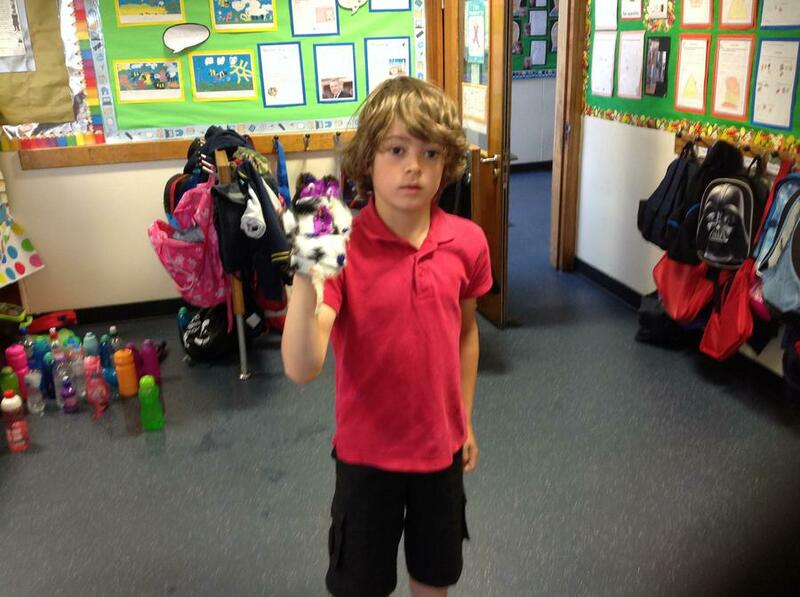 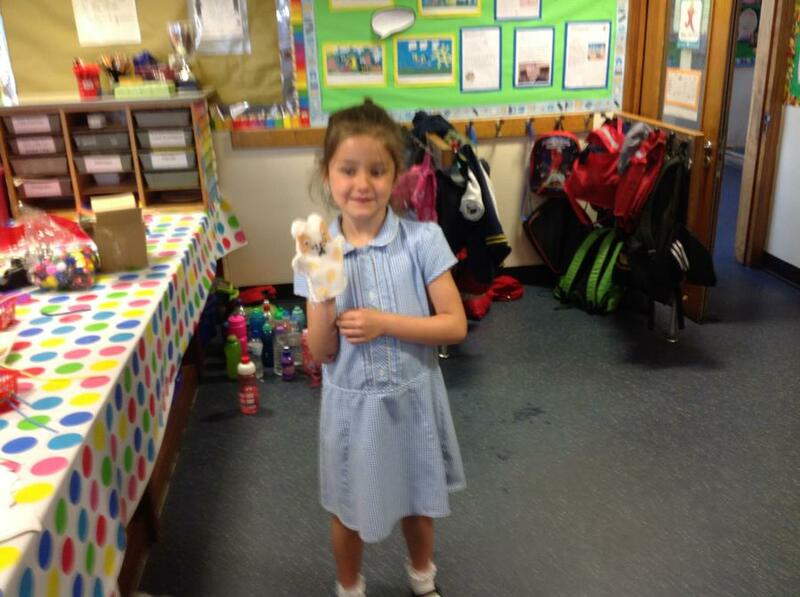 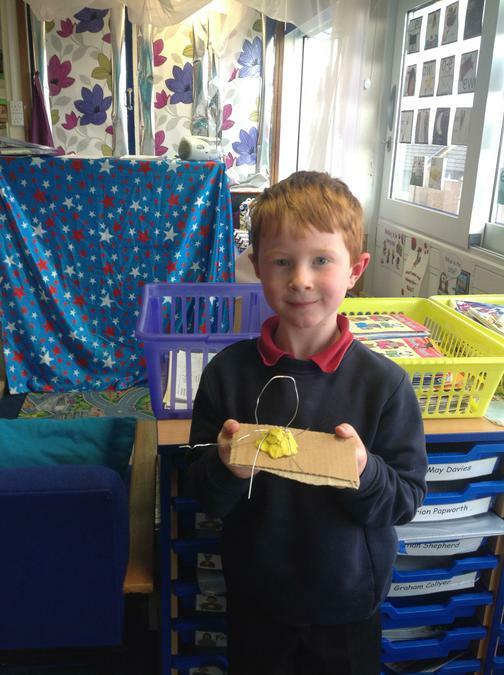 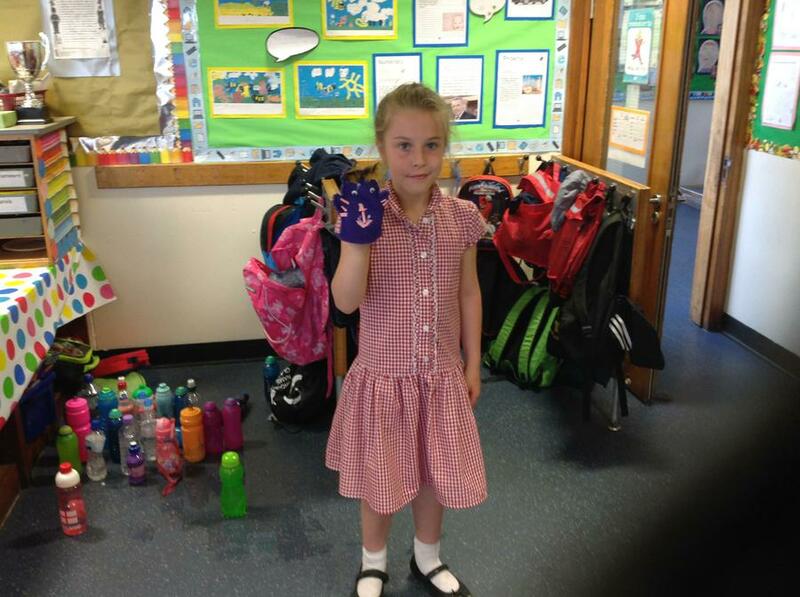 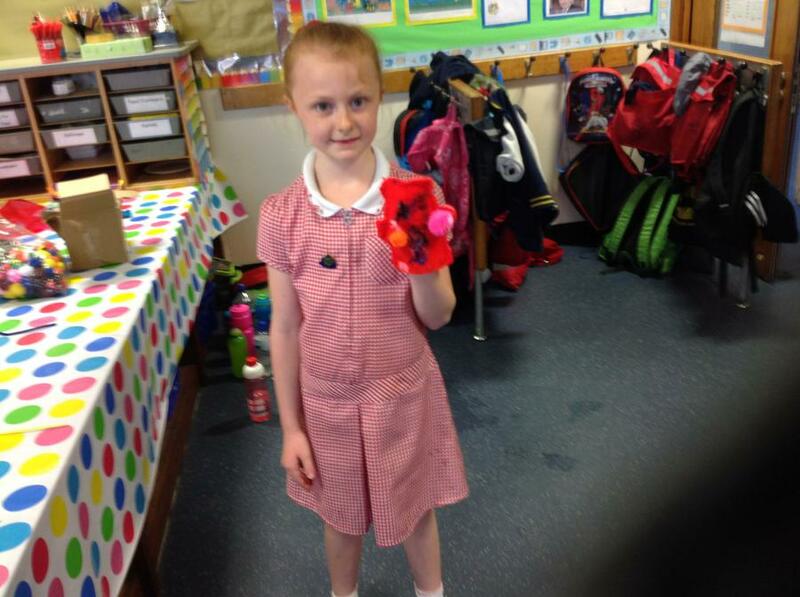 Children enjoyed sewing and decorating their own hand puppets.